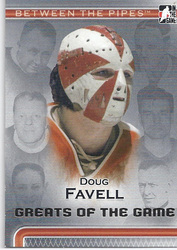 Pinnacle 2010-11 Saving face insert (12/13). 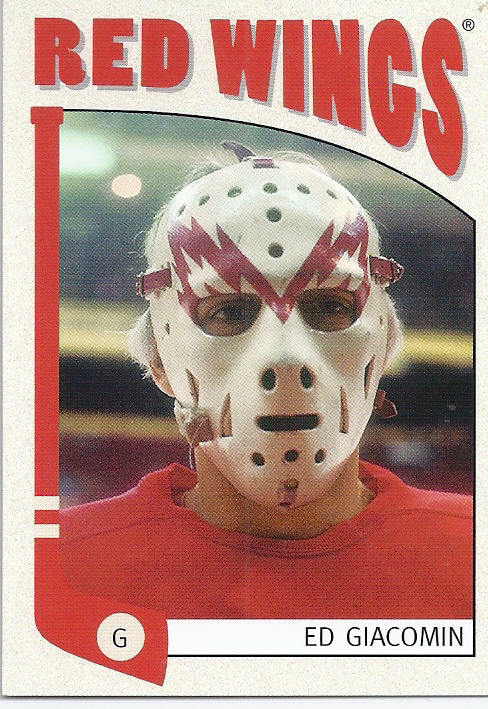 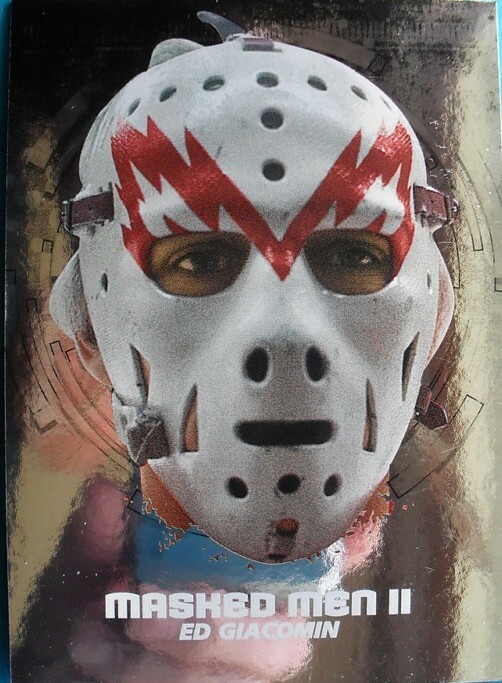 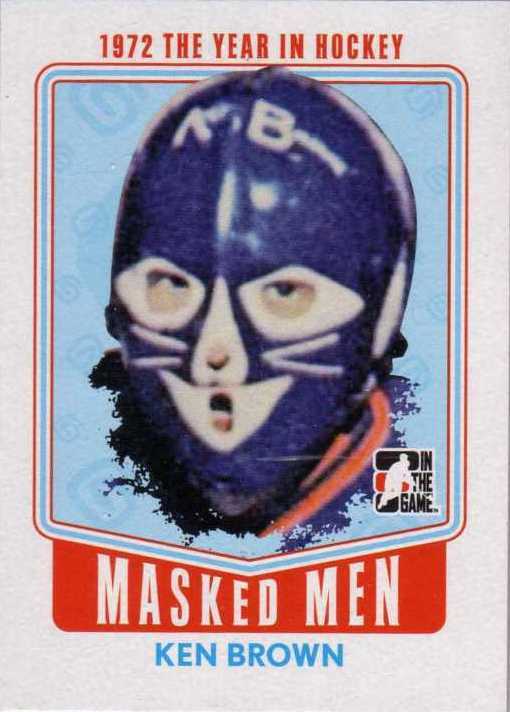 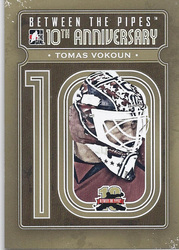 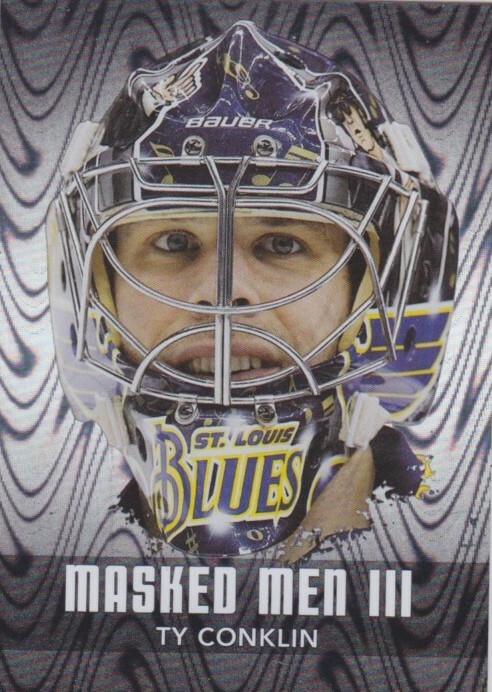 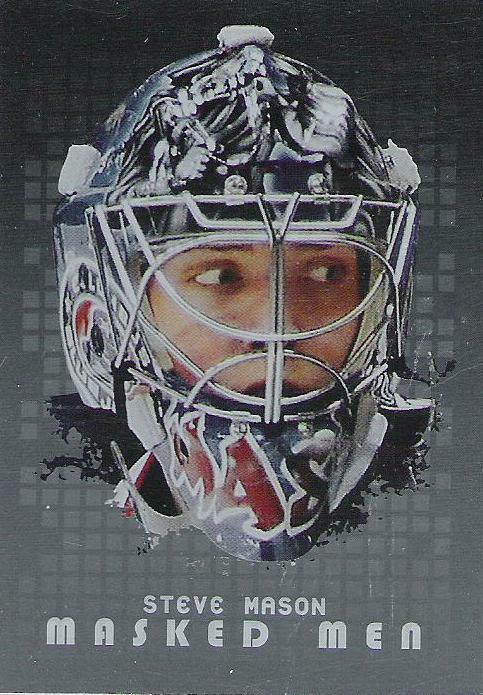 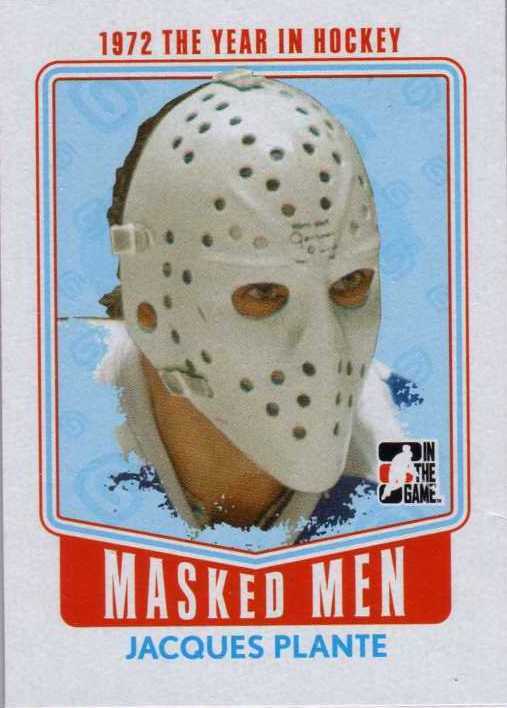 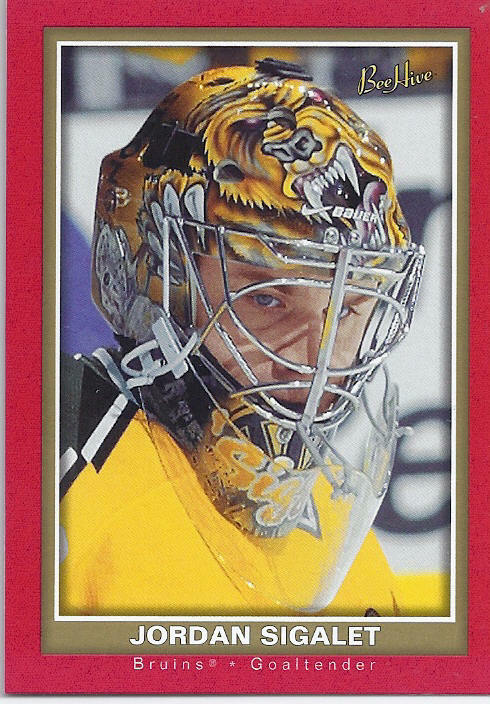 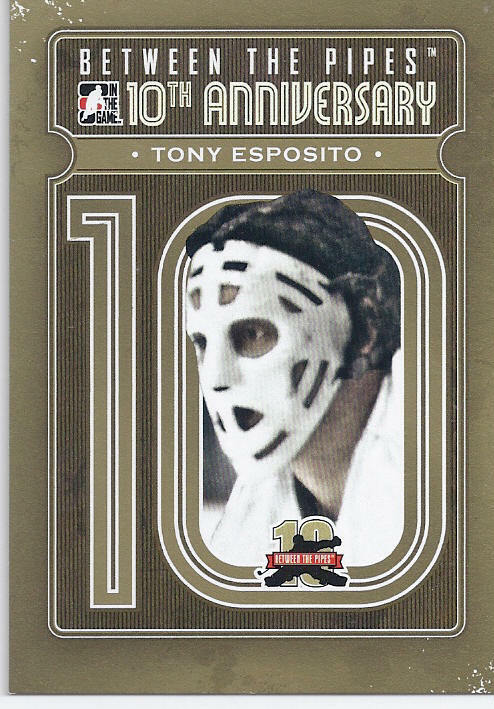 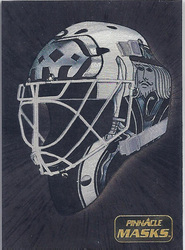 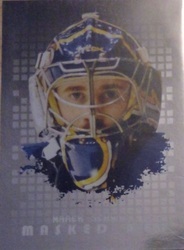 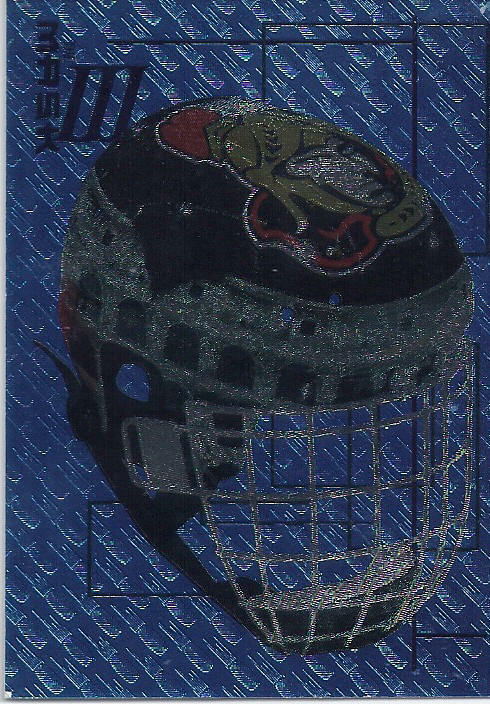 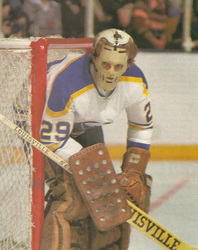 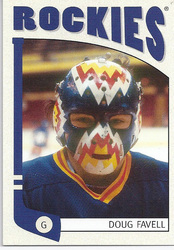 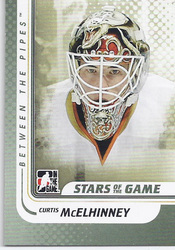 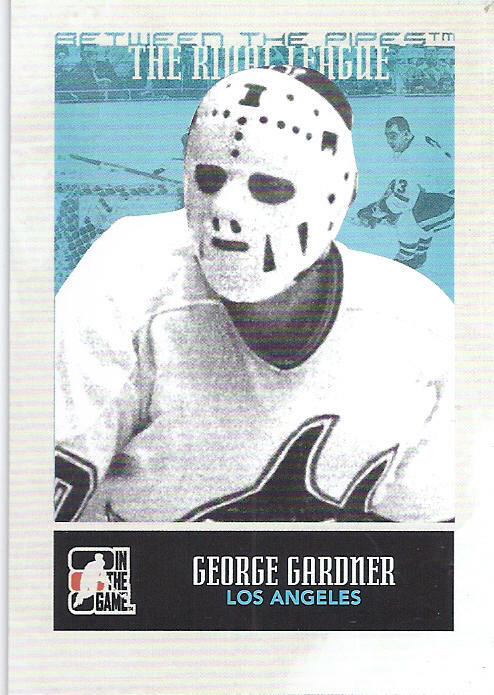 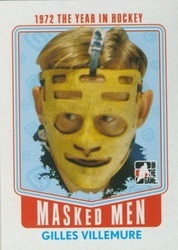 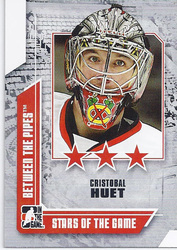 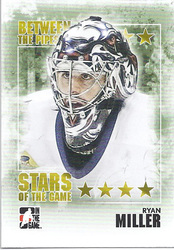 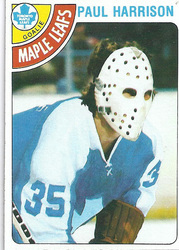 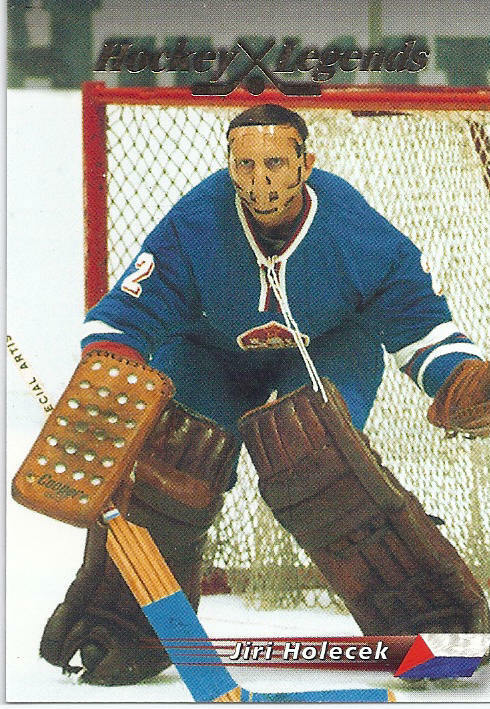 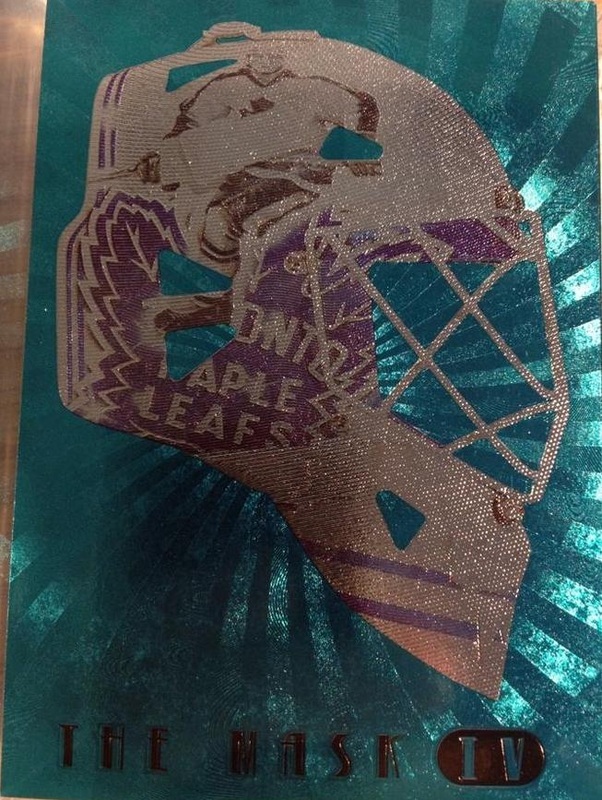 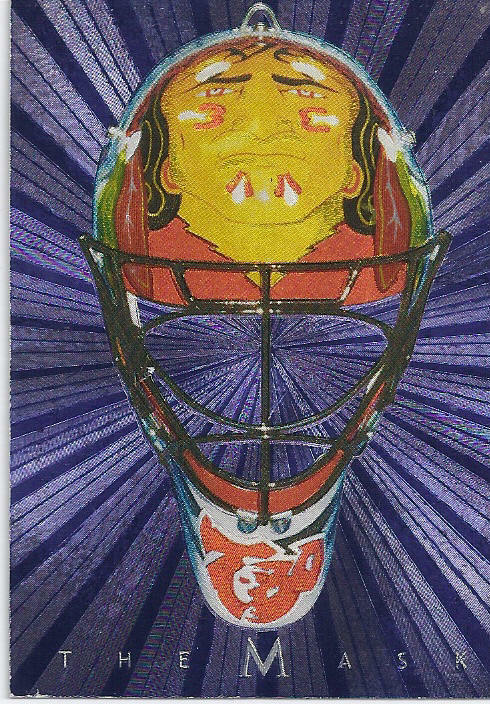 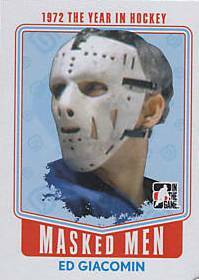 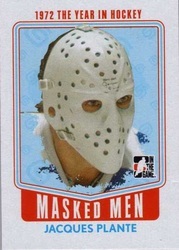 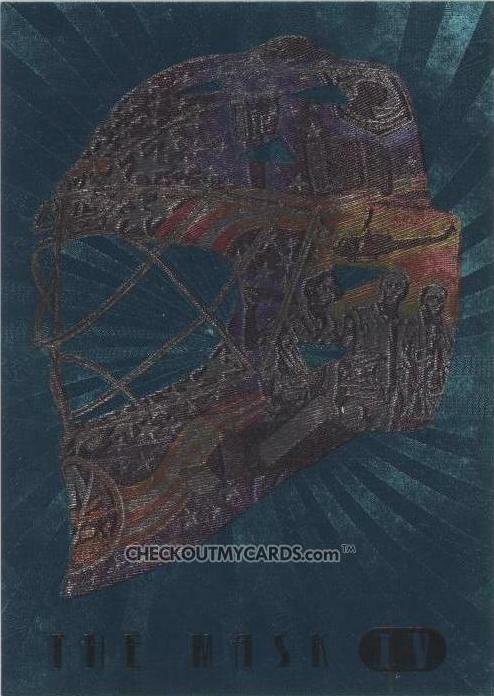 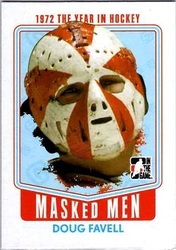 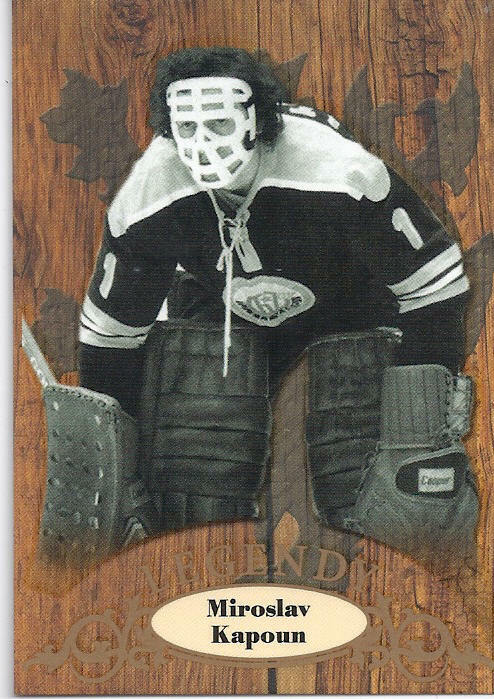 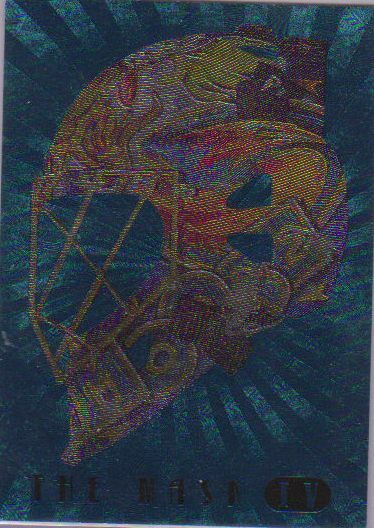 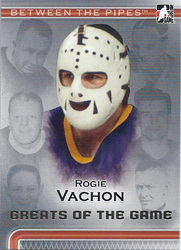 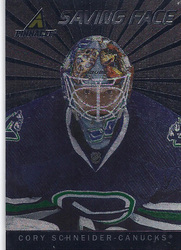 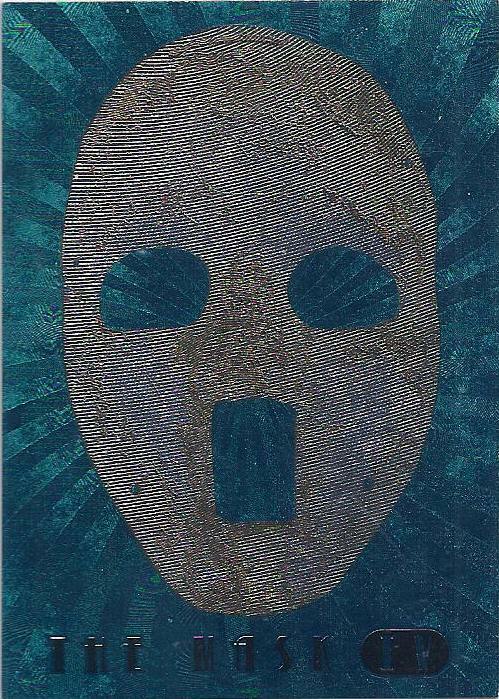 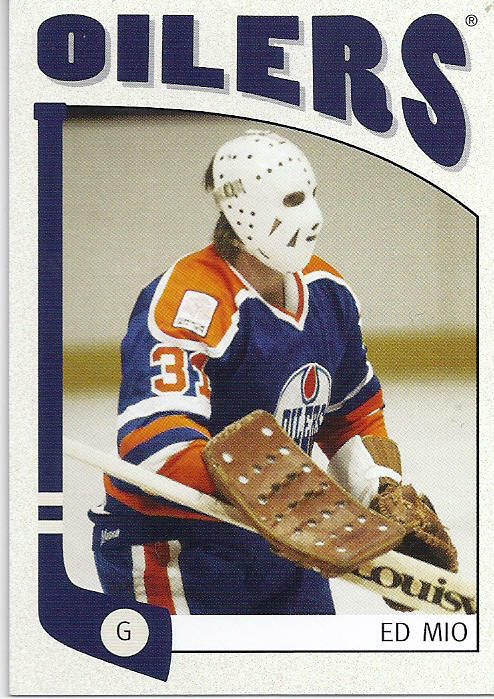 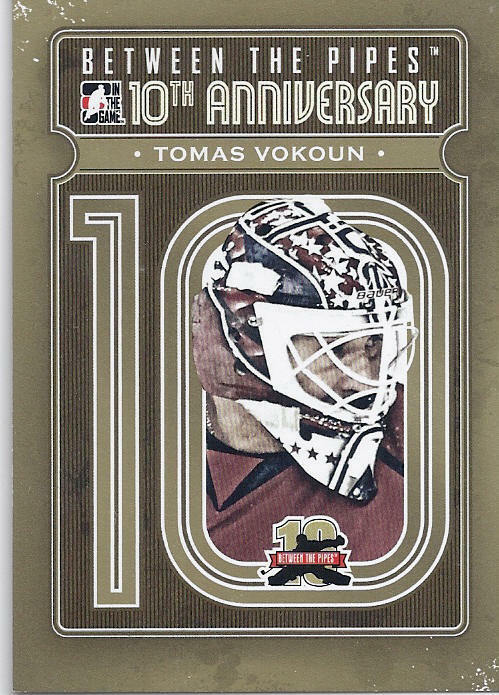 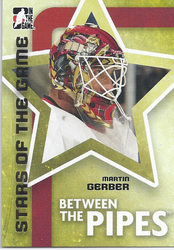 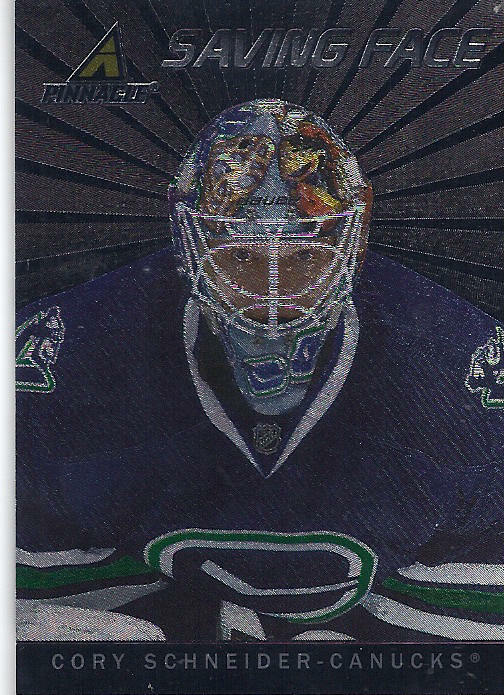 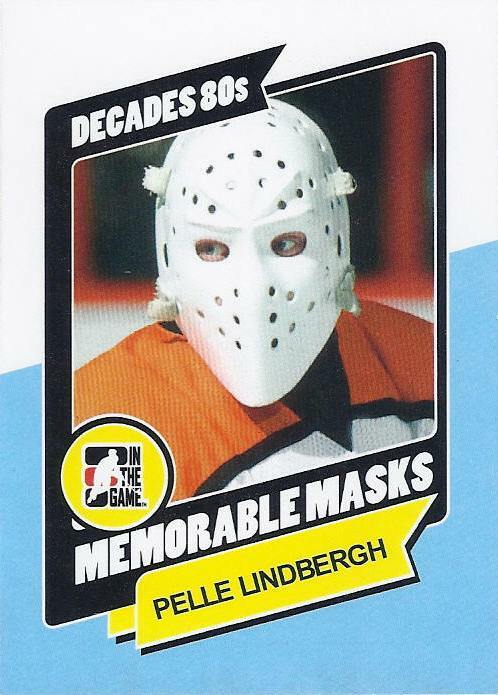 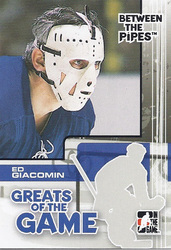 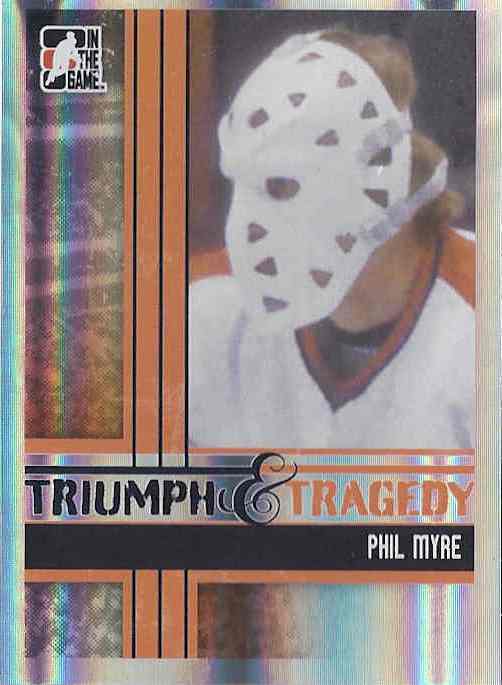 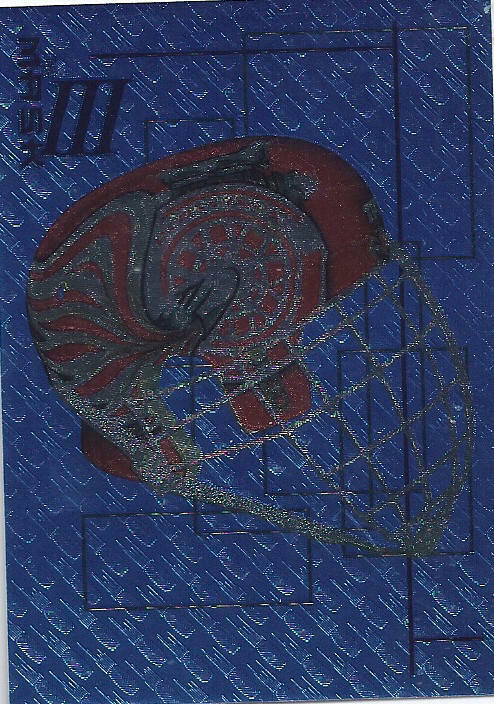 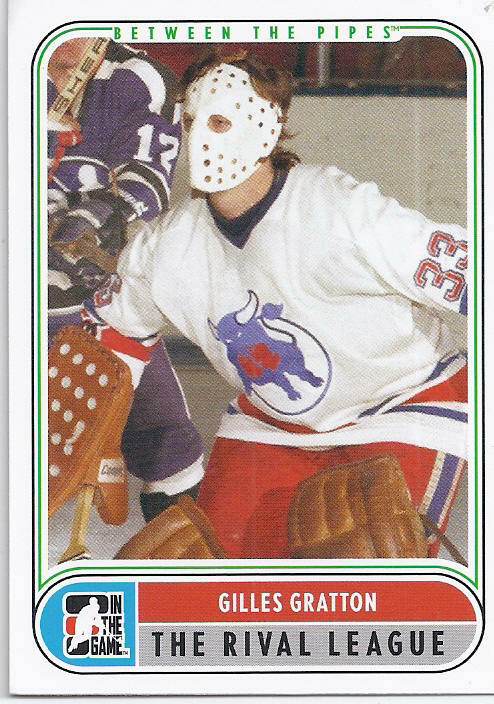 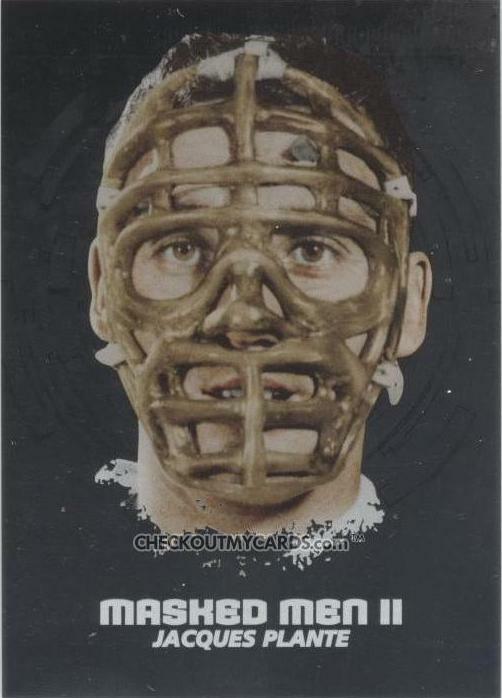 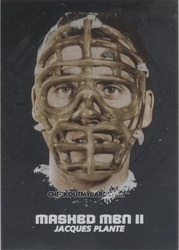 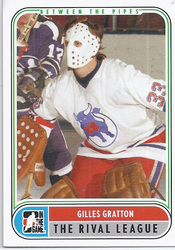 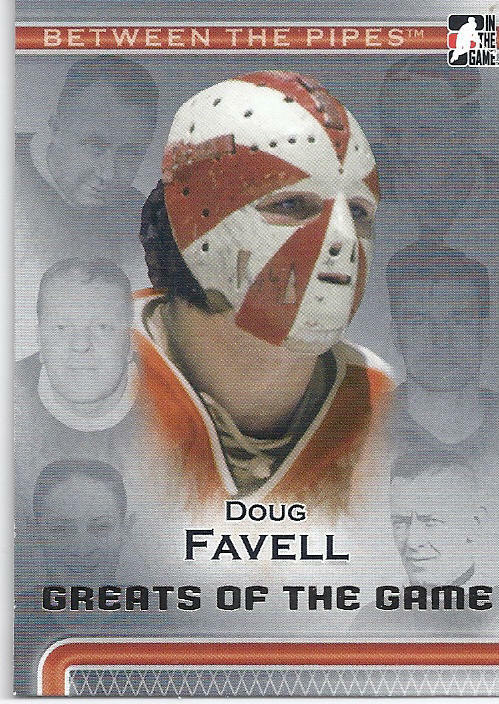 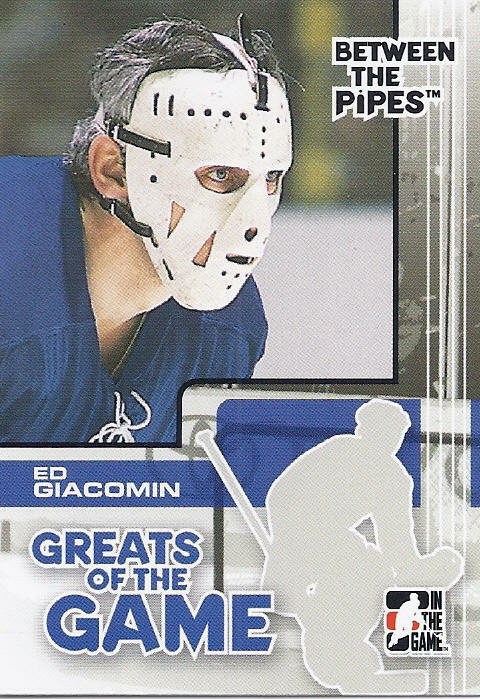 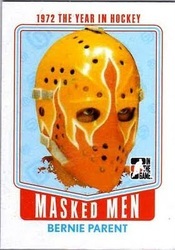 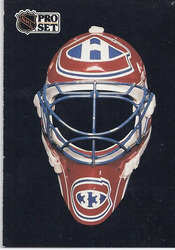 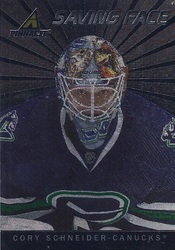 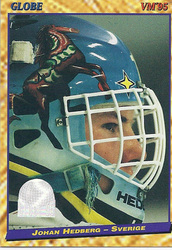 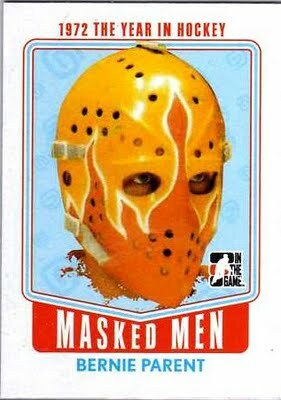 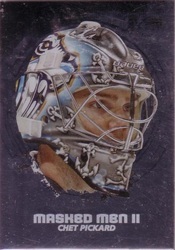 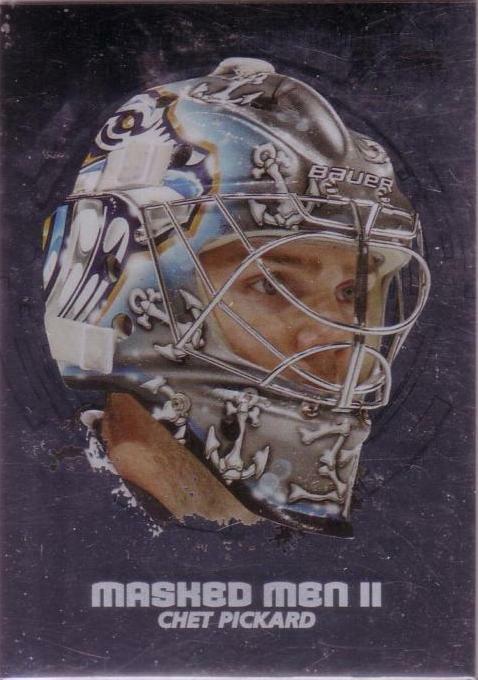 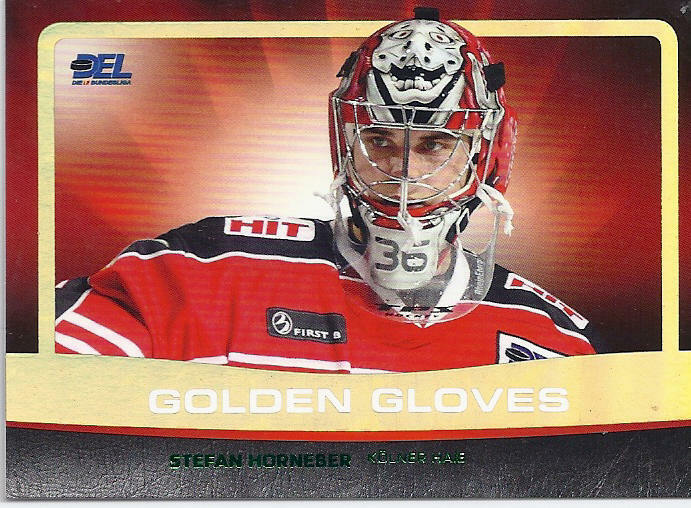 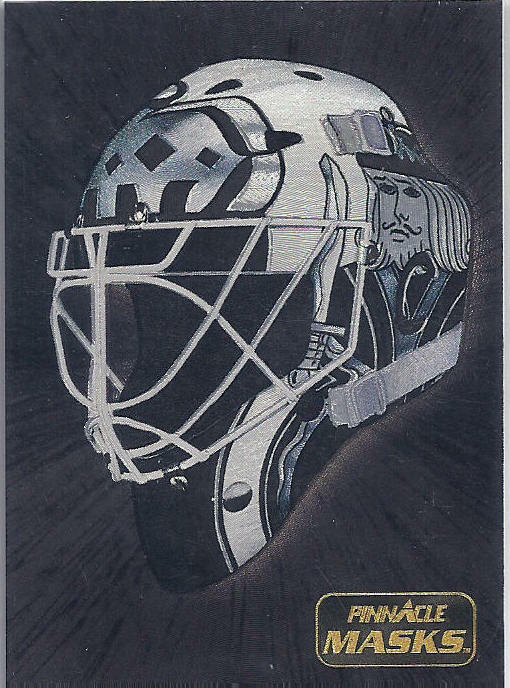 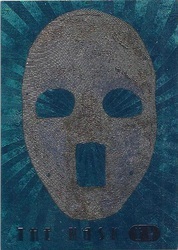 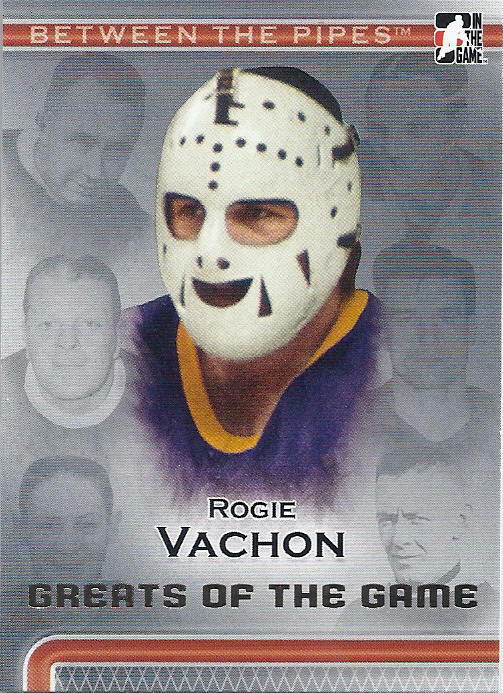 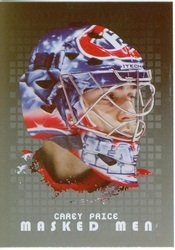 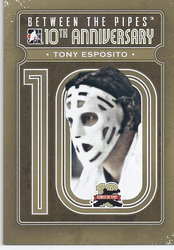 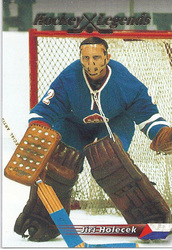 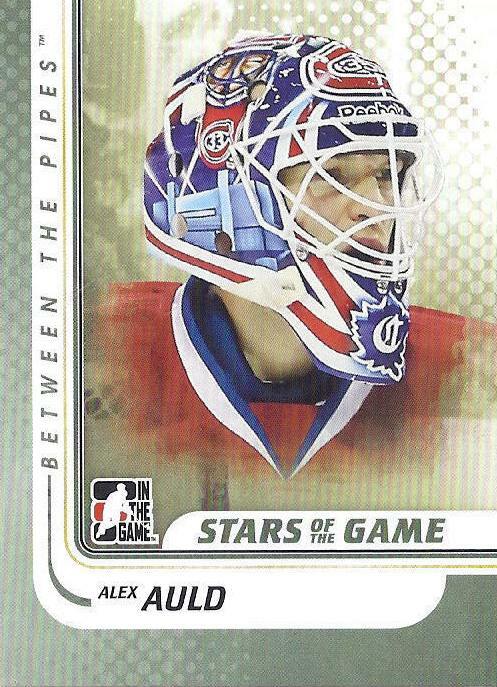 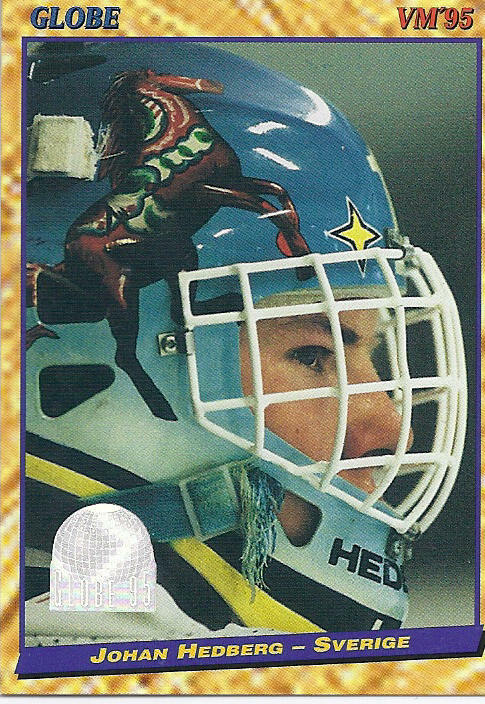 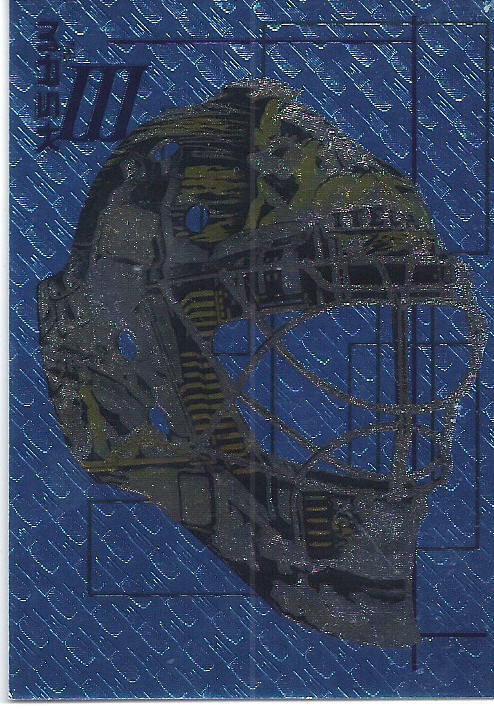 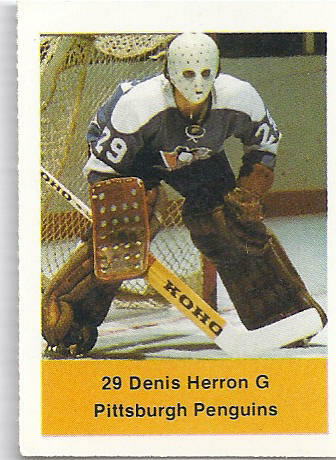 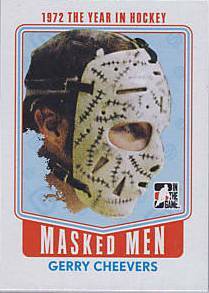 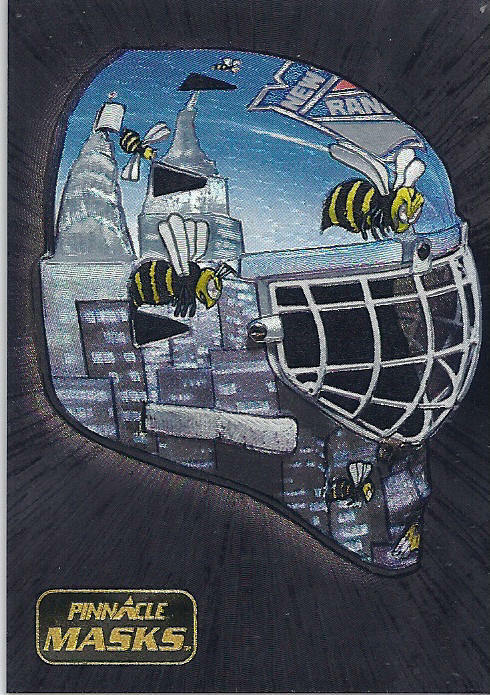 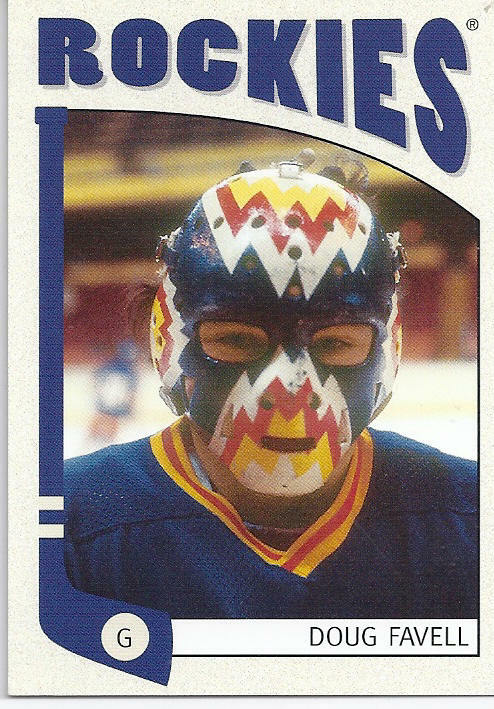 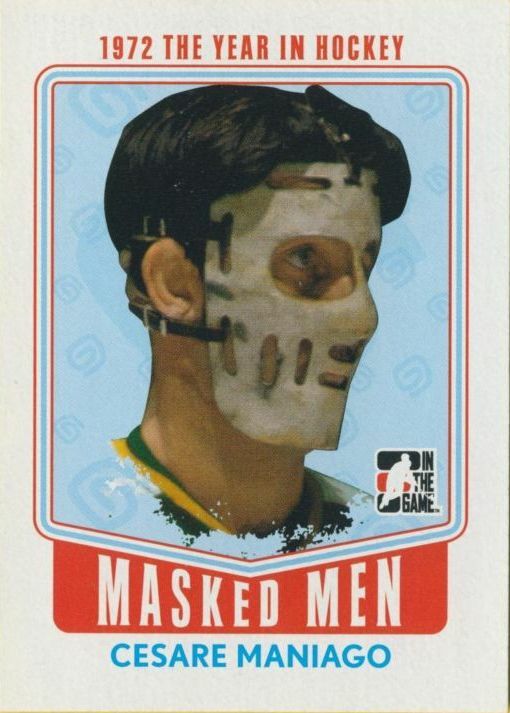 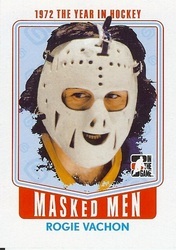 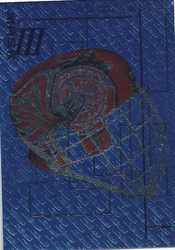 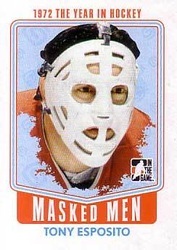 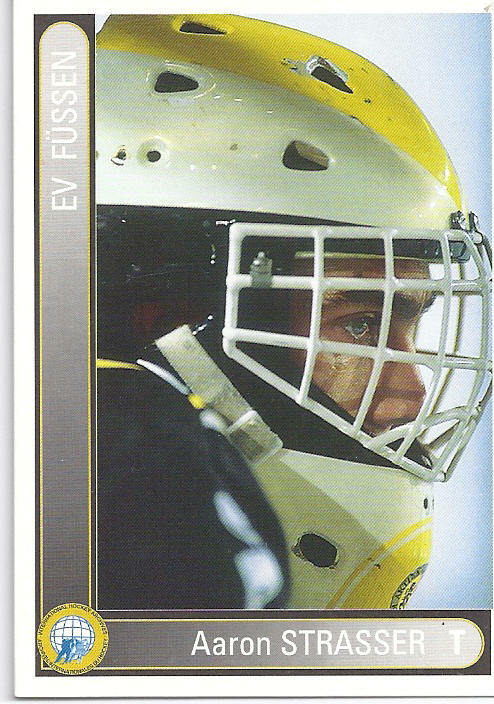 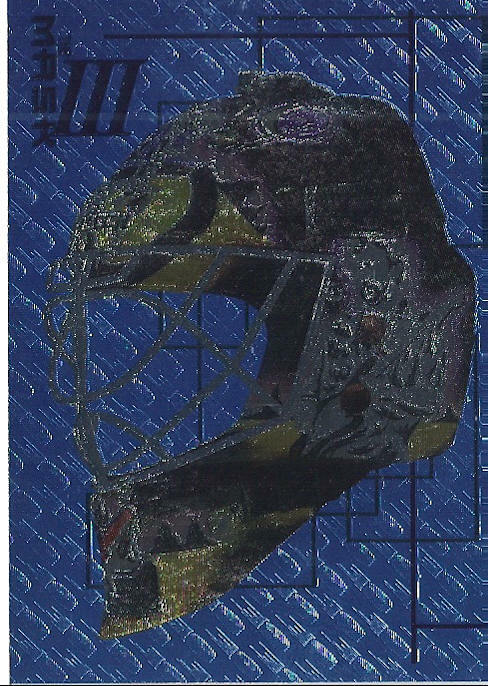 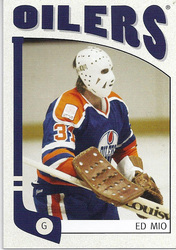 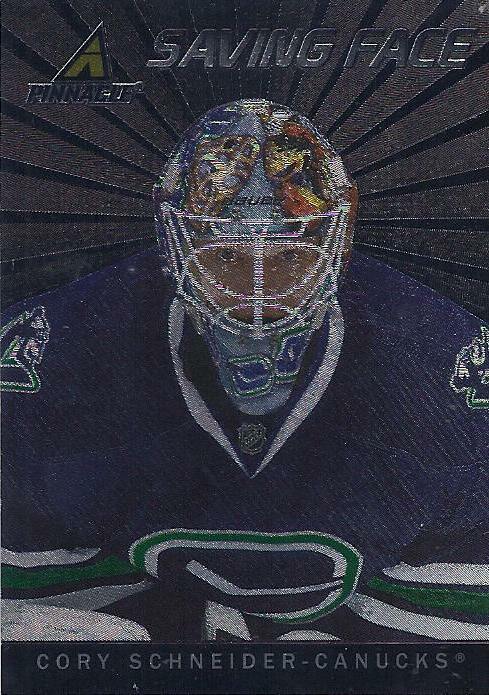 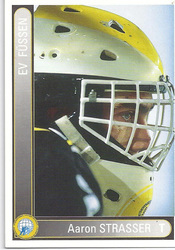 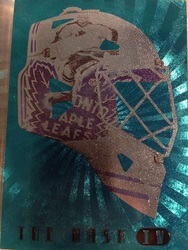 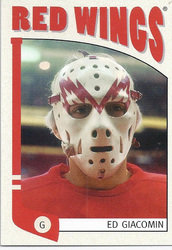 itg 1972 hockey year in review: masked men insert (10/10). 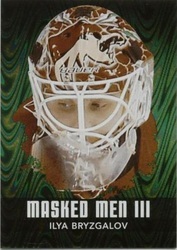 Between The Pipes 2002-03 The mask II. 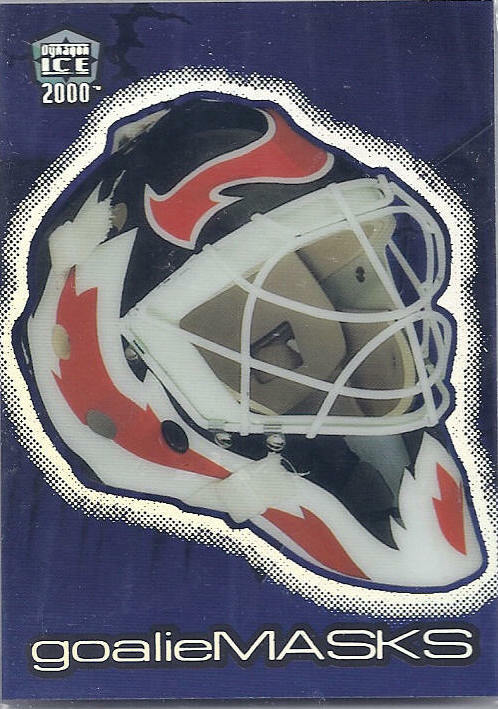 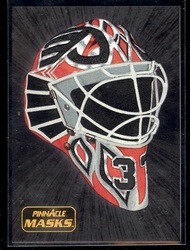 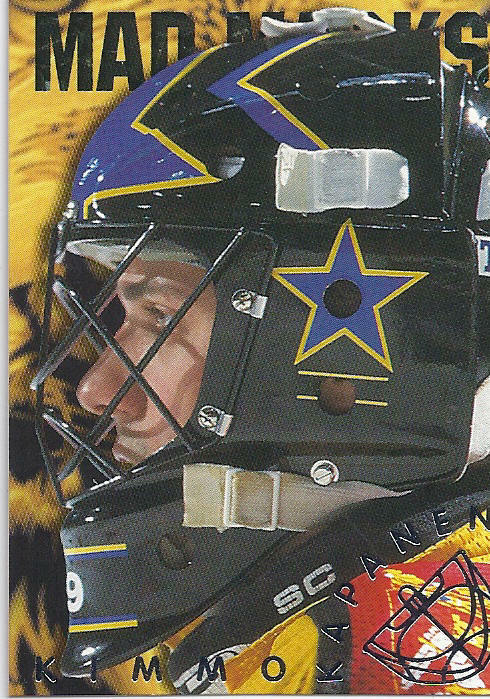 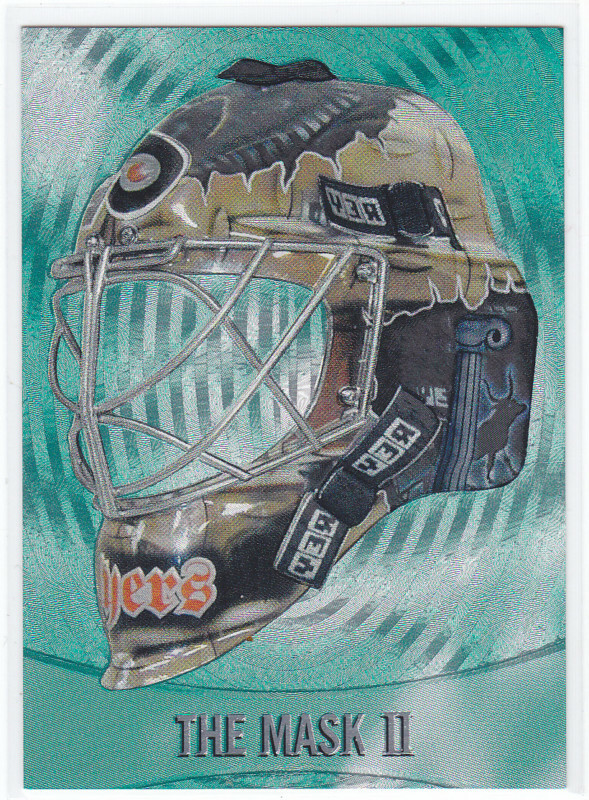 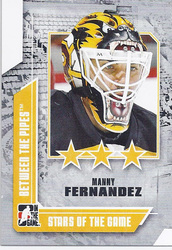 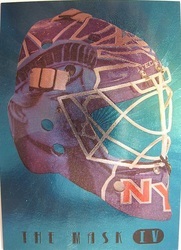 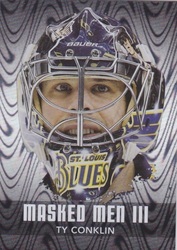 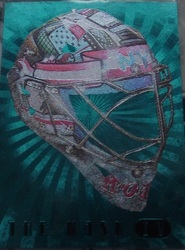 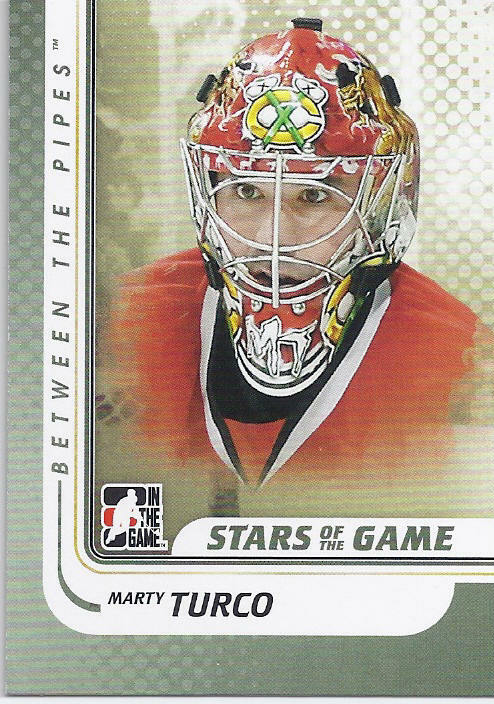 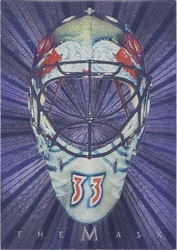 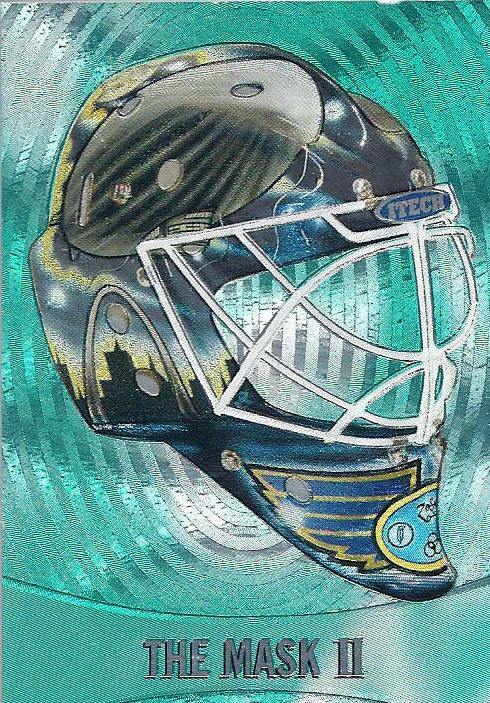 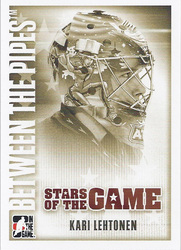 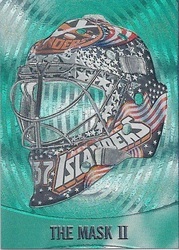 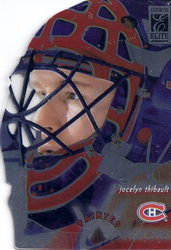 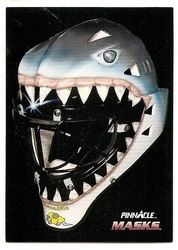 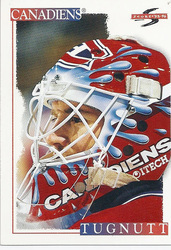 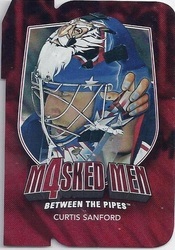 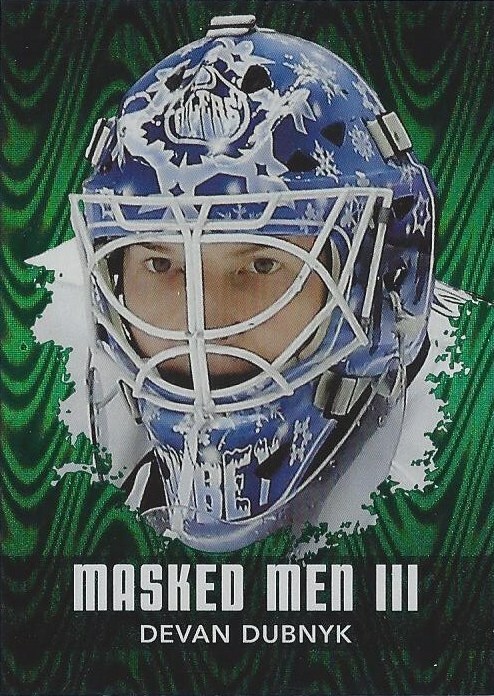 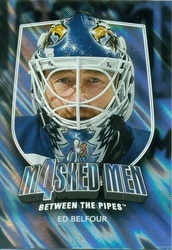 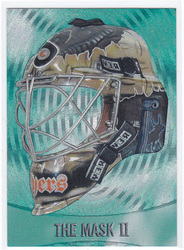 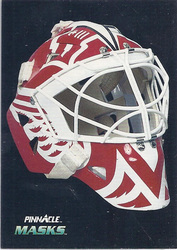 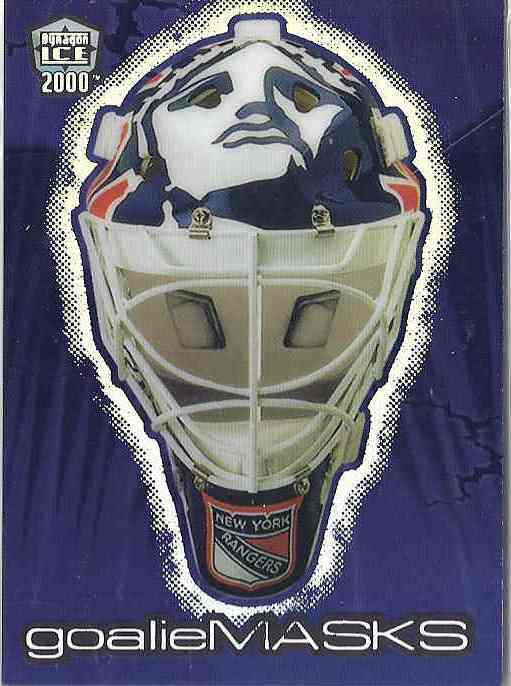 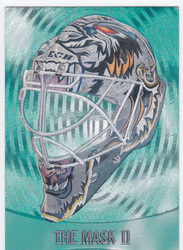 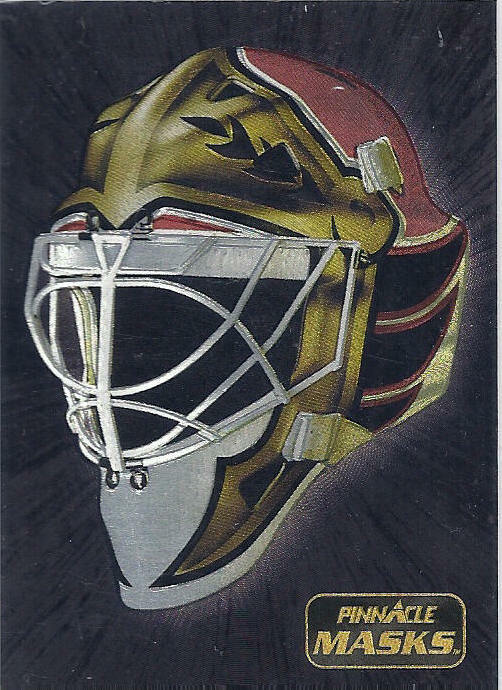 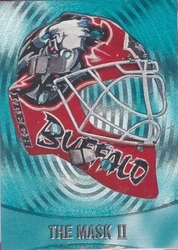 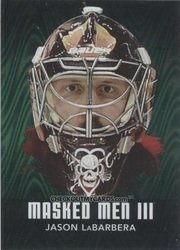 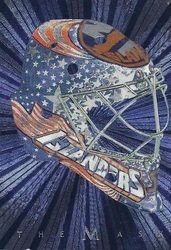 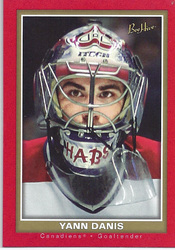 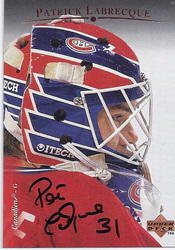 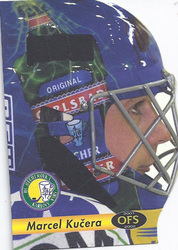 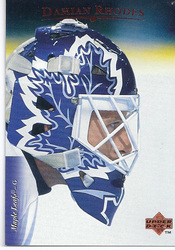 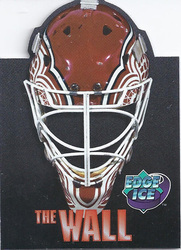 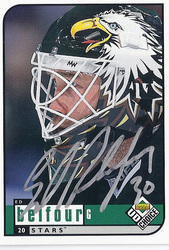 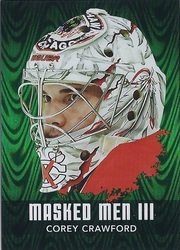 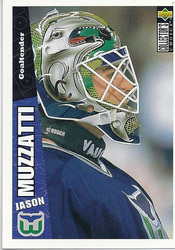 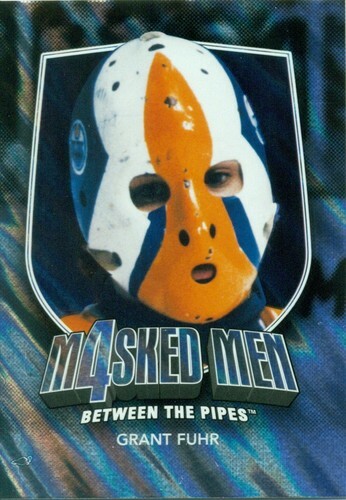 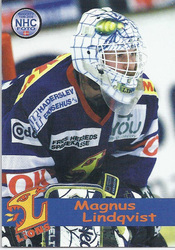 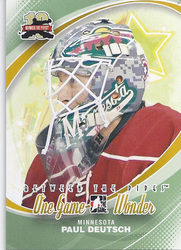 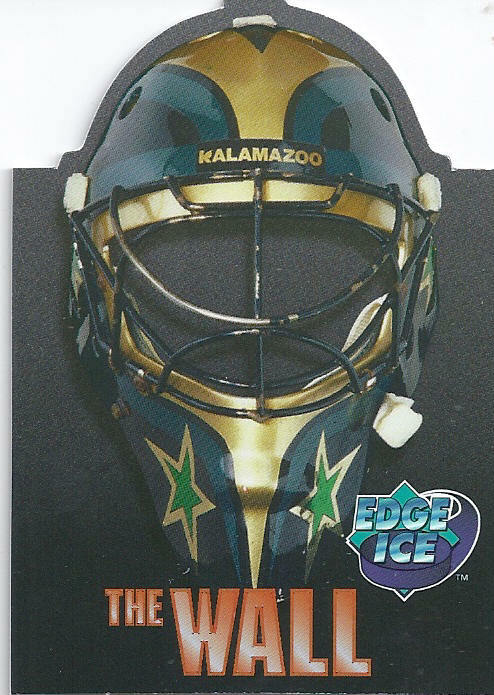 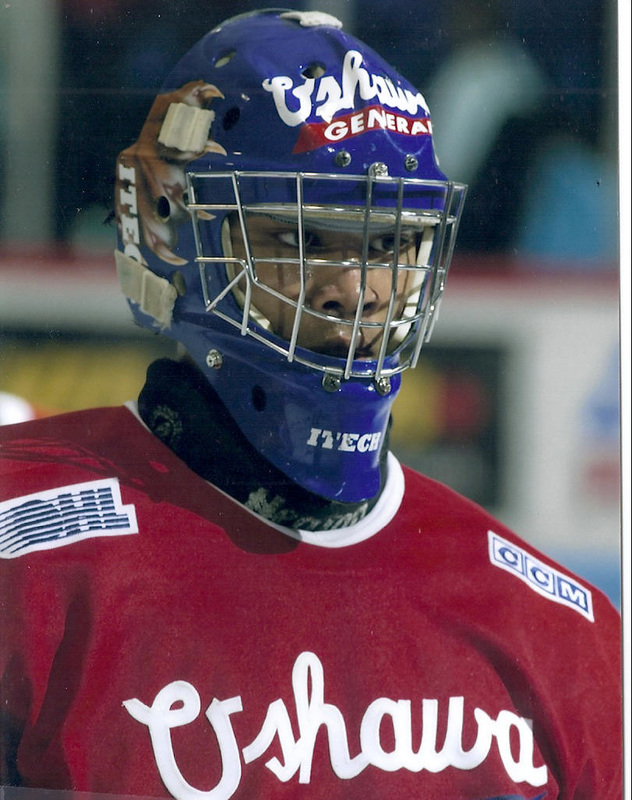 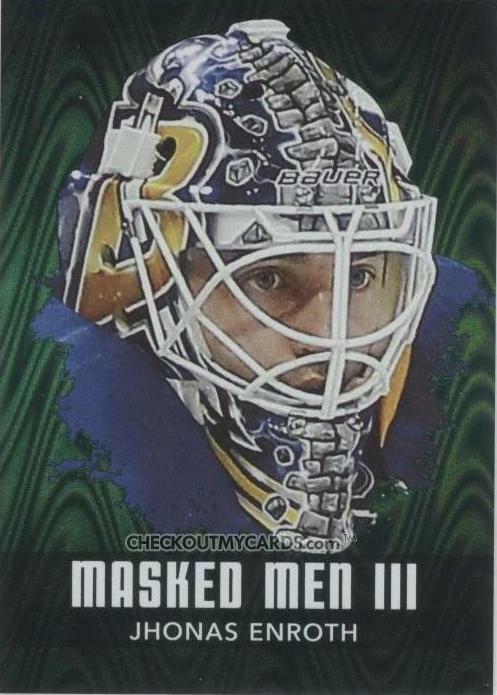 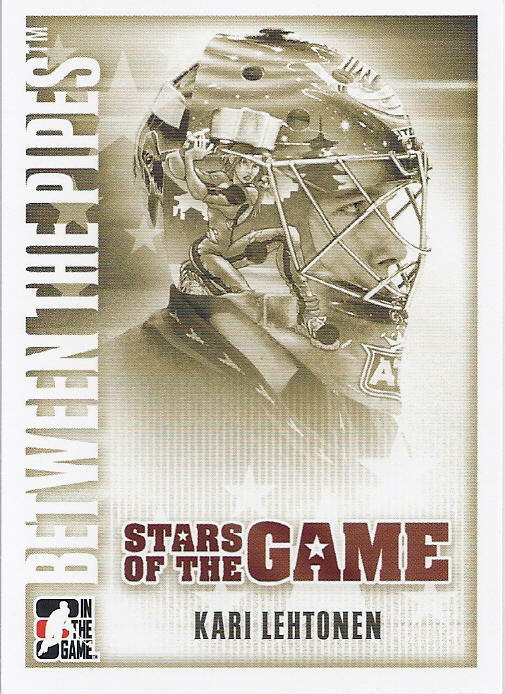 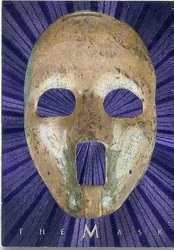 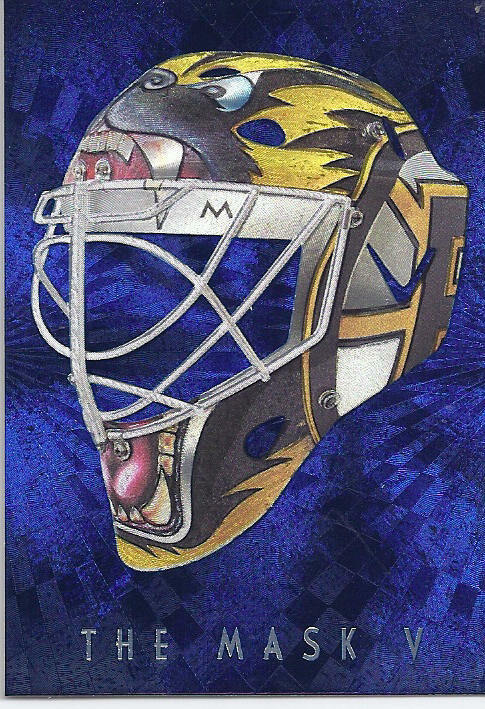 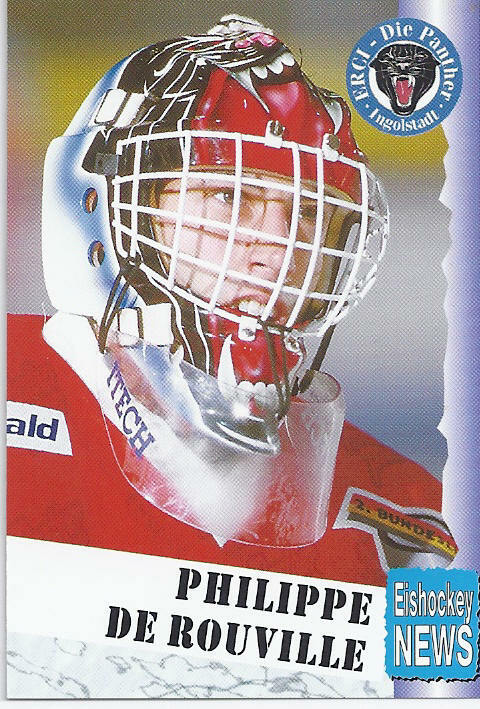 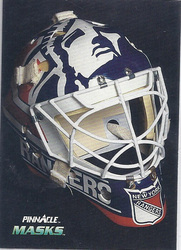 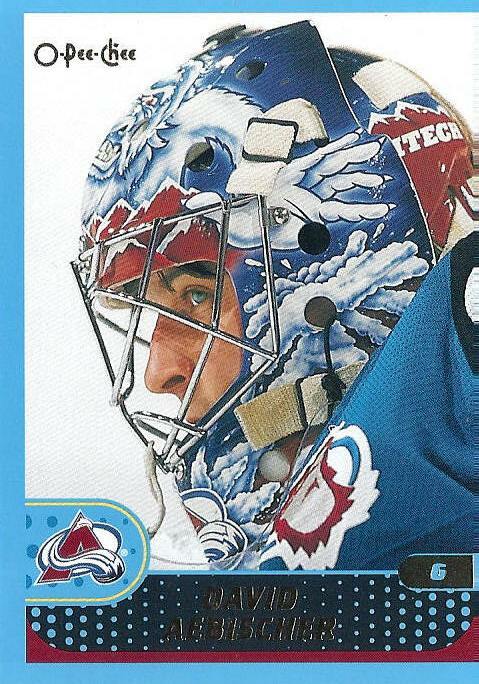 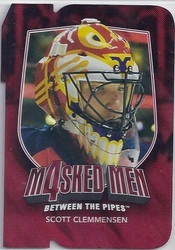 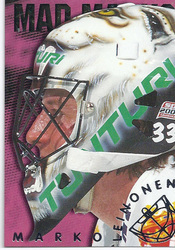 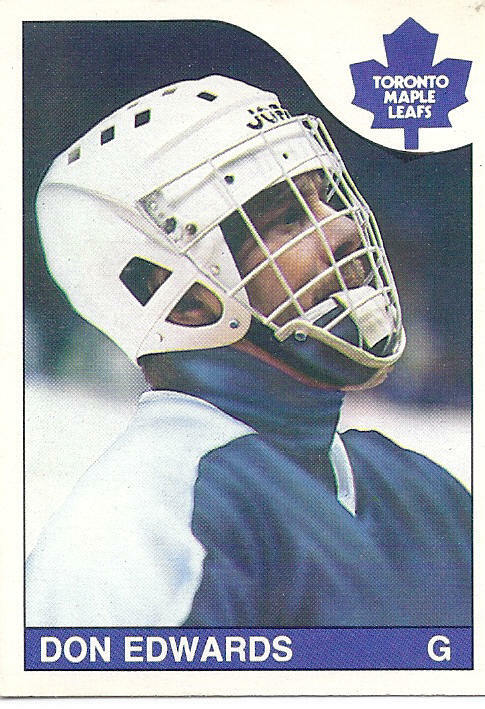 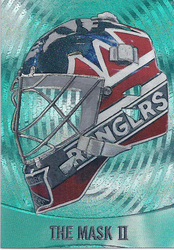 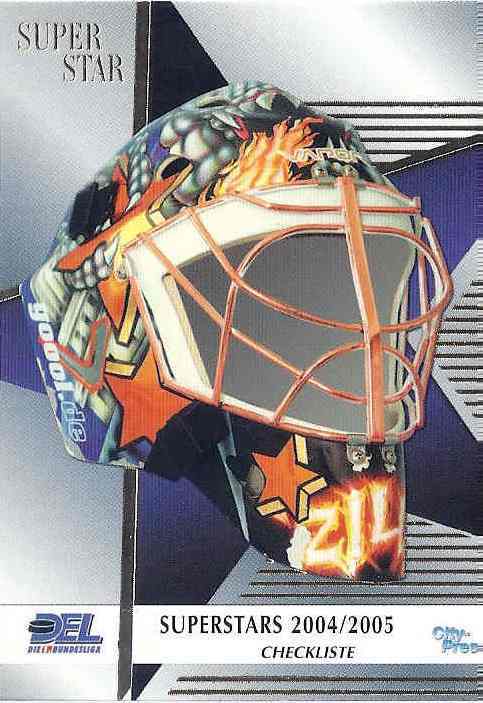 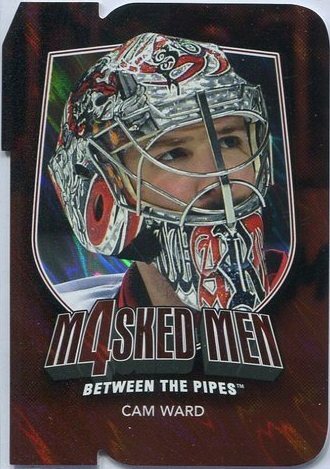 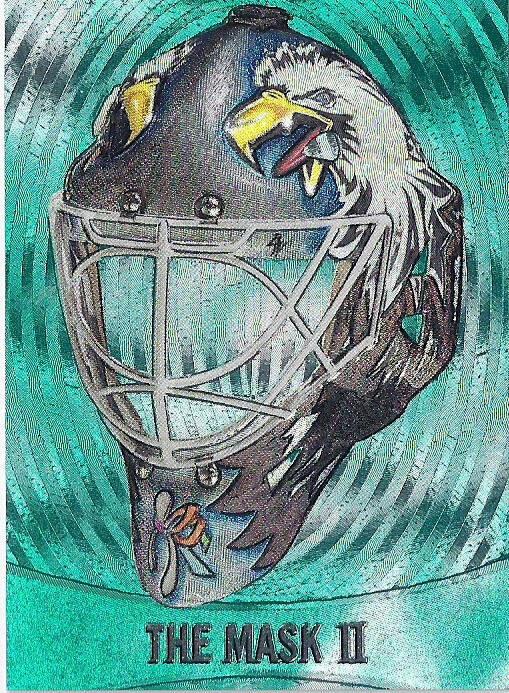 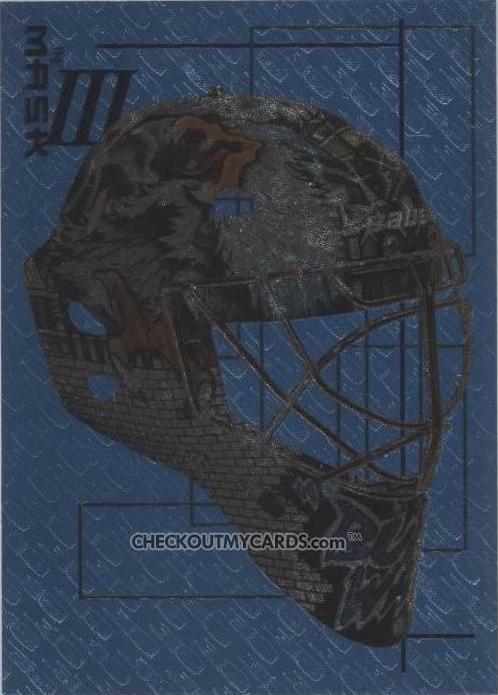 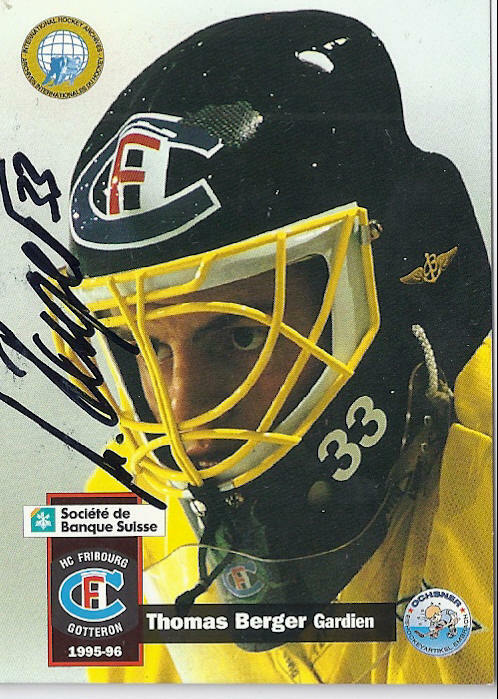 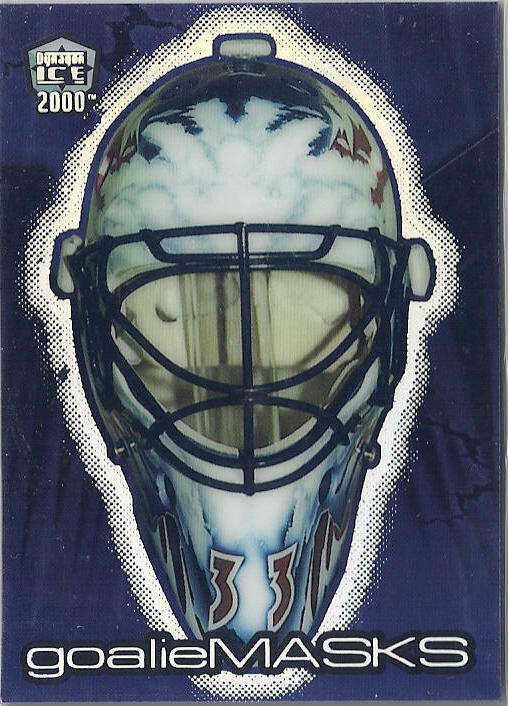 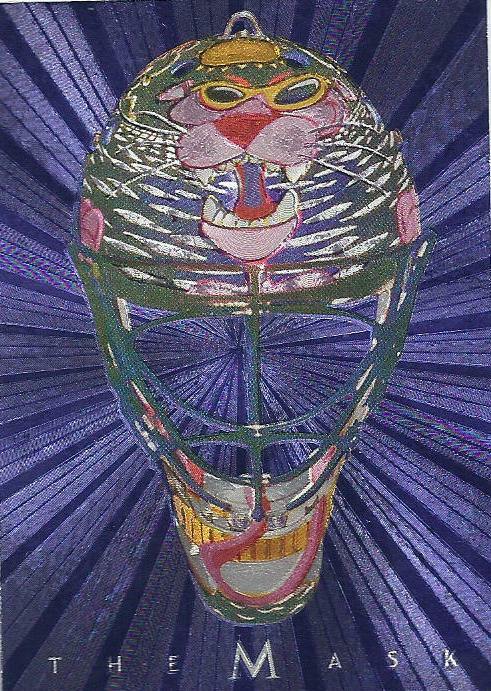 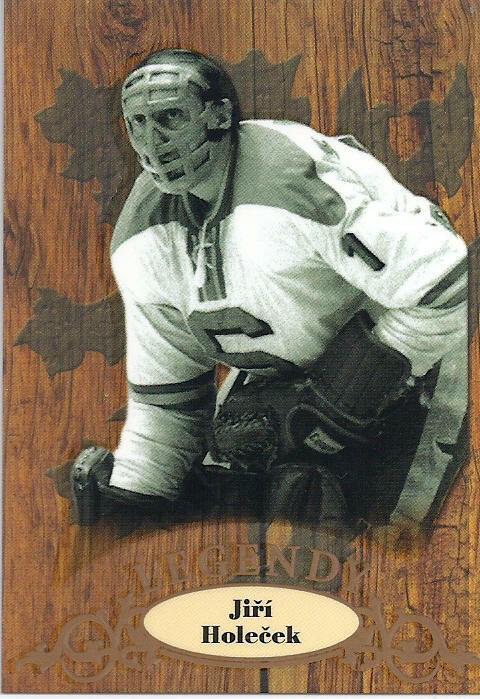 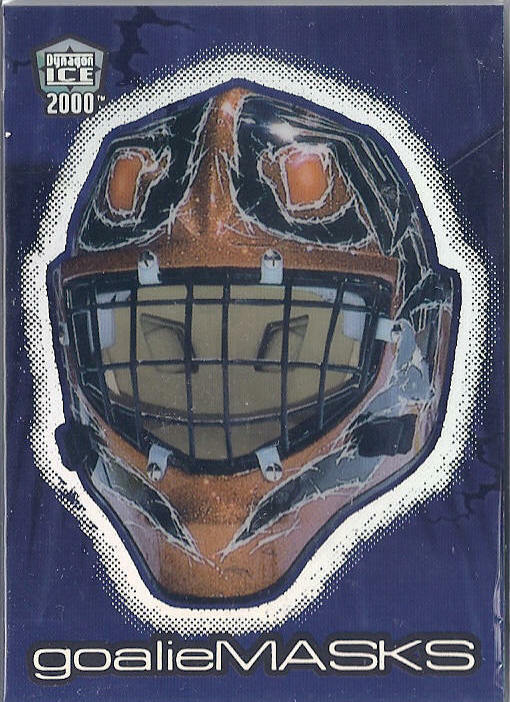 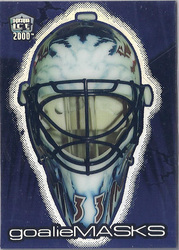 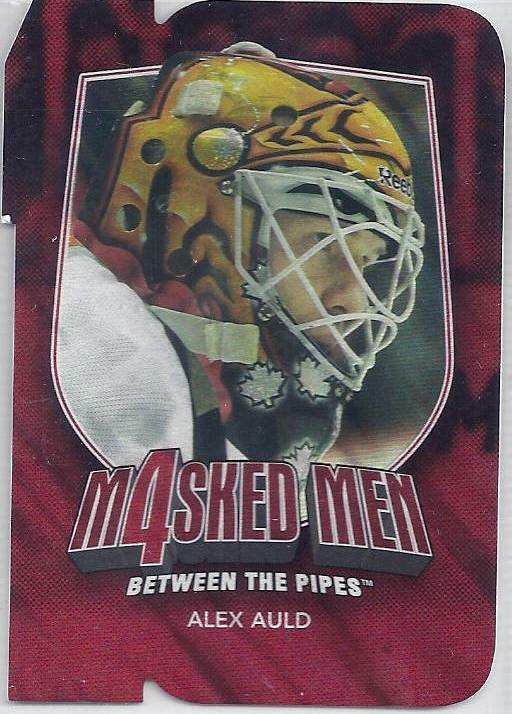 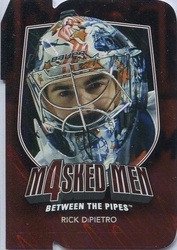 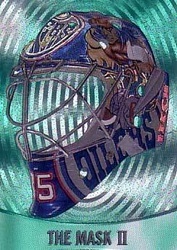 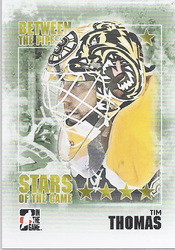 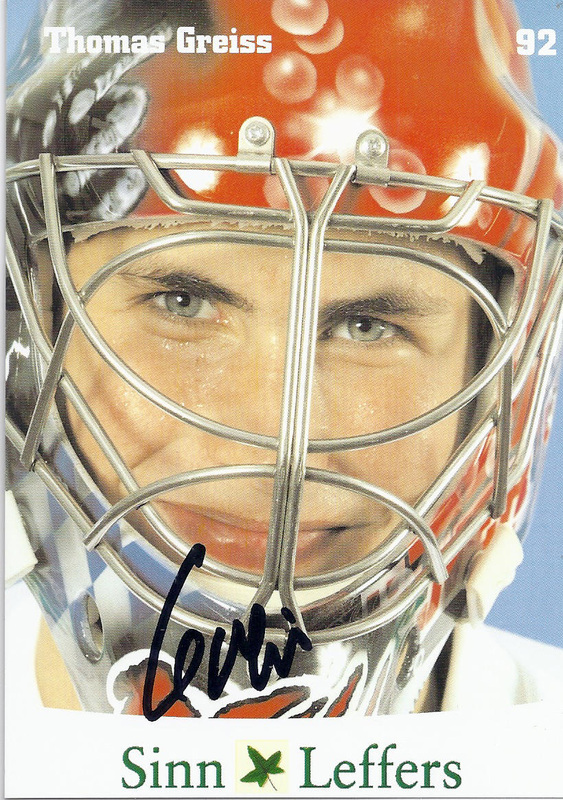 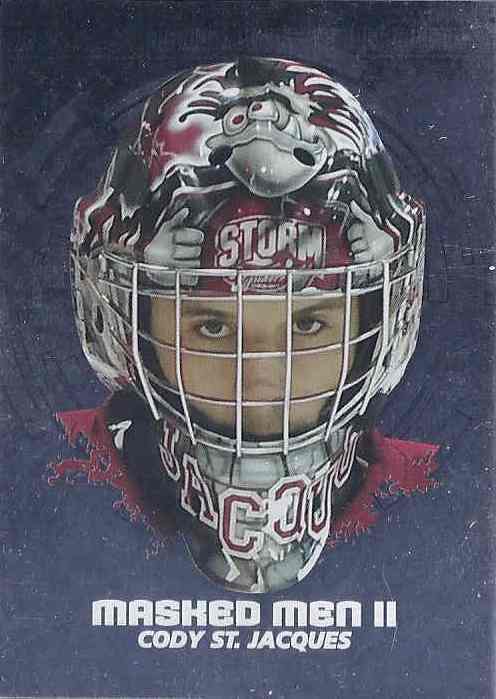 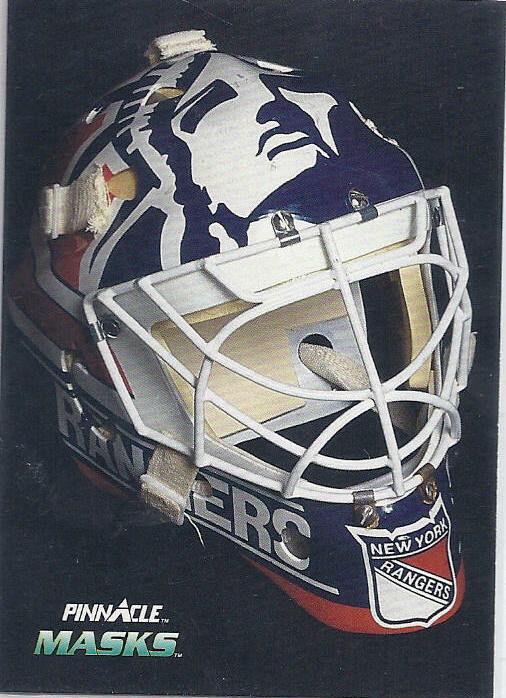 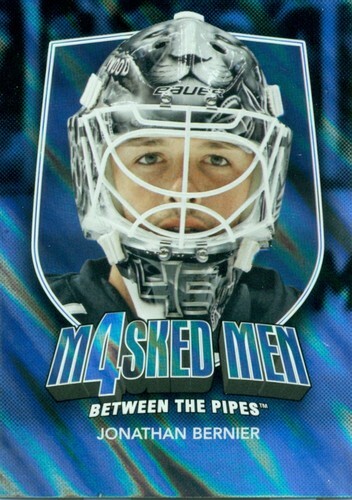 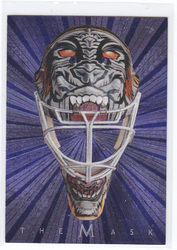 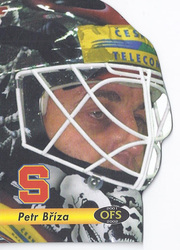 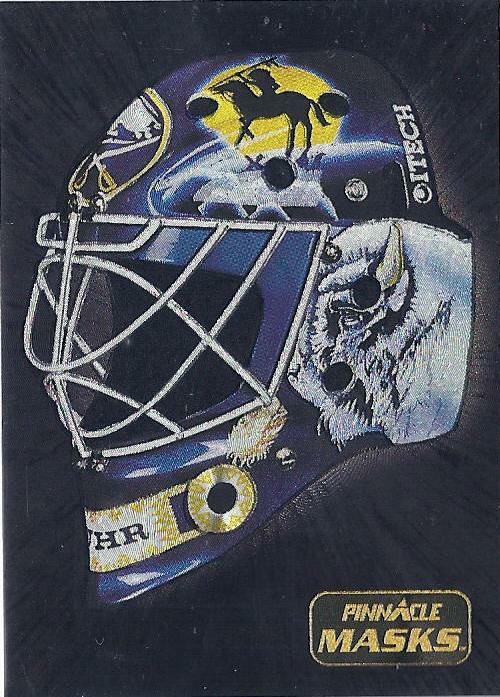 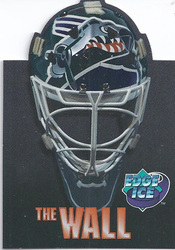 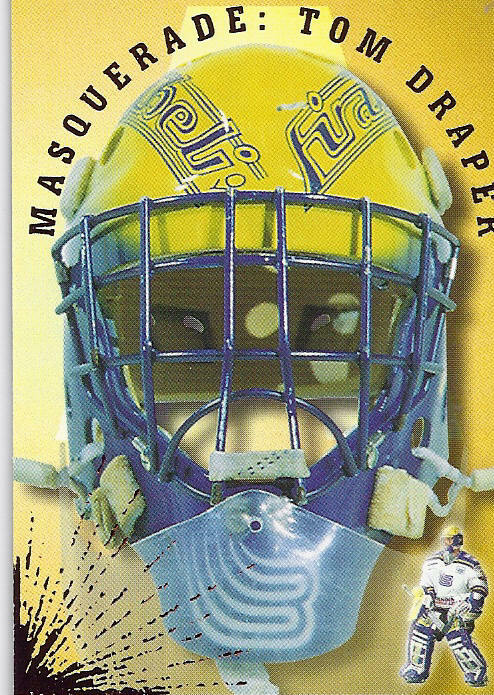 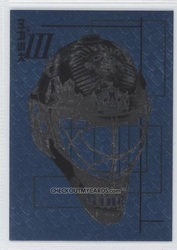 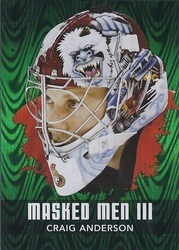 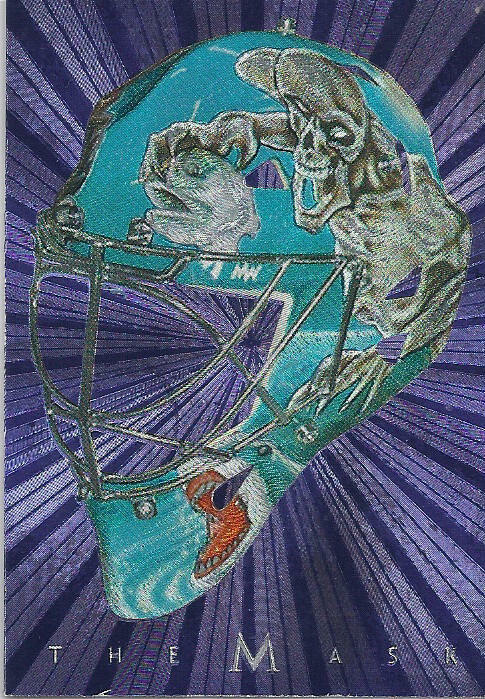 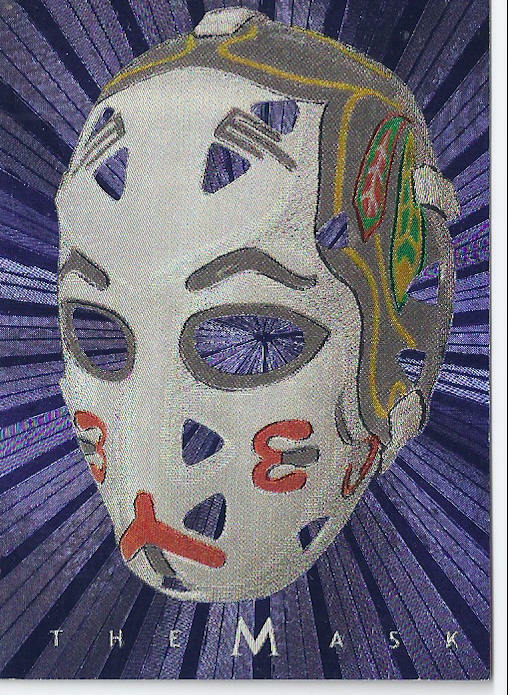 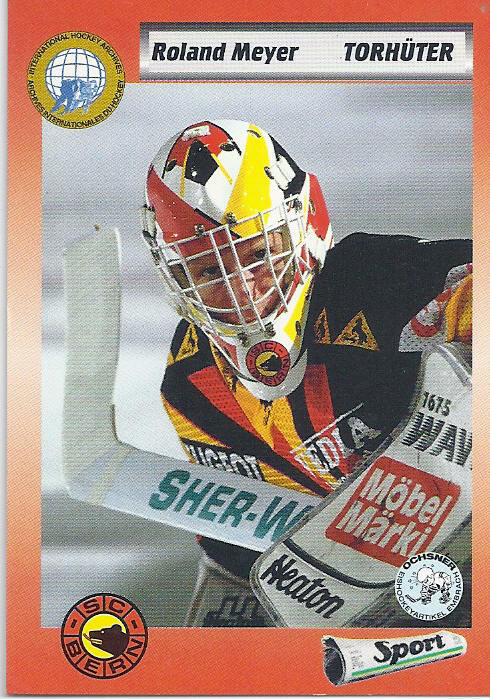 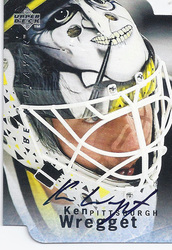 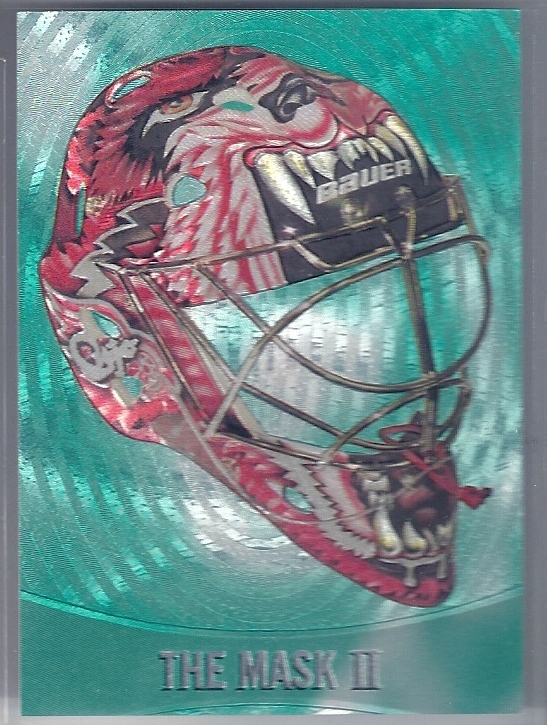 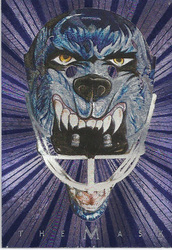 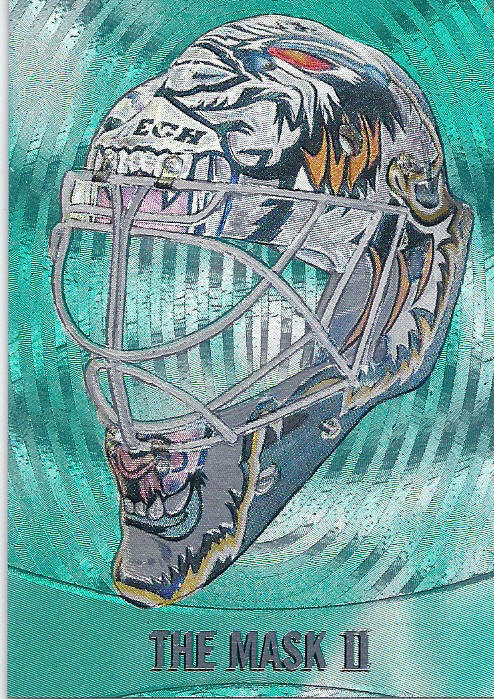 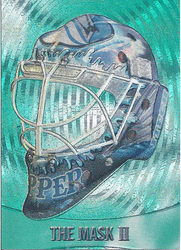 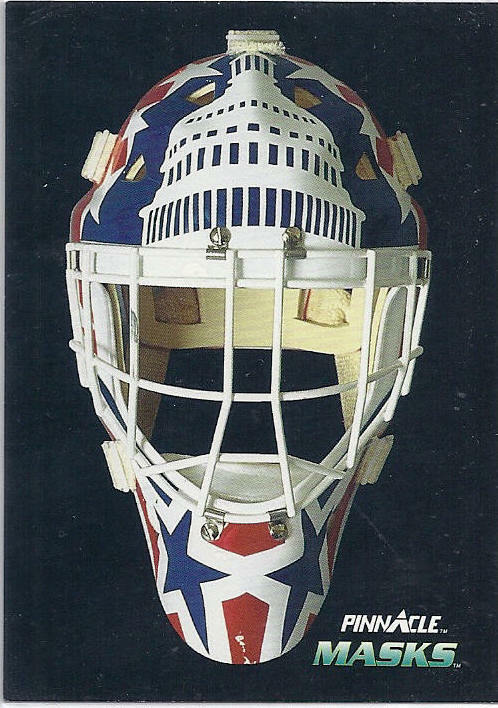 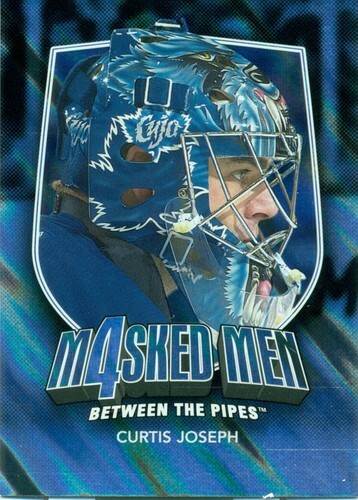 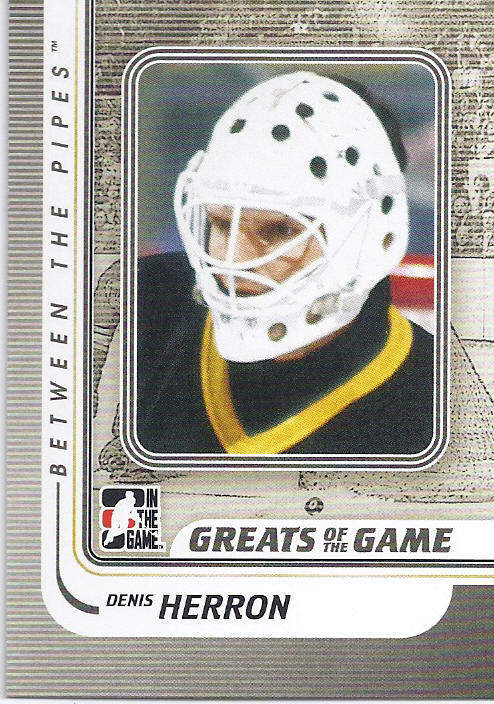 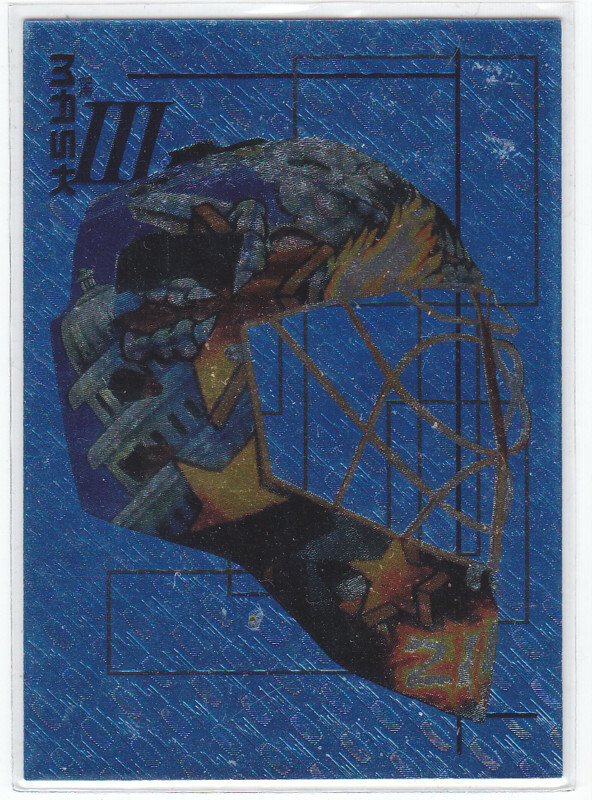 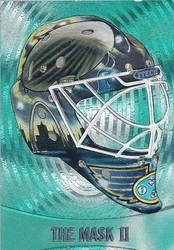 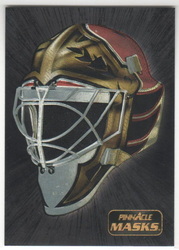 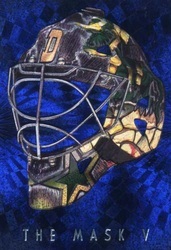 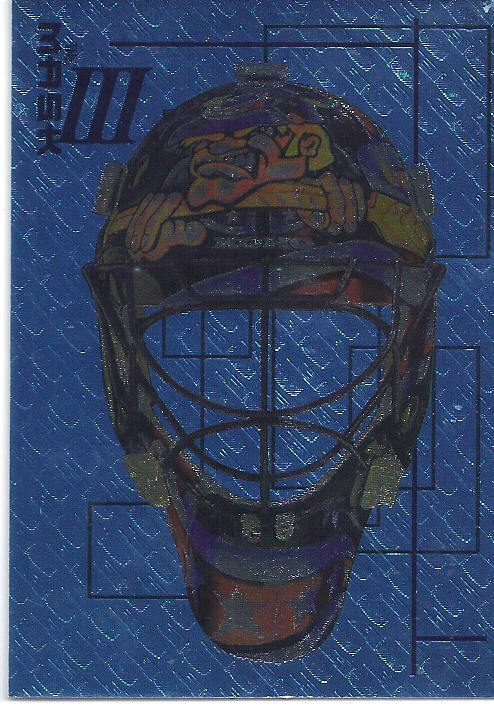 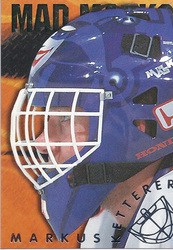 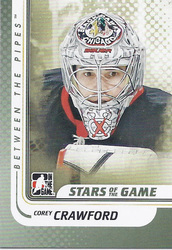 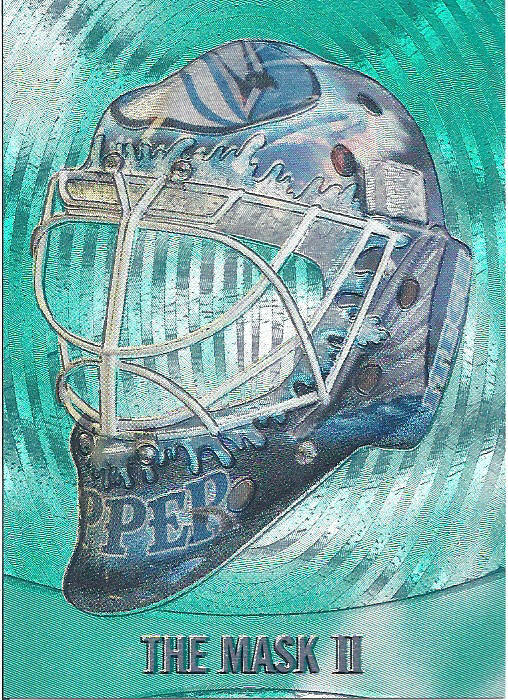 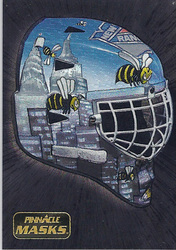 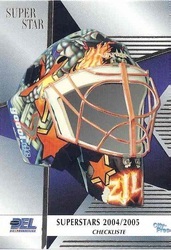 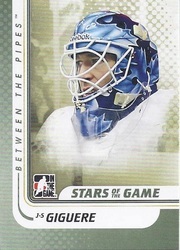 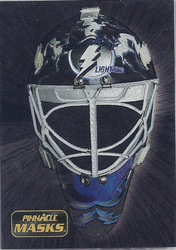 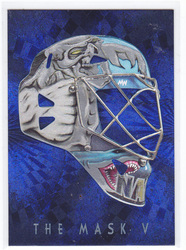 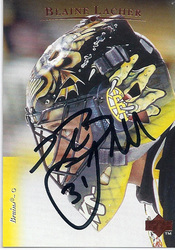 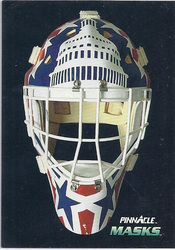 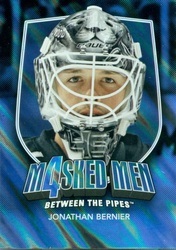 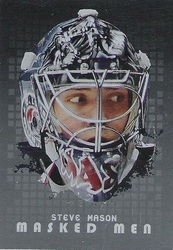 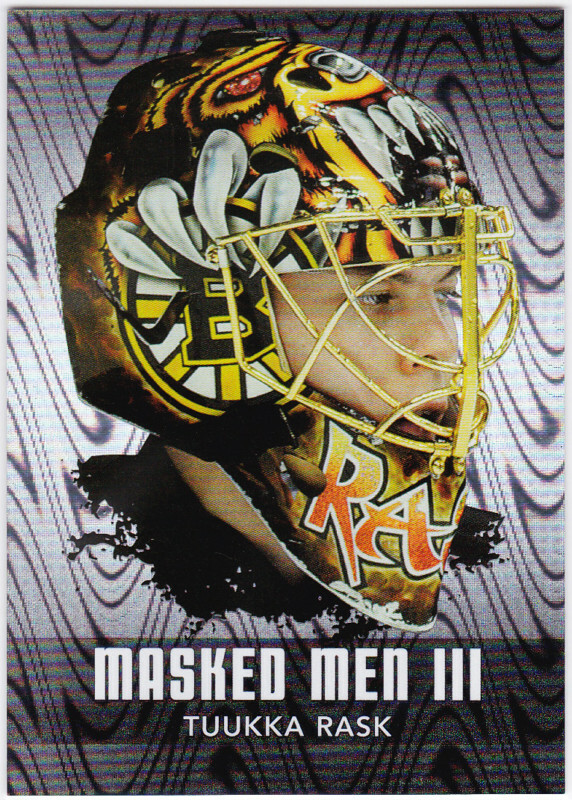 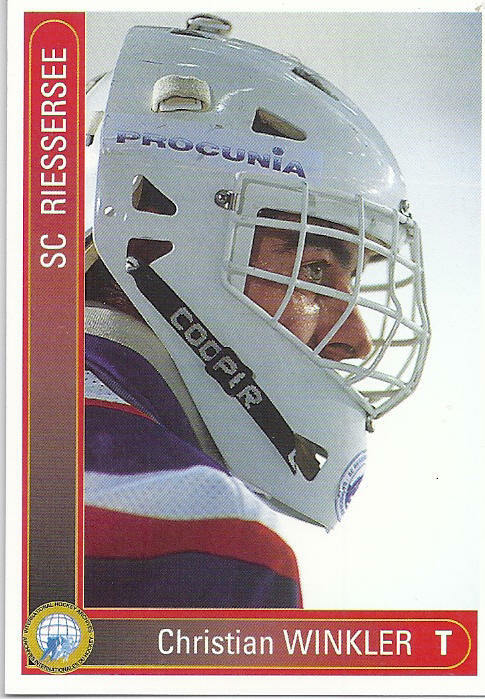 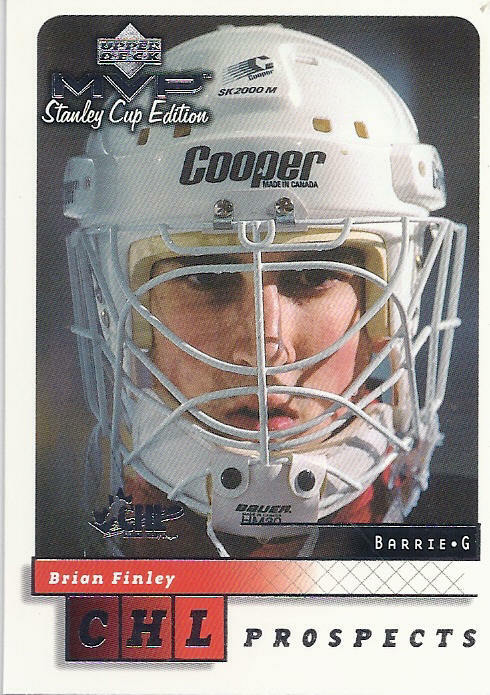 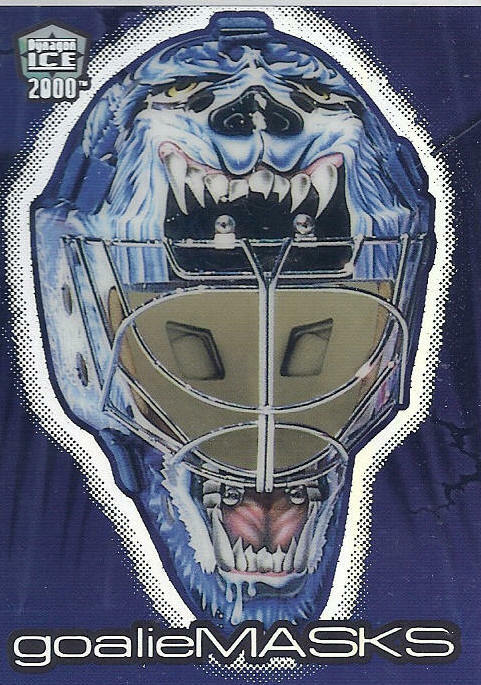 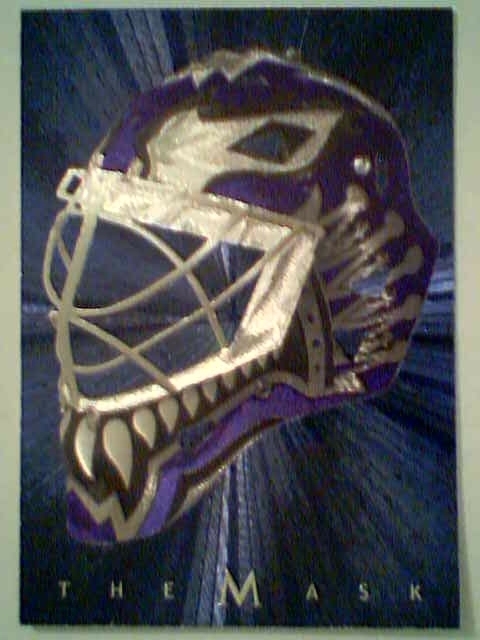 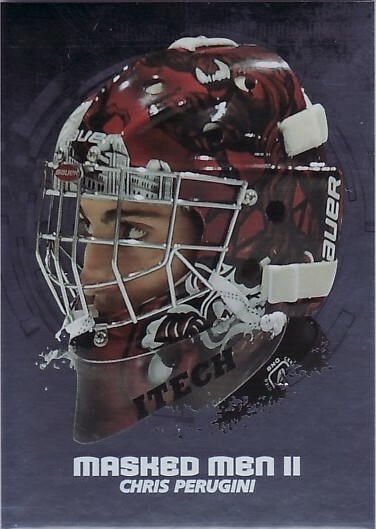 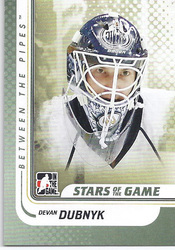 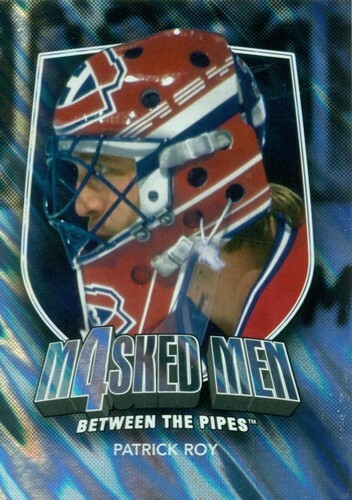 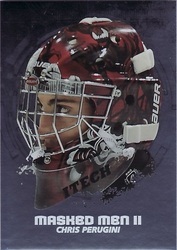 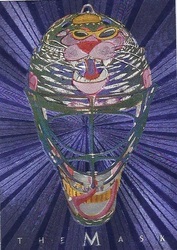 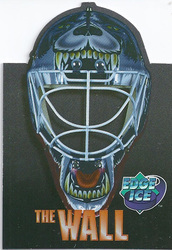 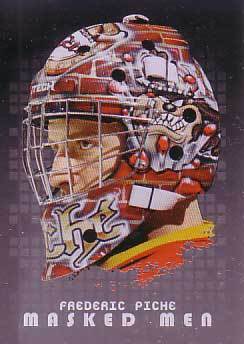 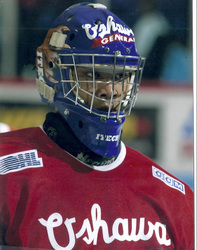 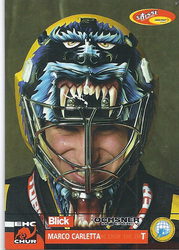 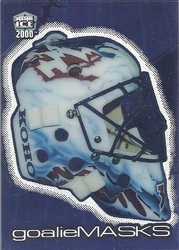 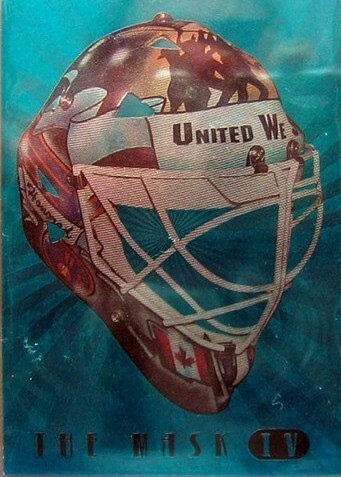 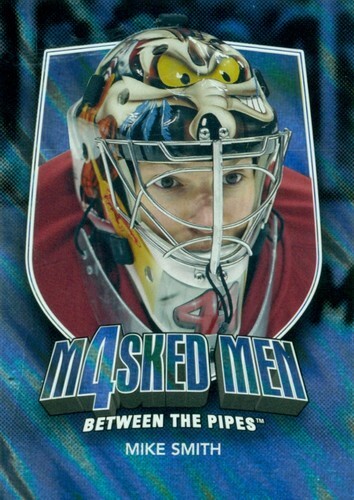 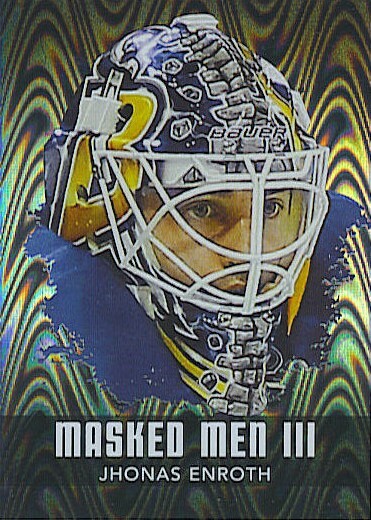 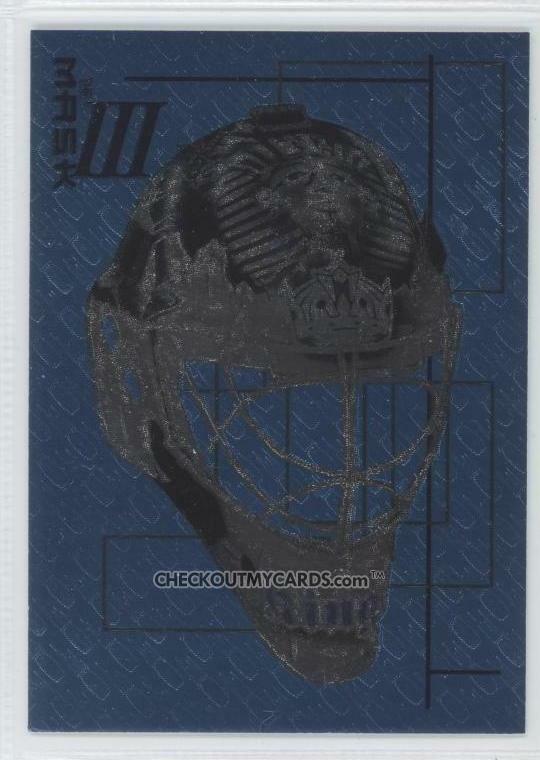 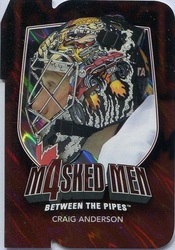 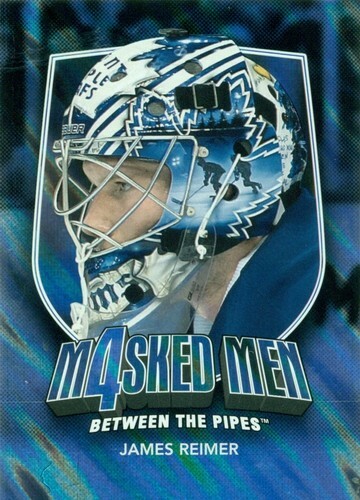 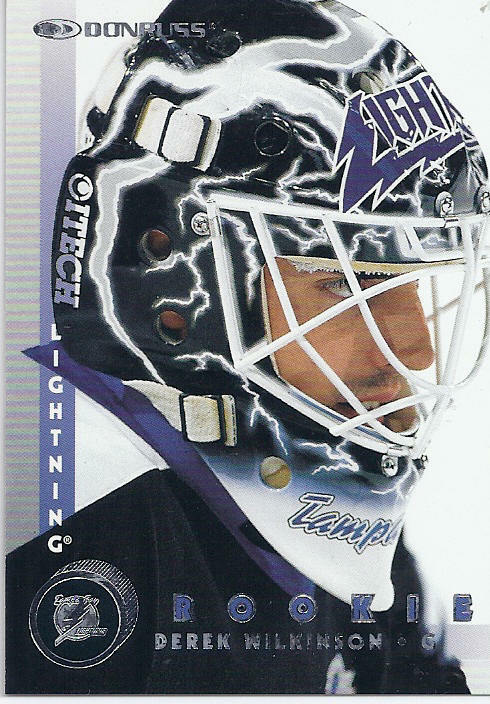 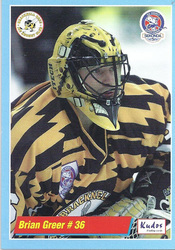 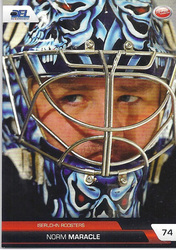 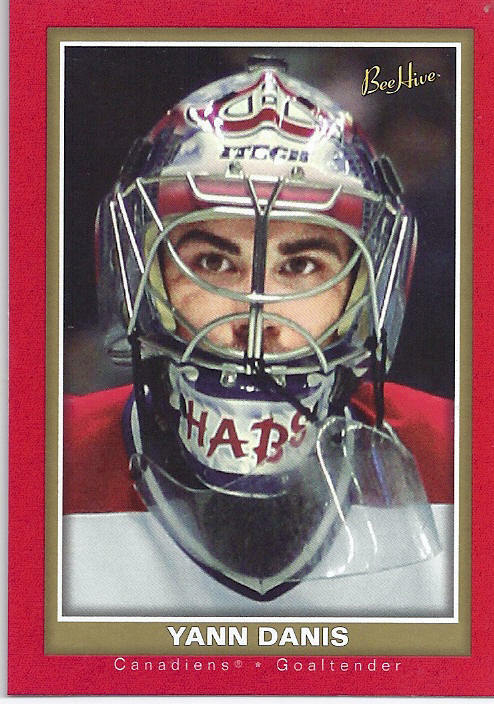 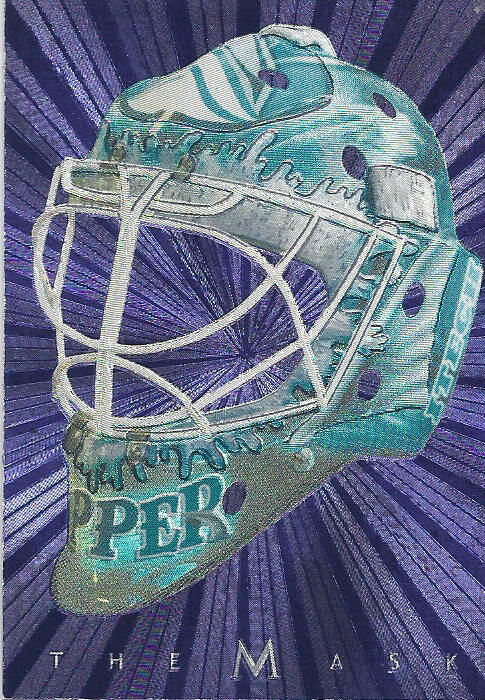 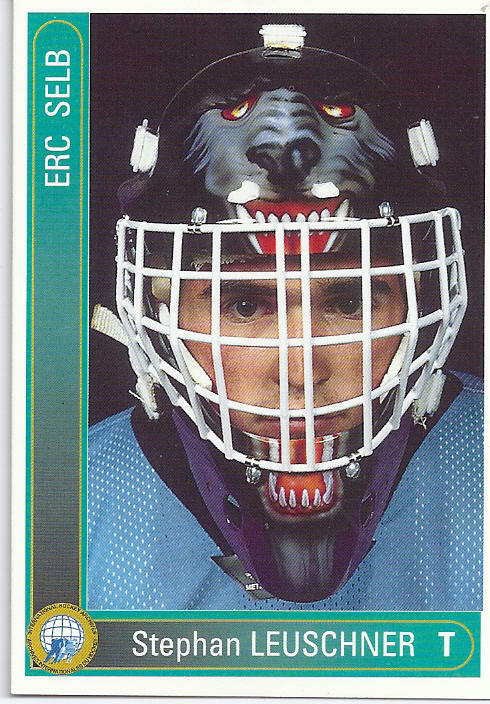 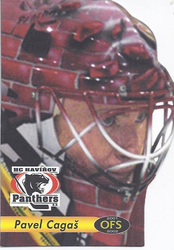 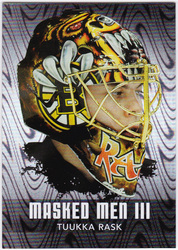 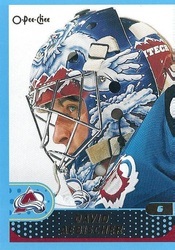 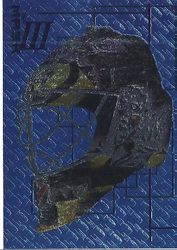 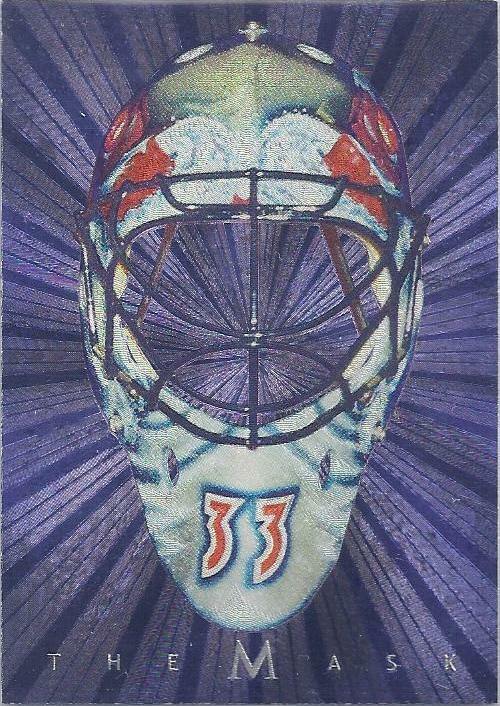 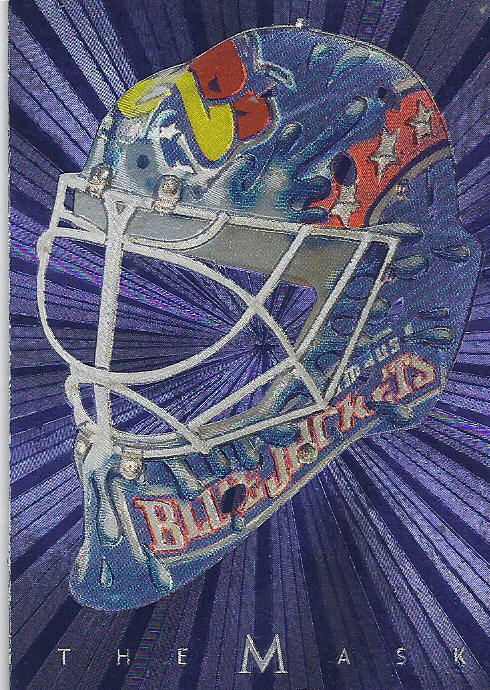 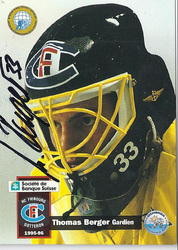 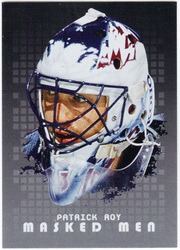 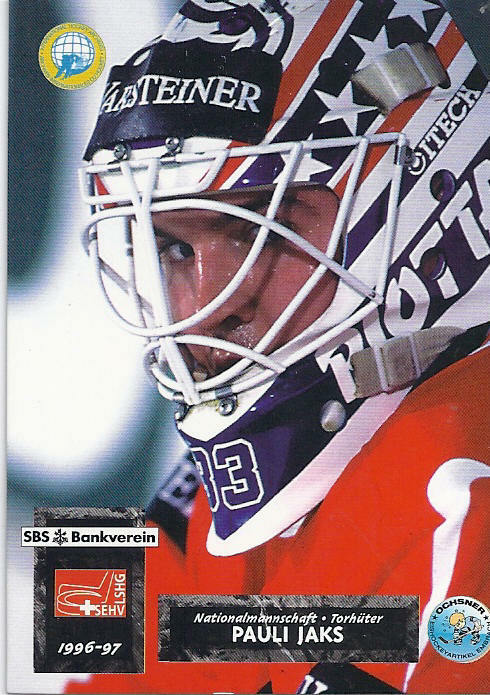 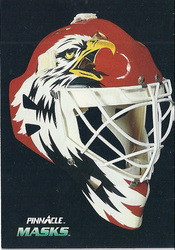 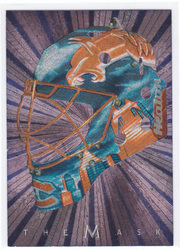 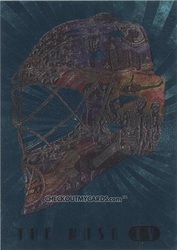 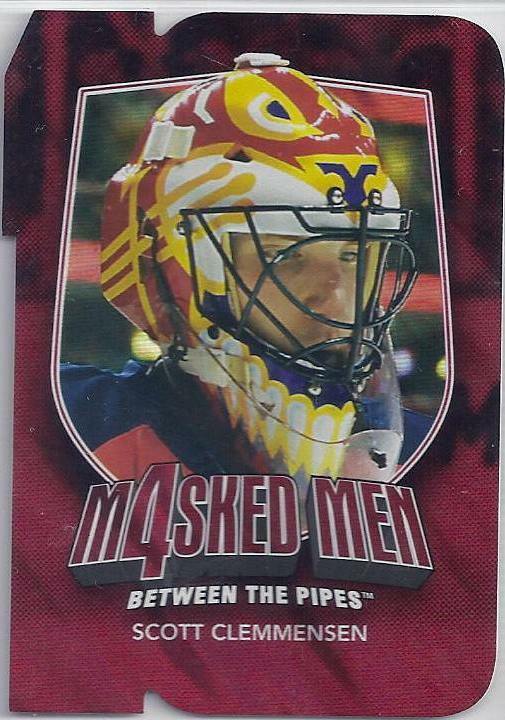 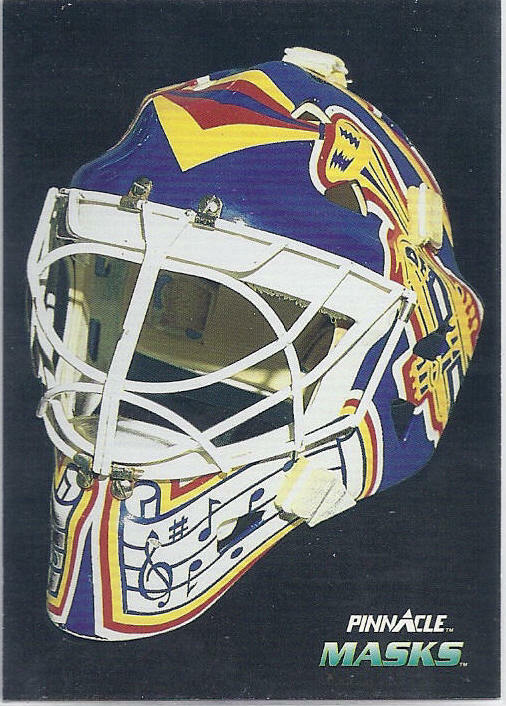 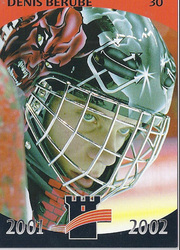 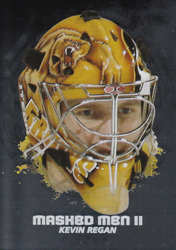 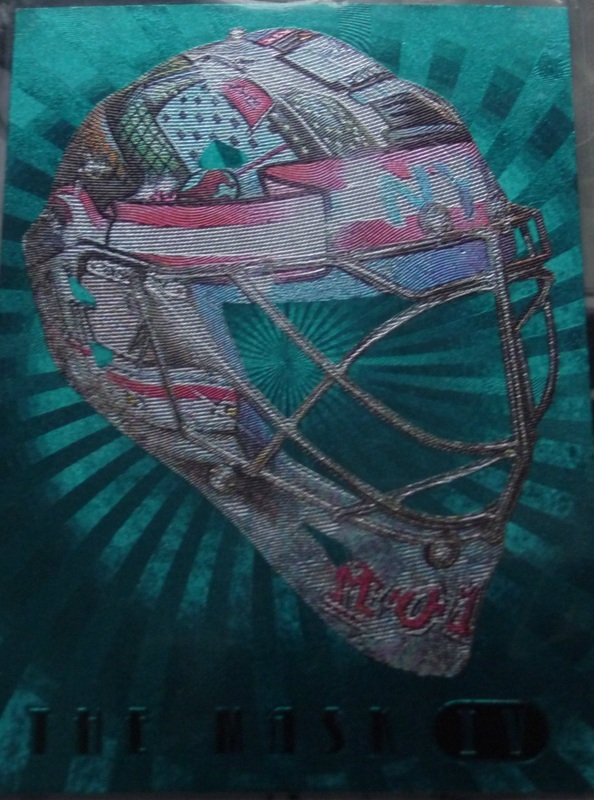 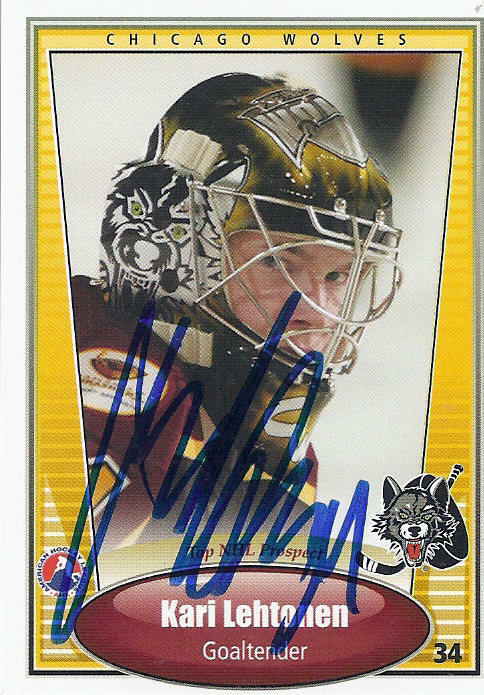 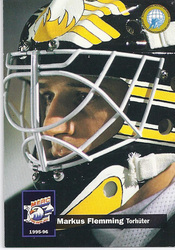 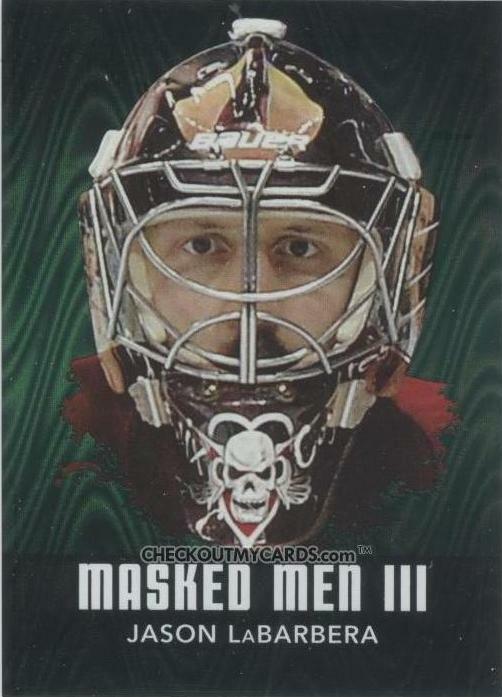 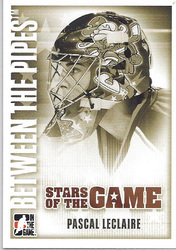 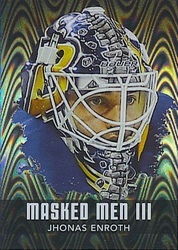 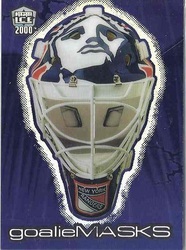 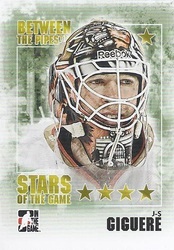 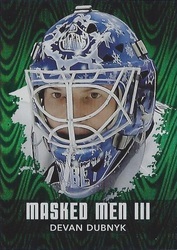 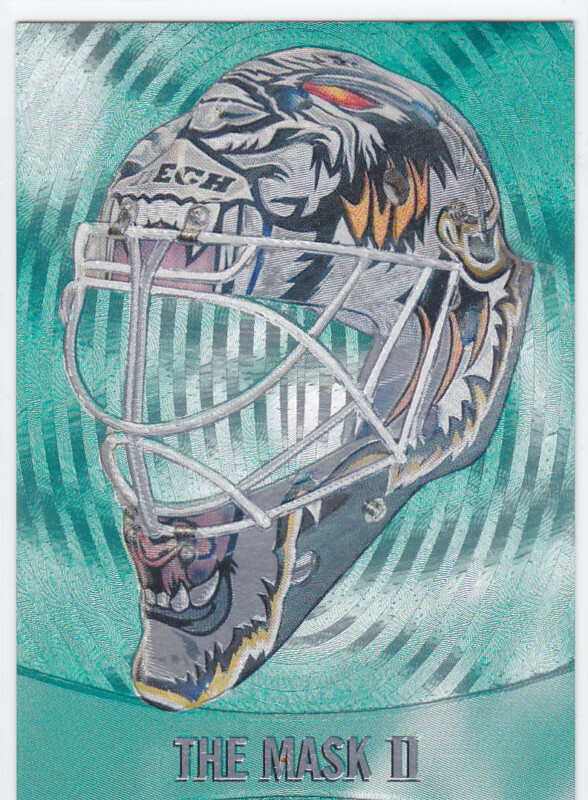 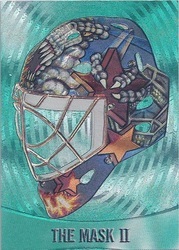 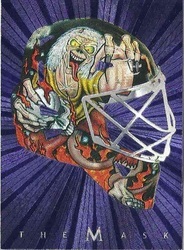 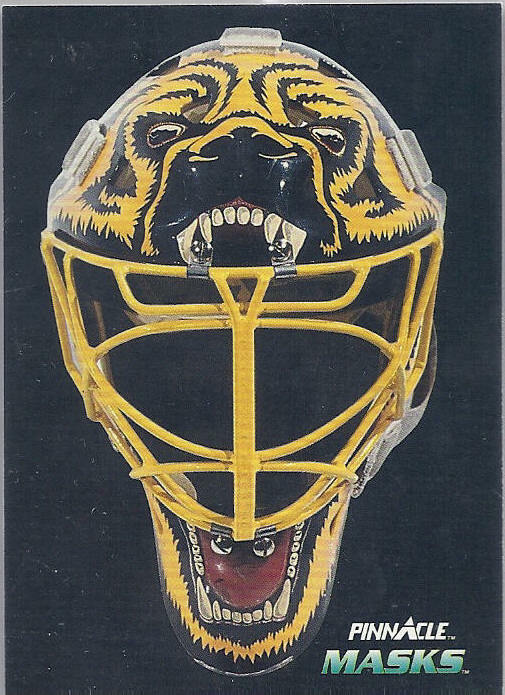 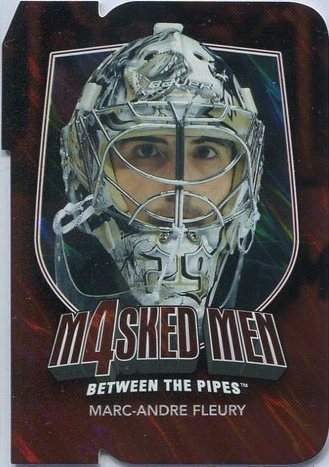 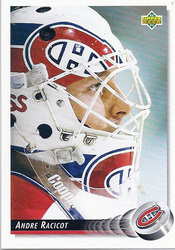 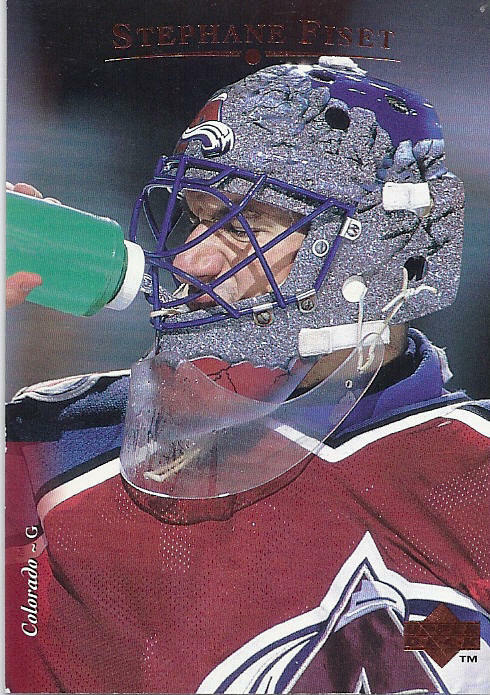 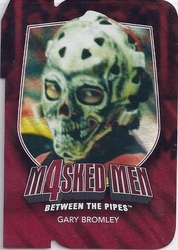 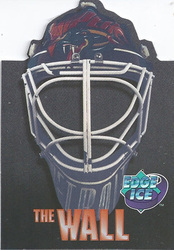 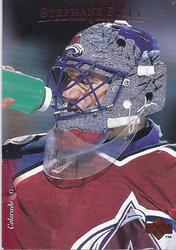 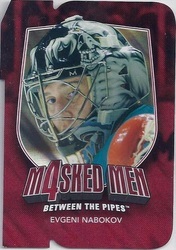 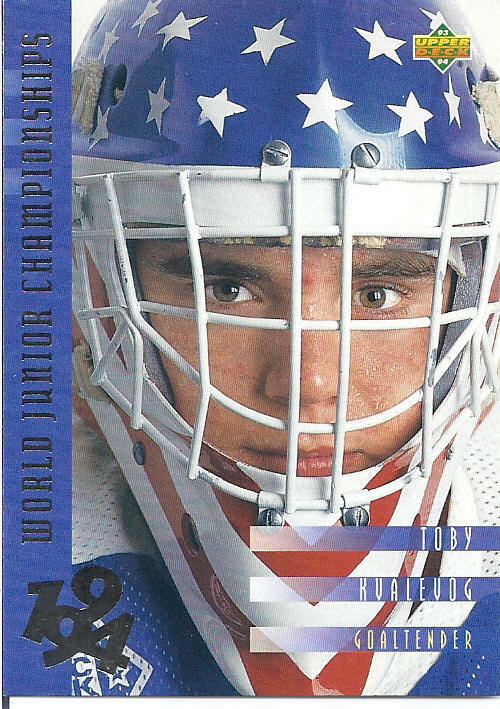 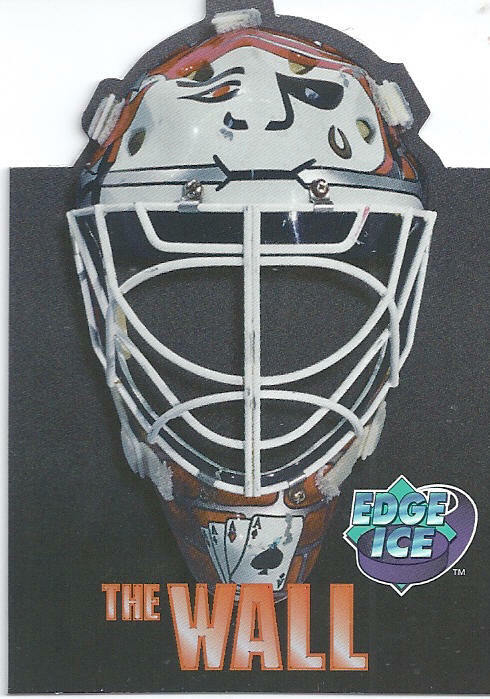 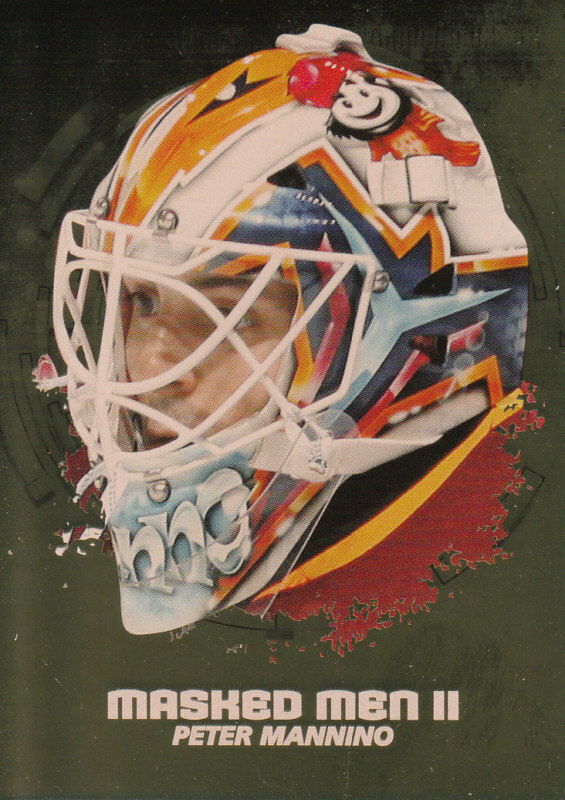 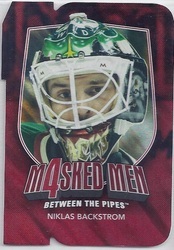 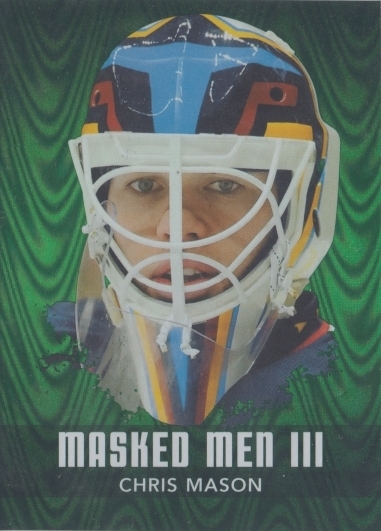 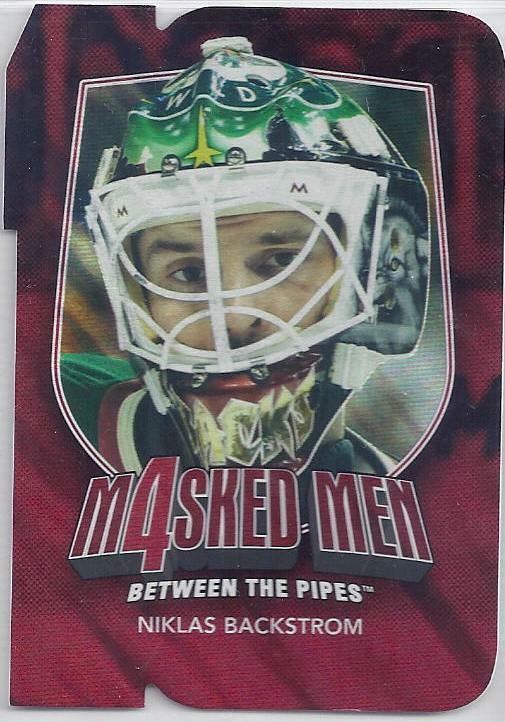 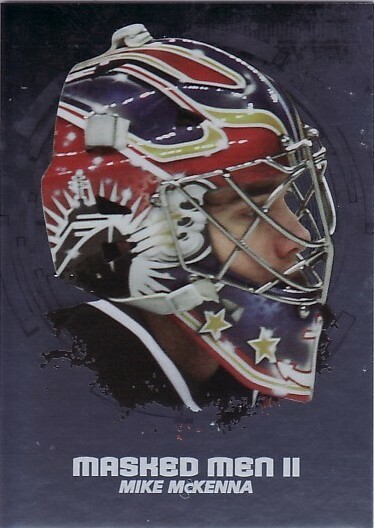 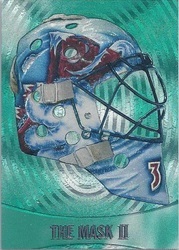 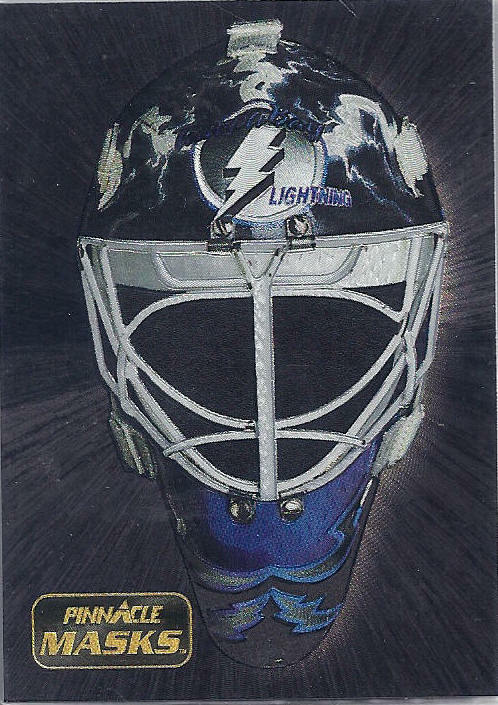 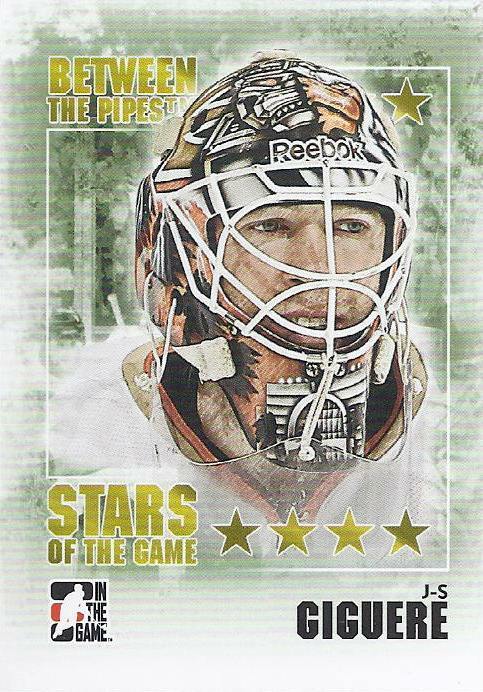 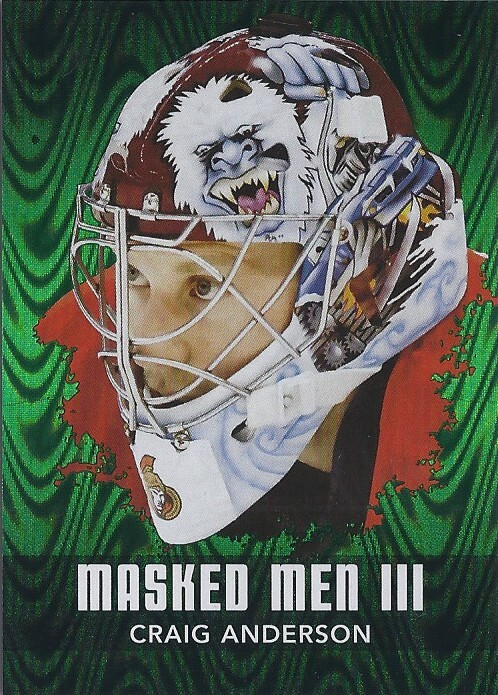 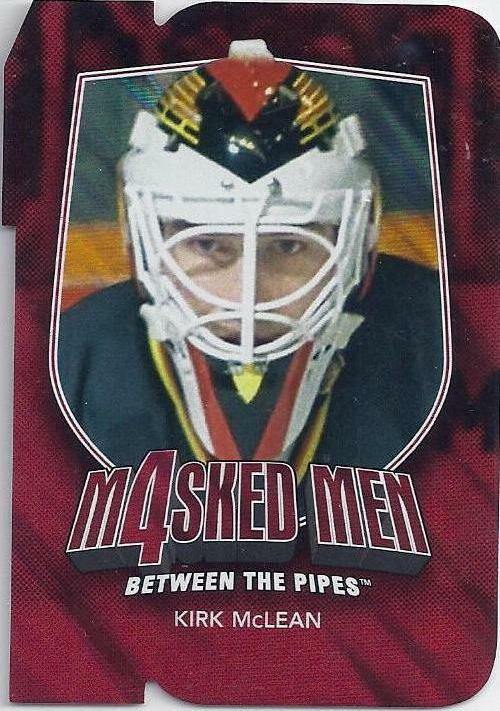 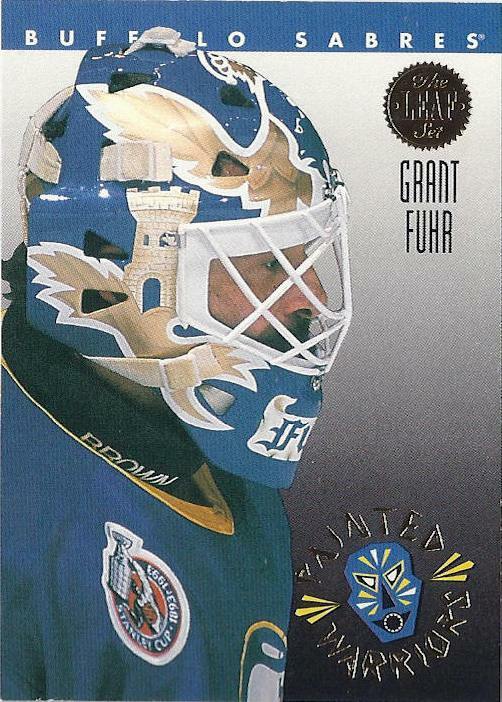 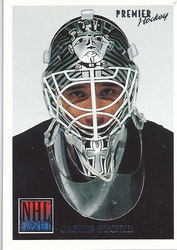 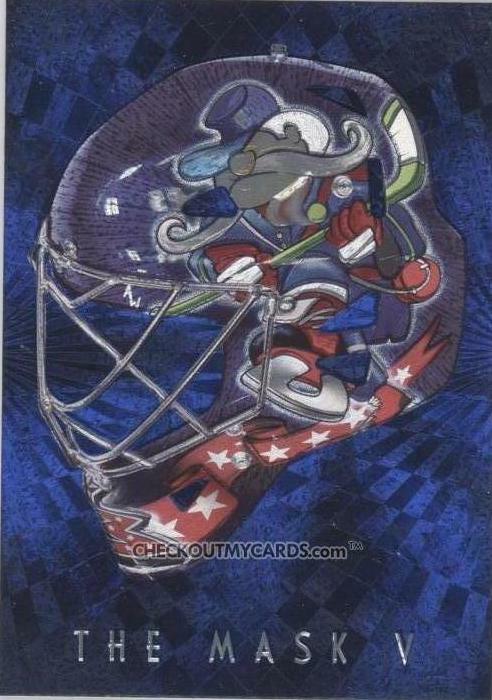 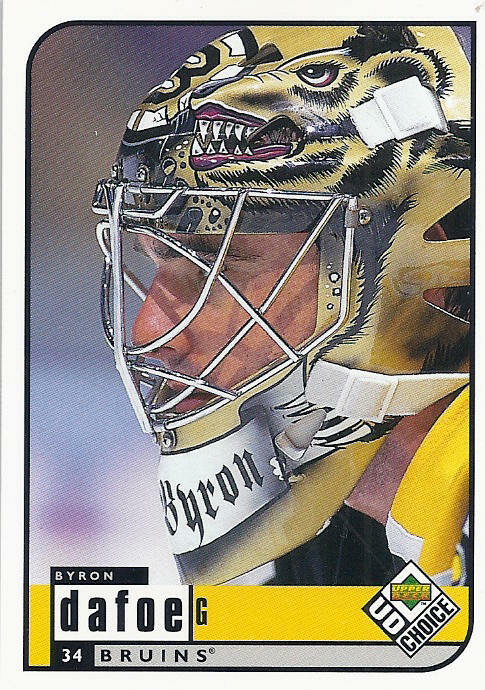 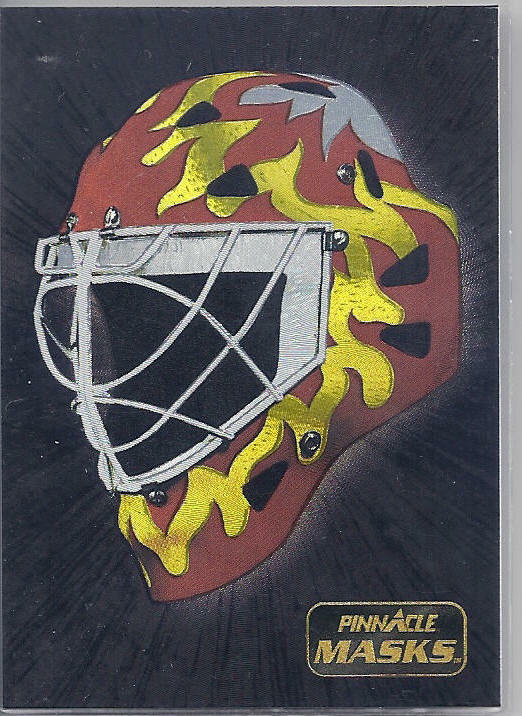 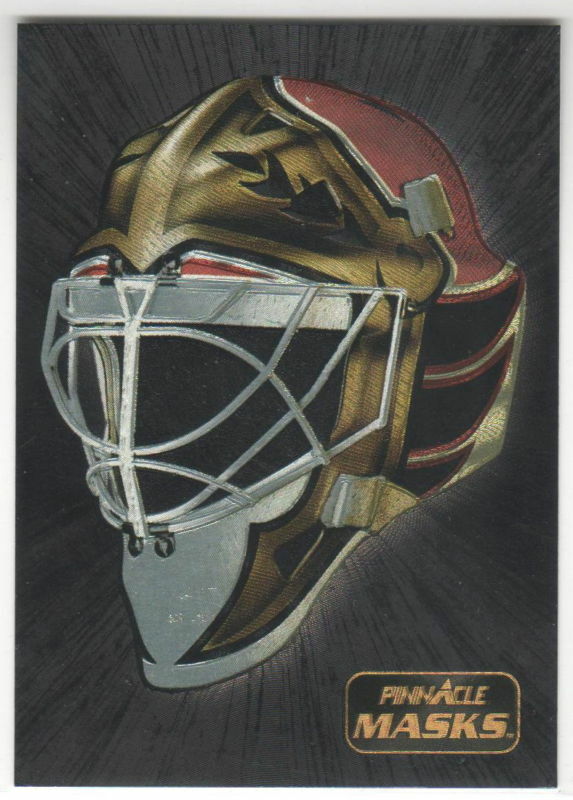 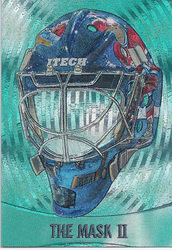 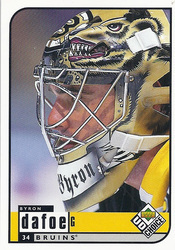 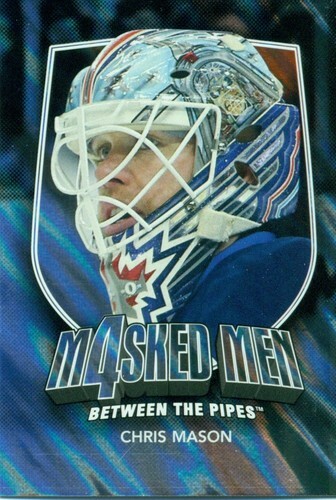 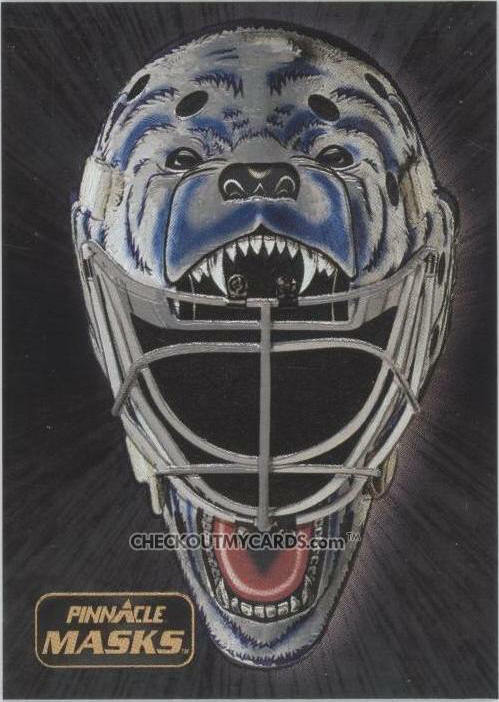 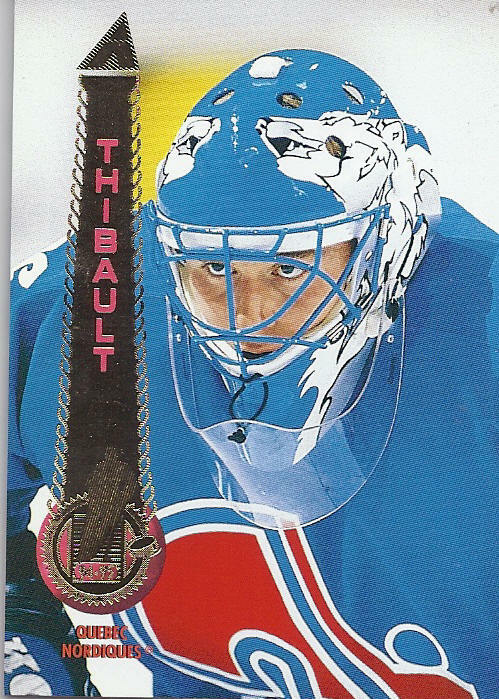 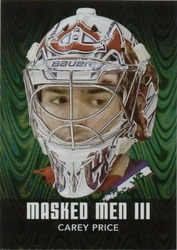 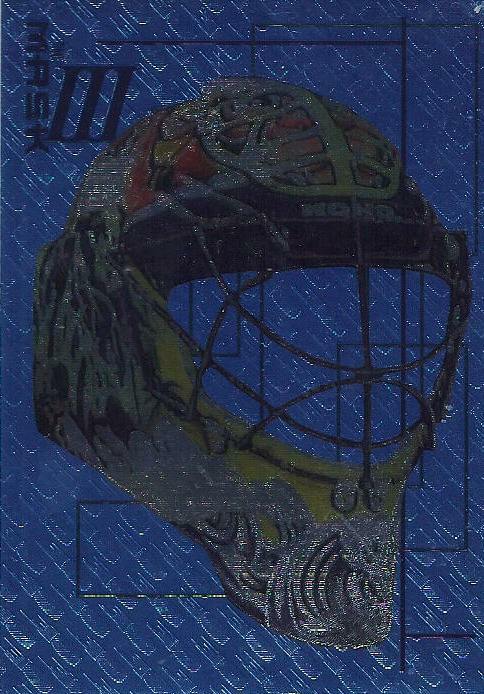 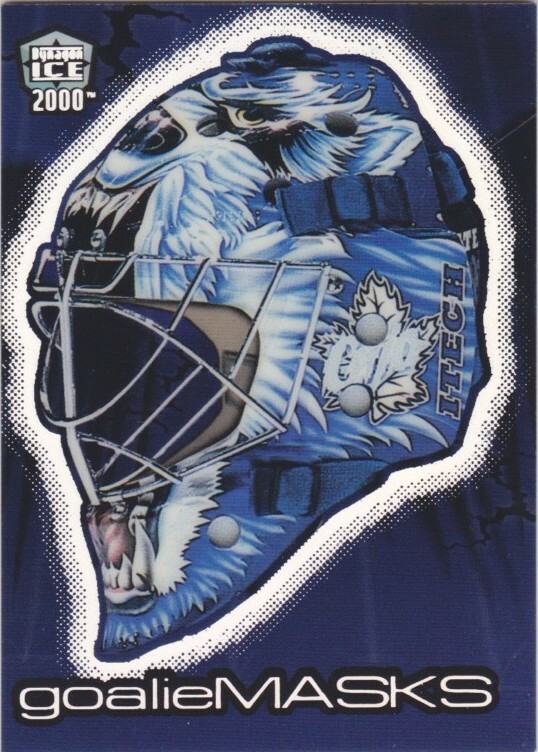 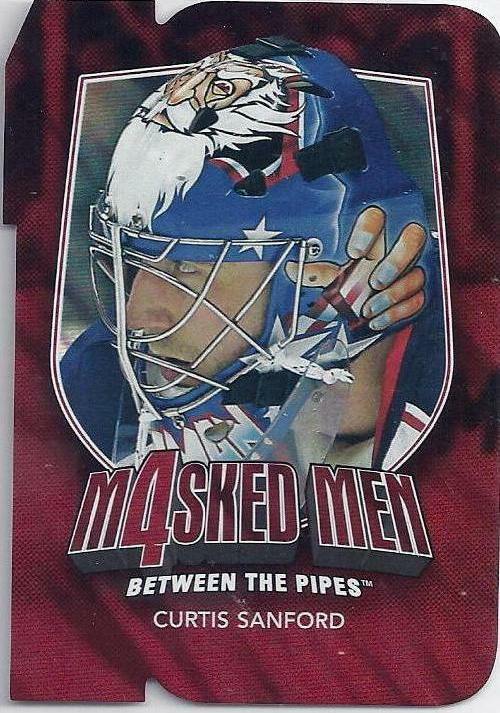 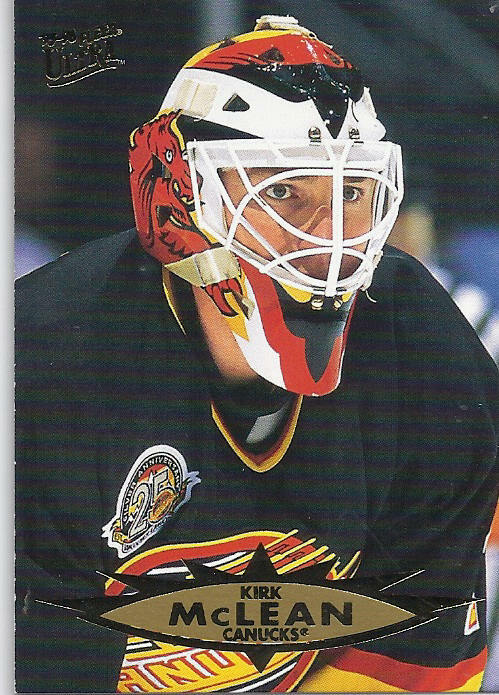 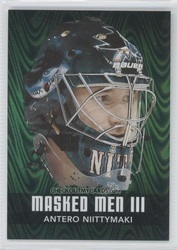 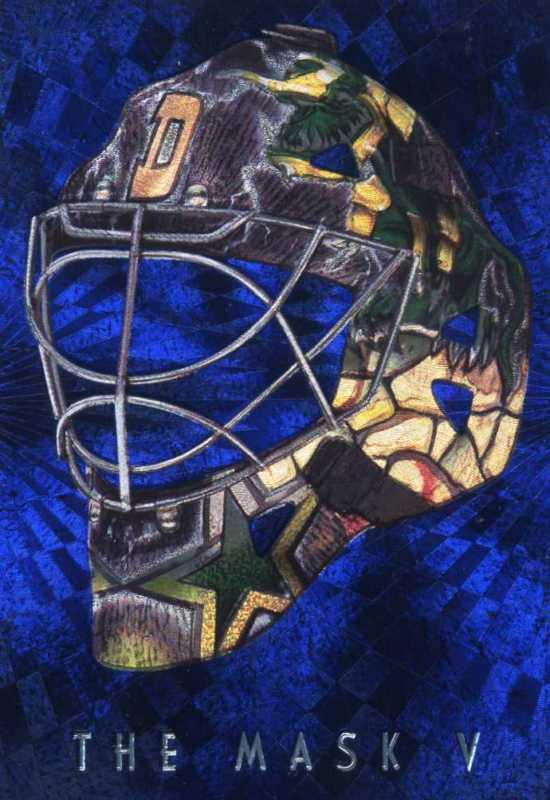 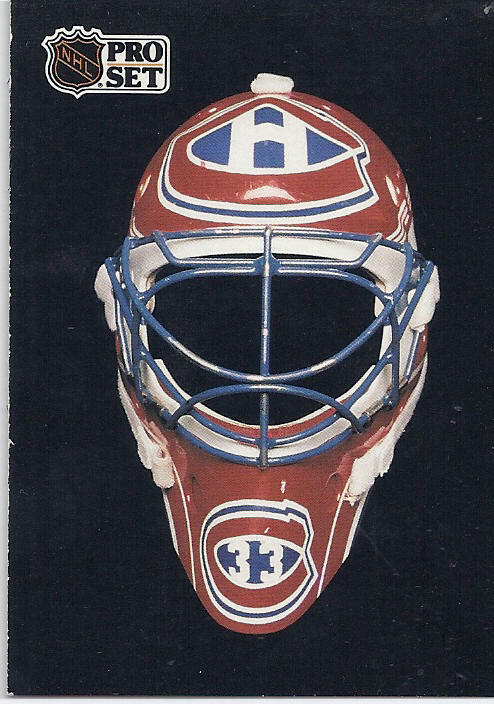 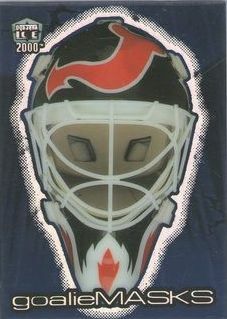 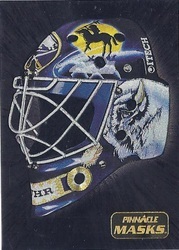 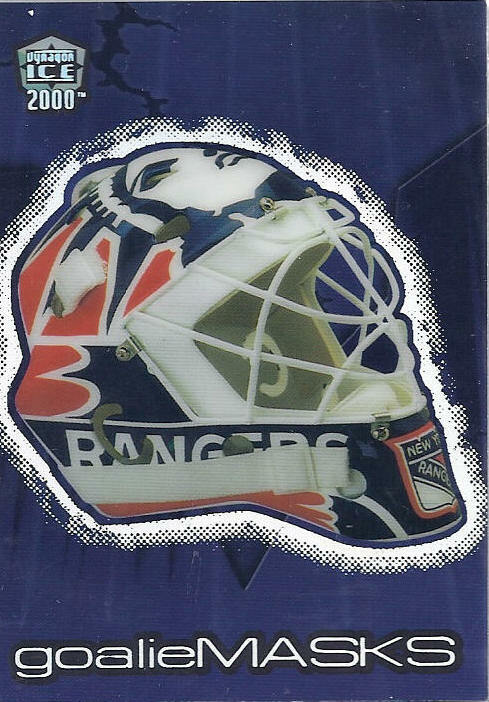 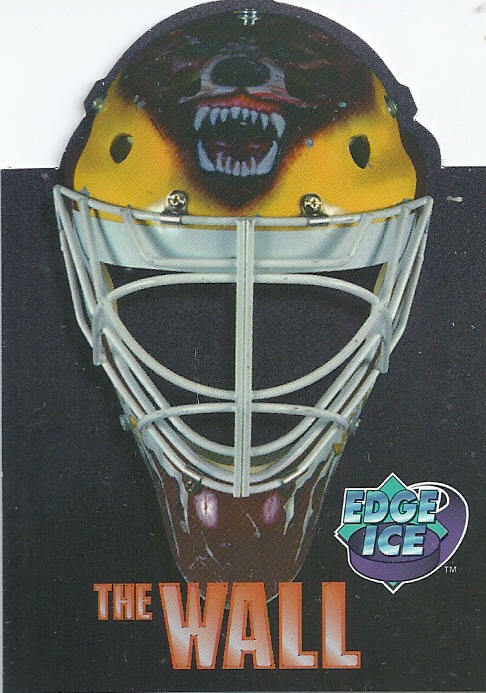 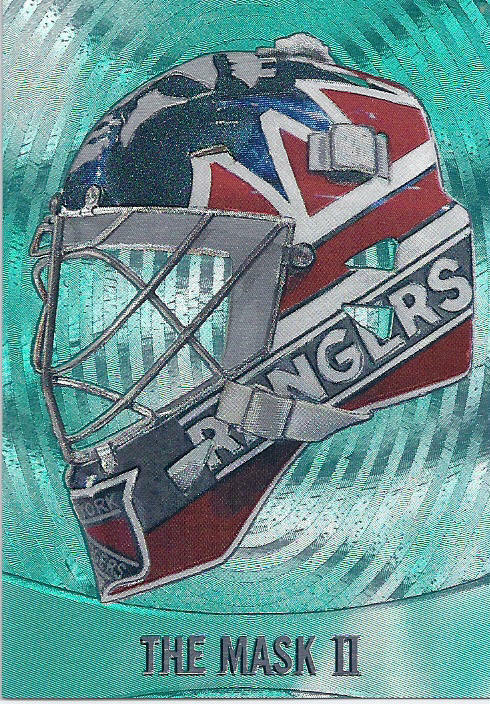 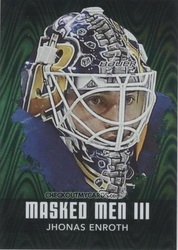 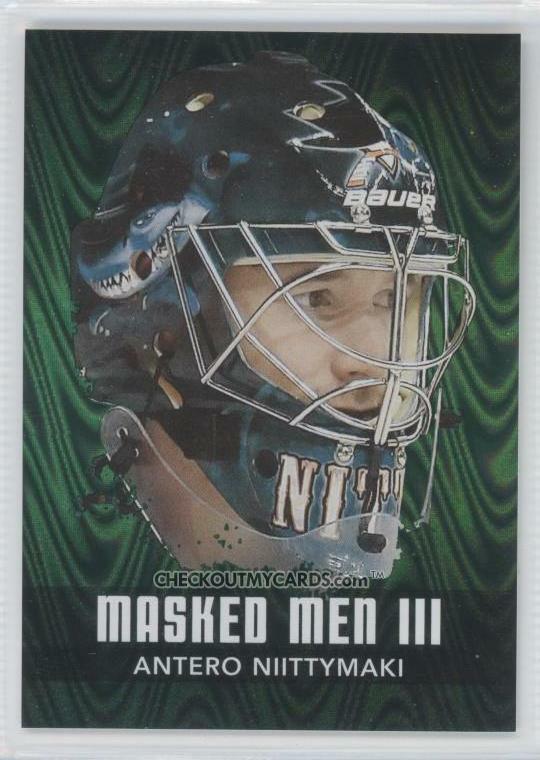 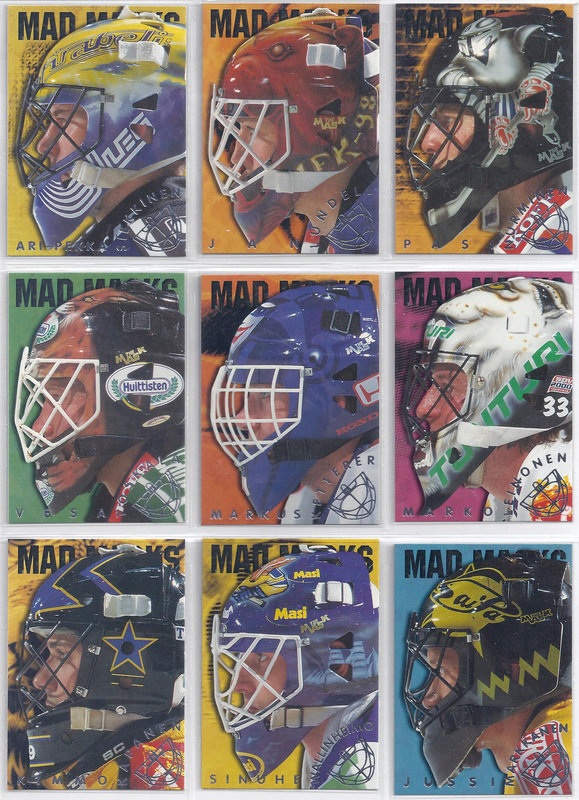 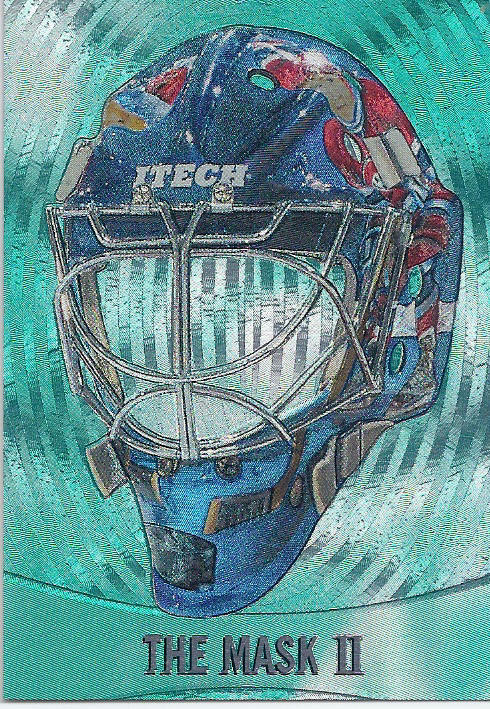 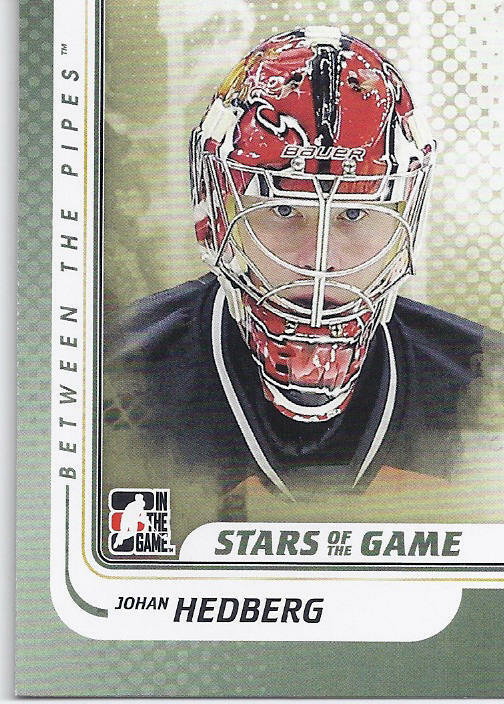 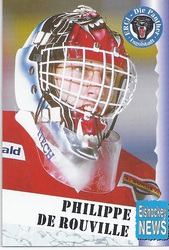 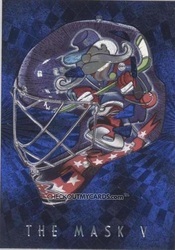 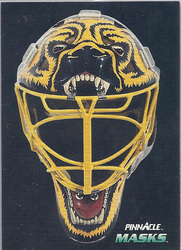 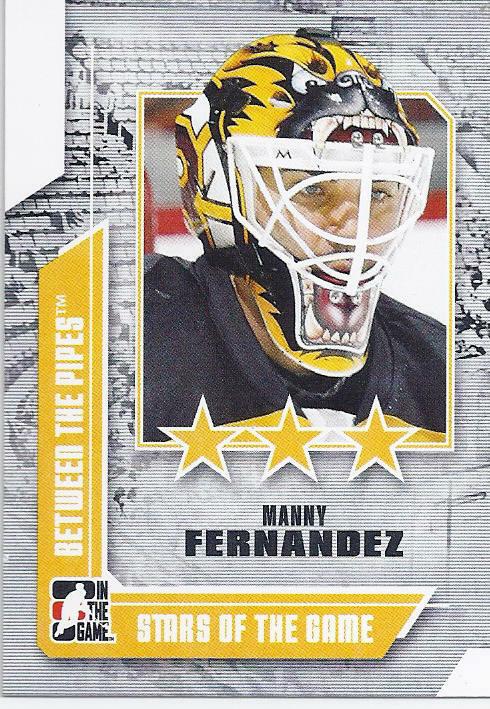 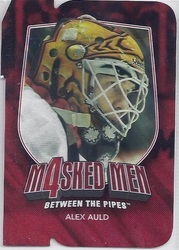 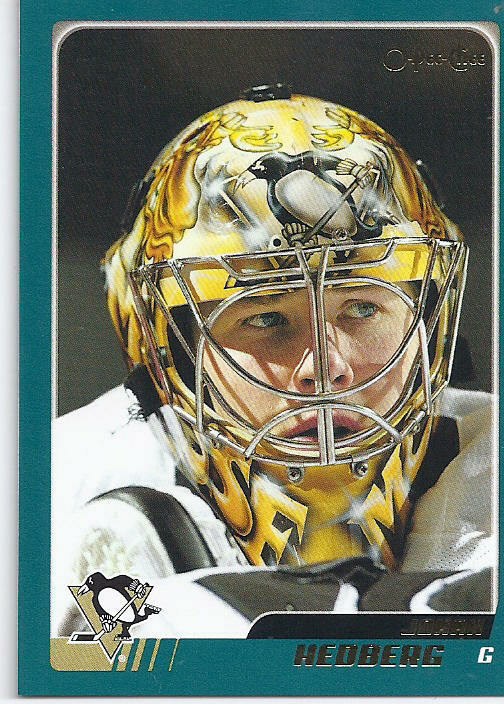 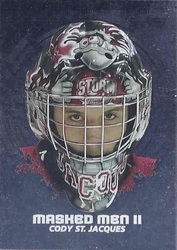 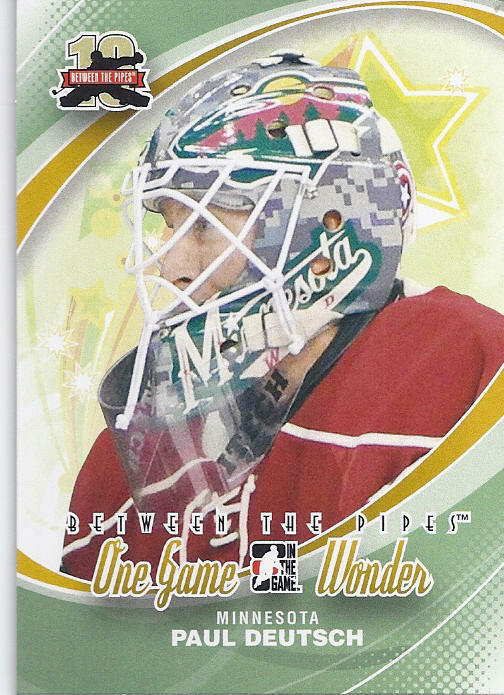 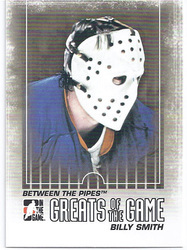 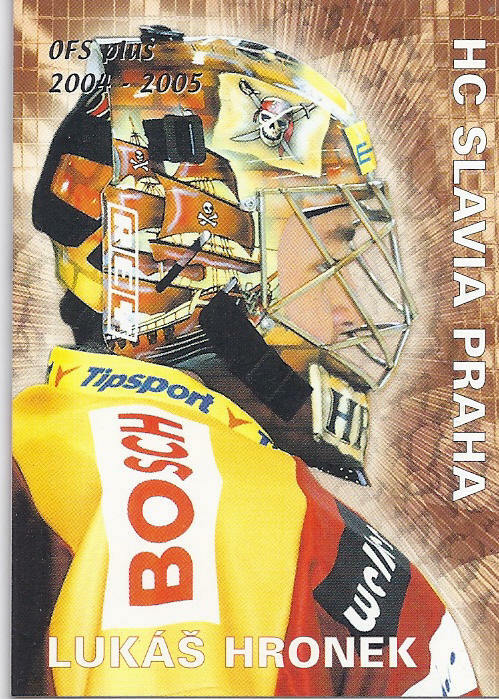 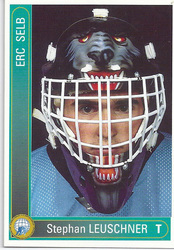 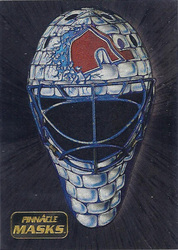 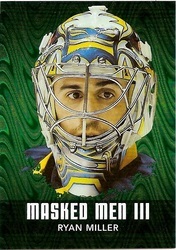 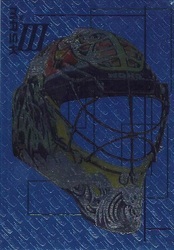 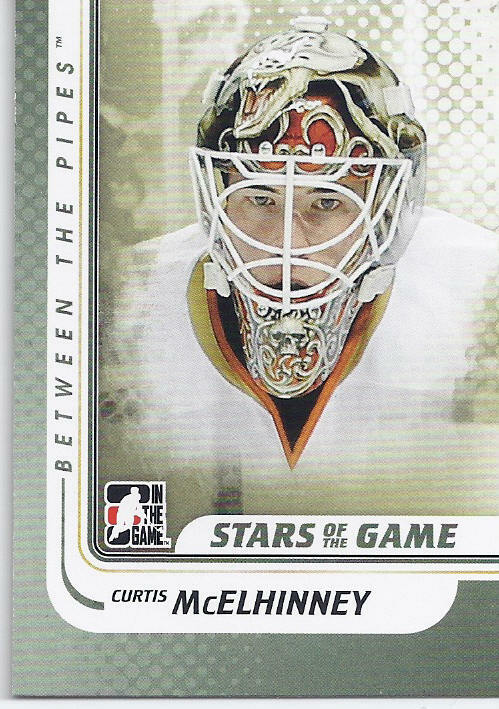 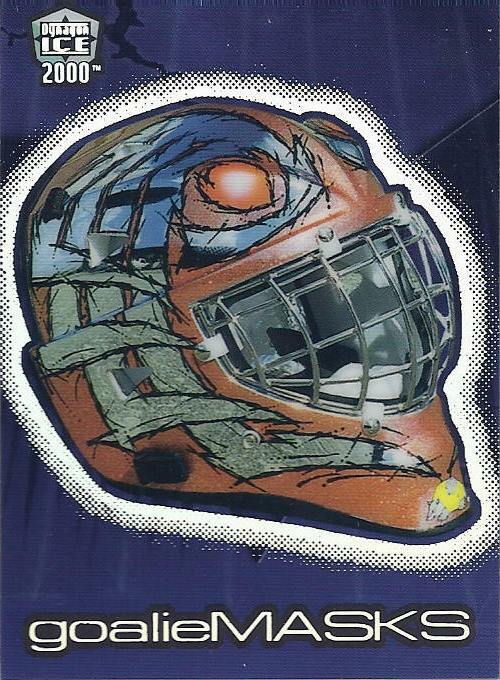 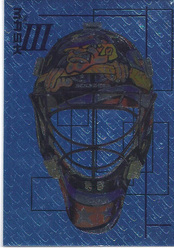 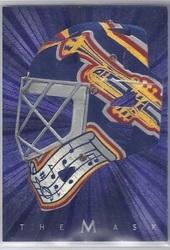 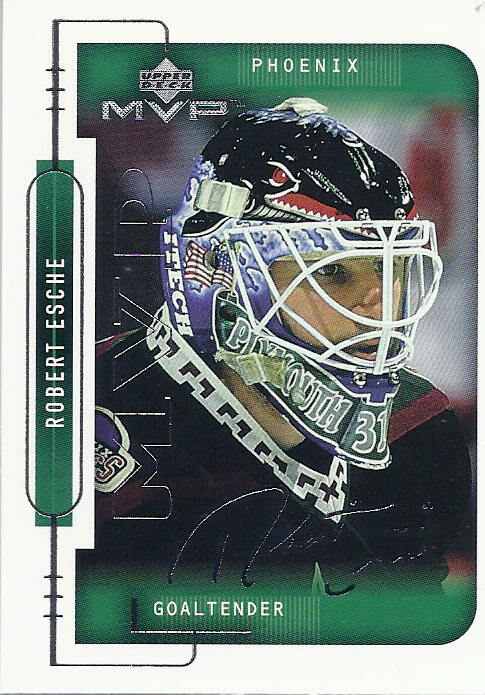 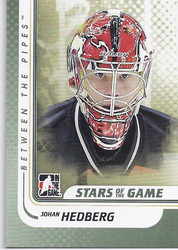 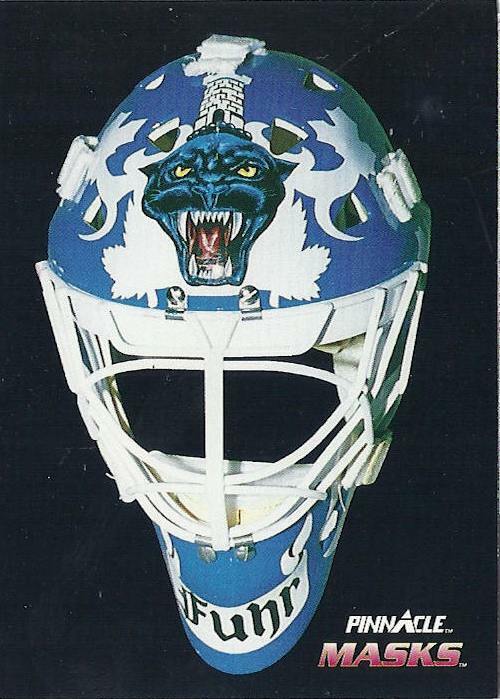 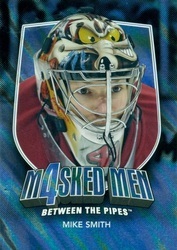 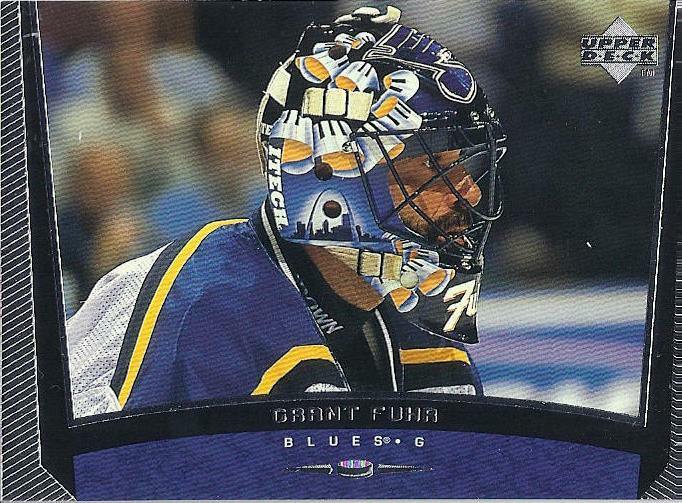 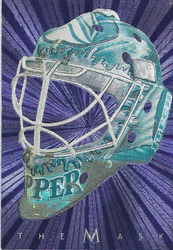 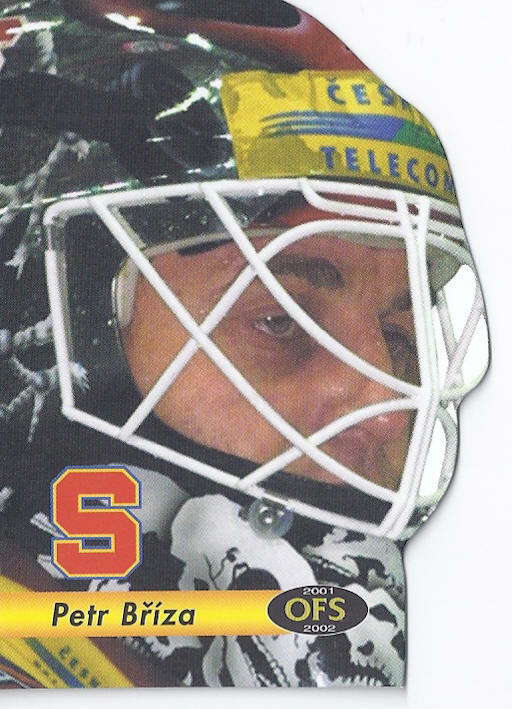 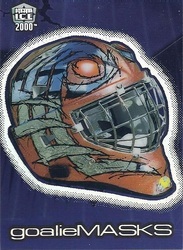 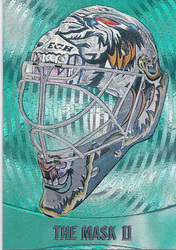 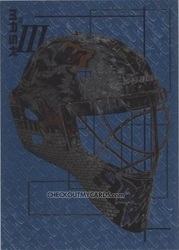 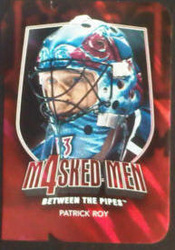 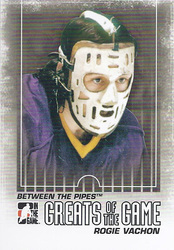 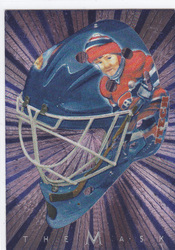 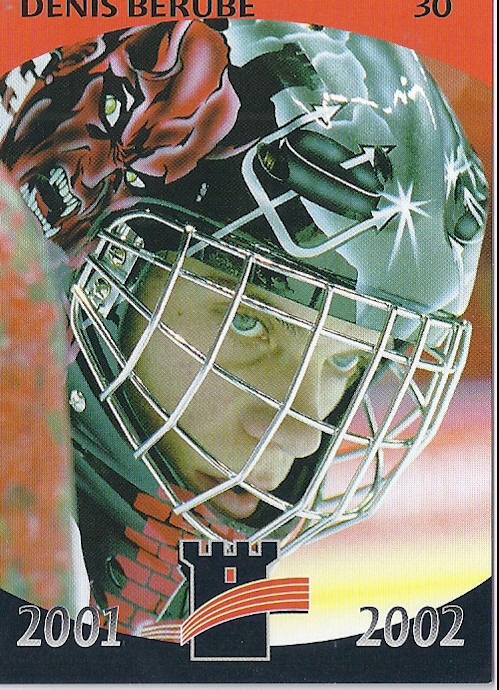 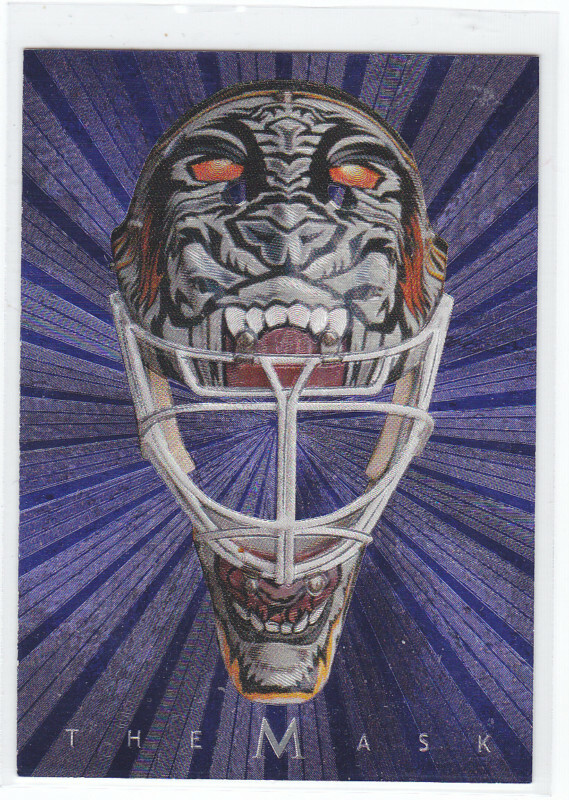 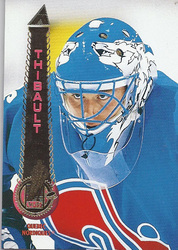 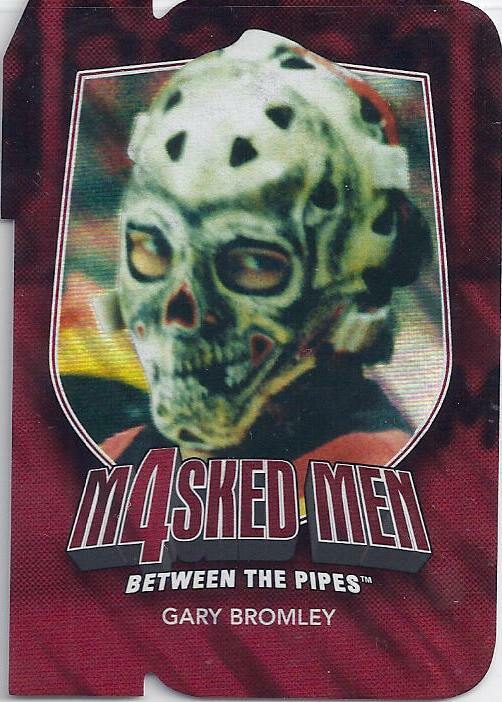 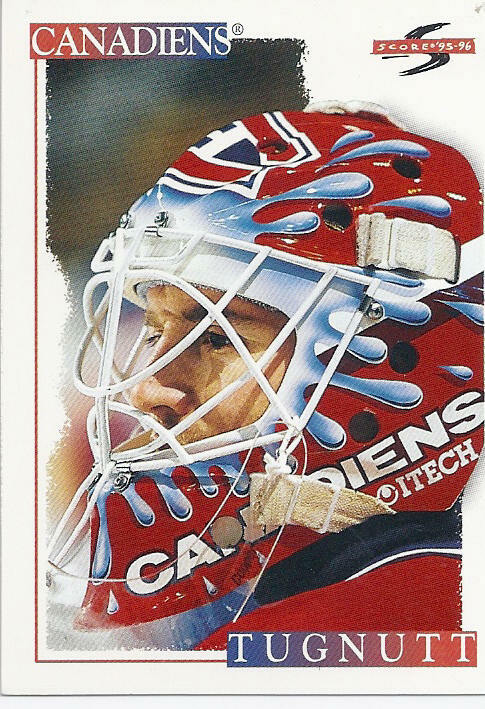 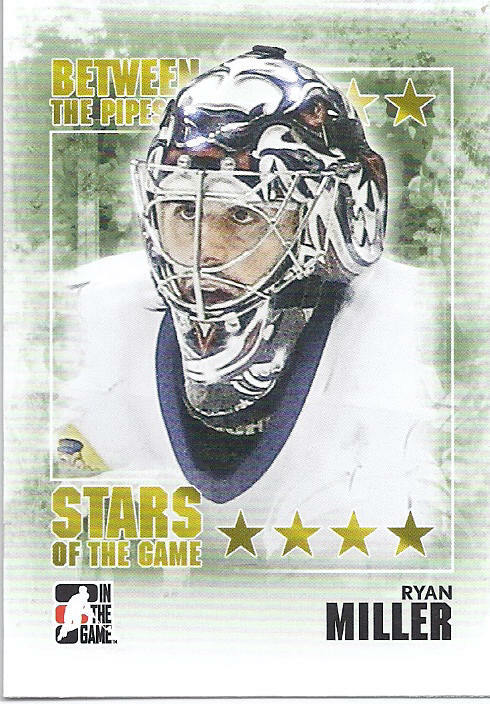 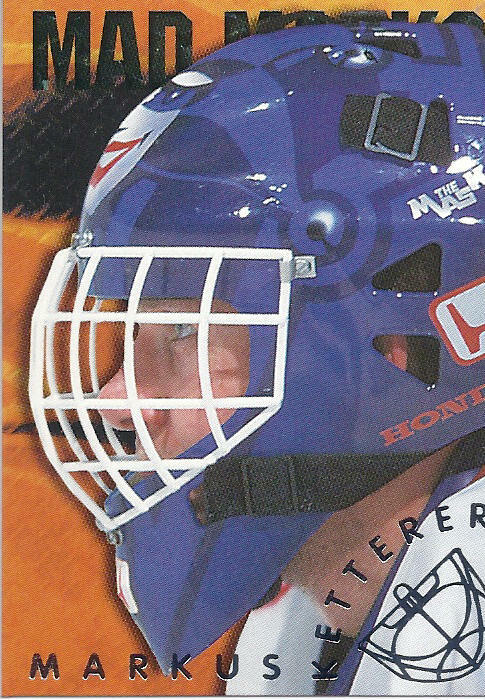 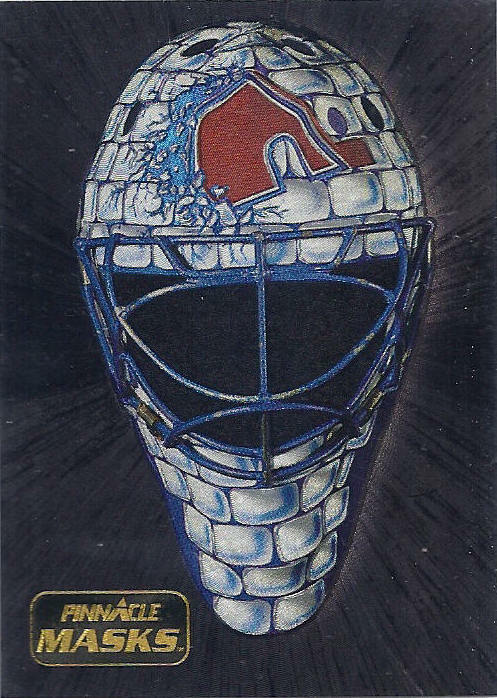 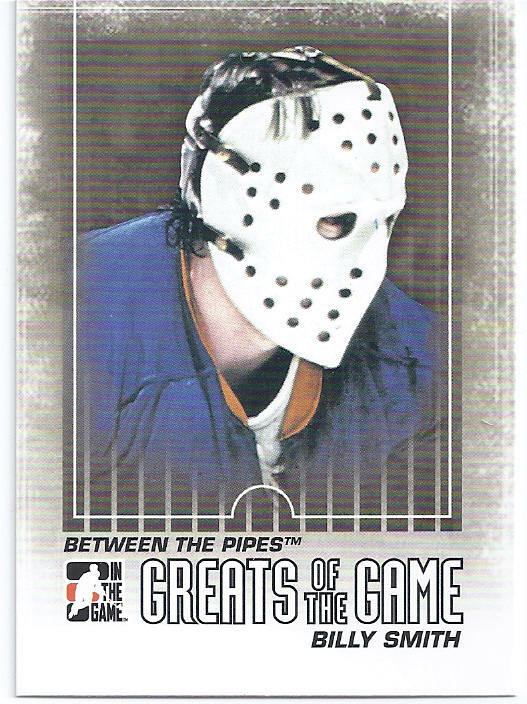 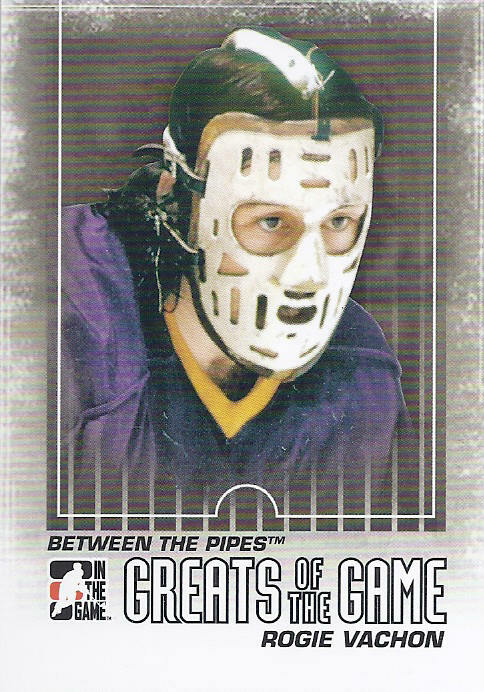 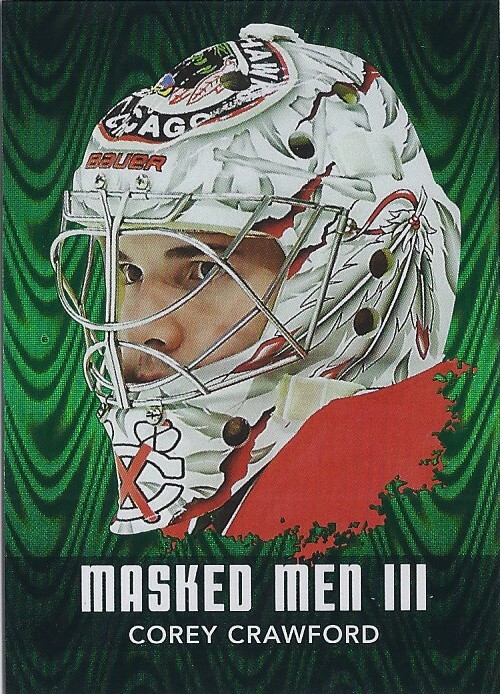 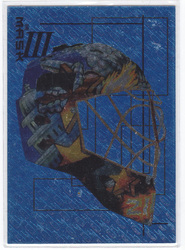 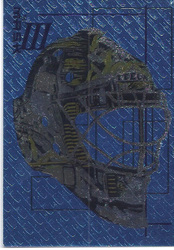 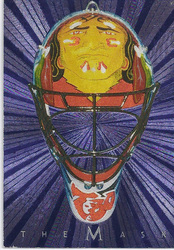 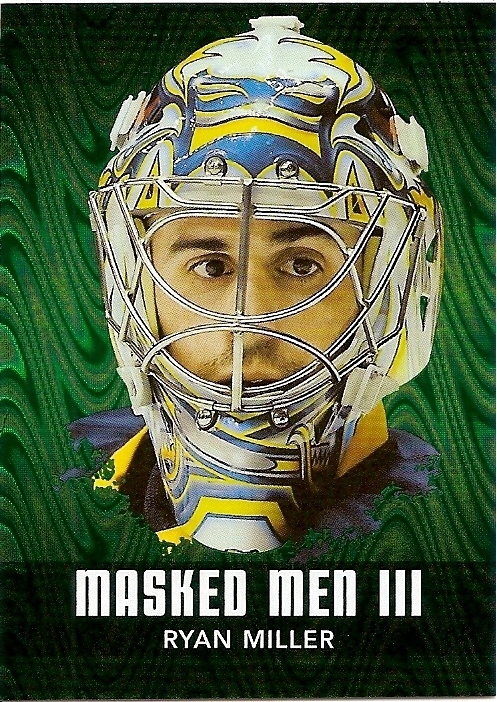 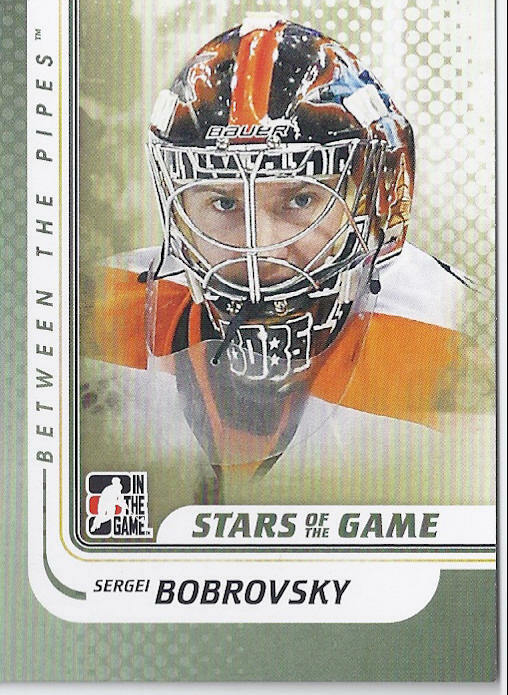 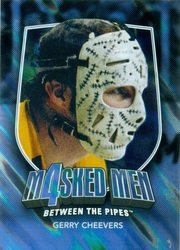 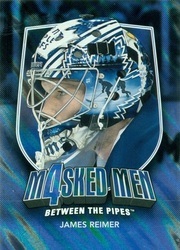 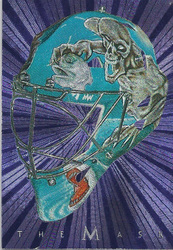 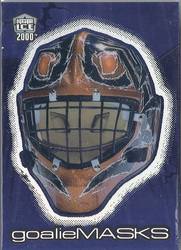 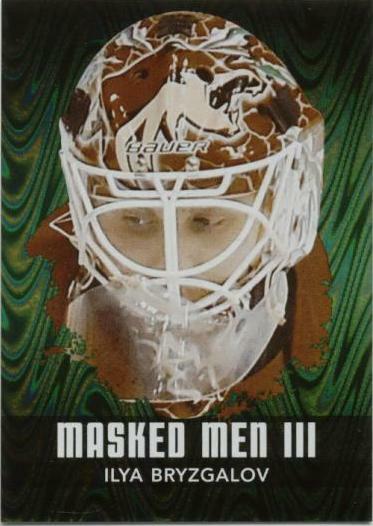 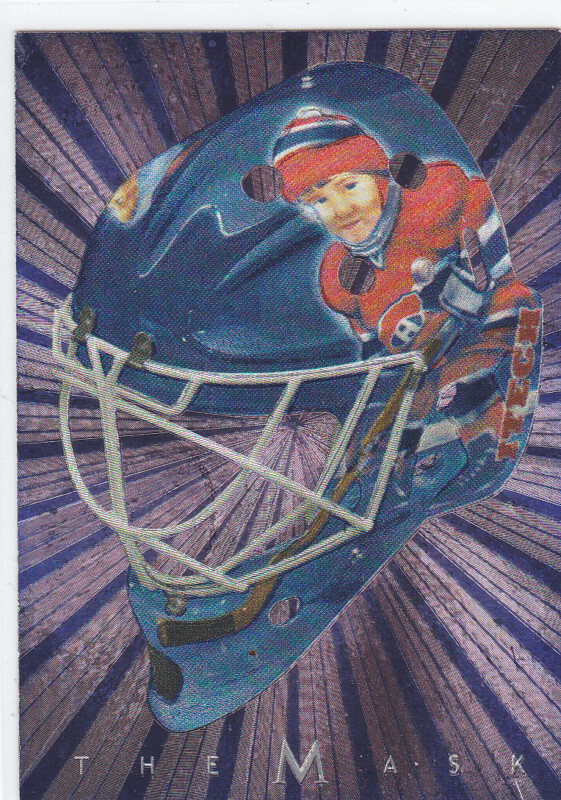 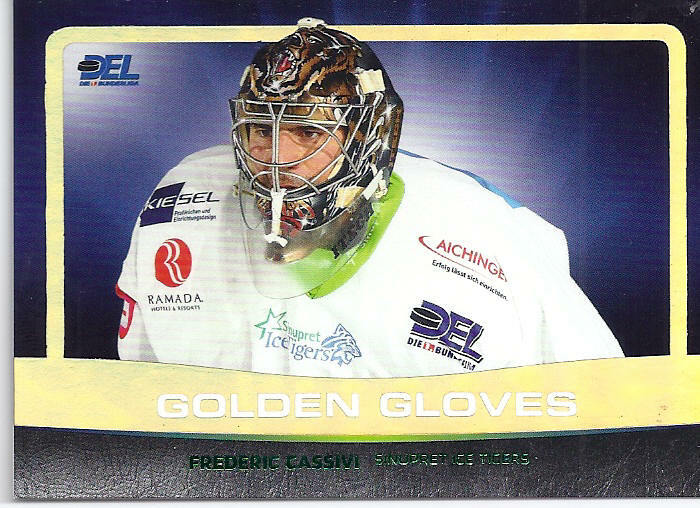 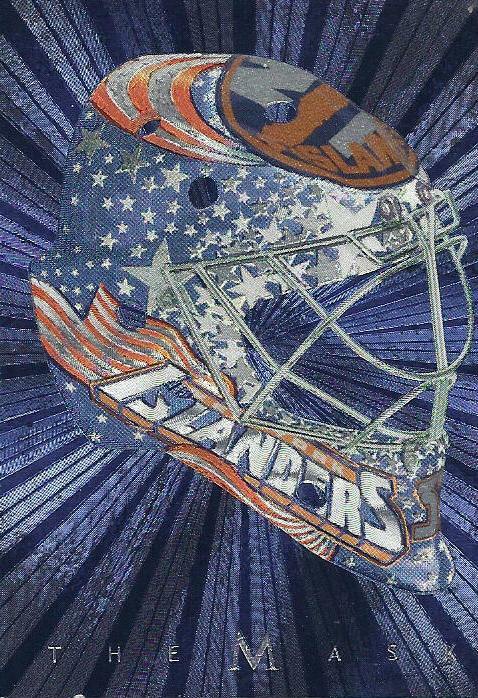 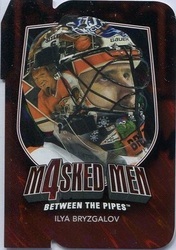 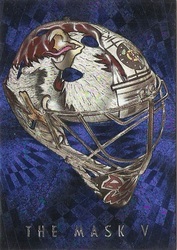 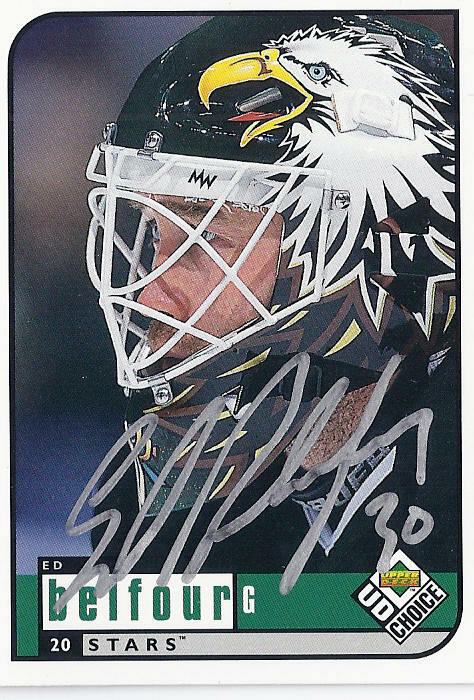 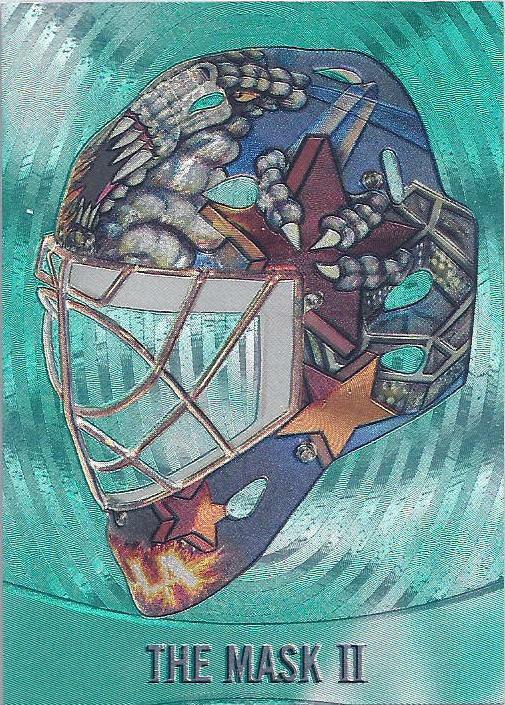 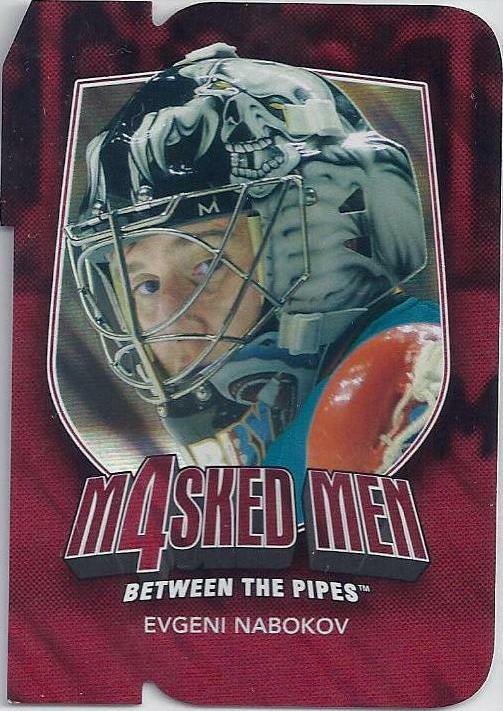 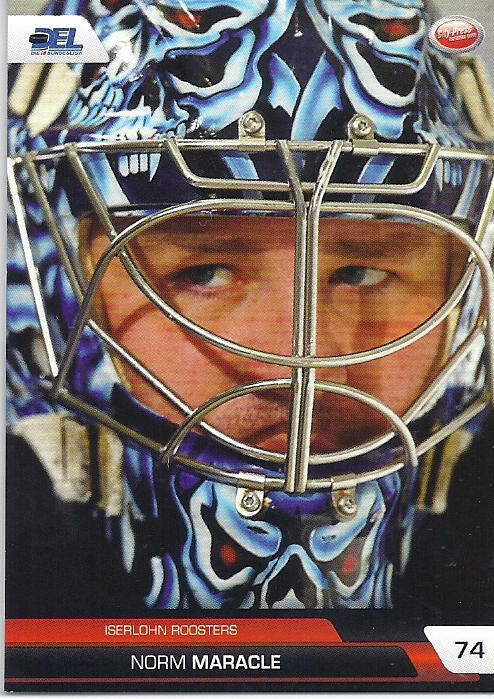 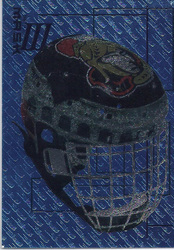 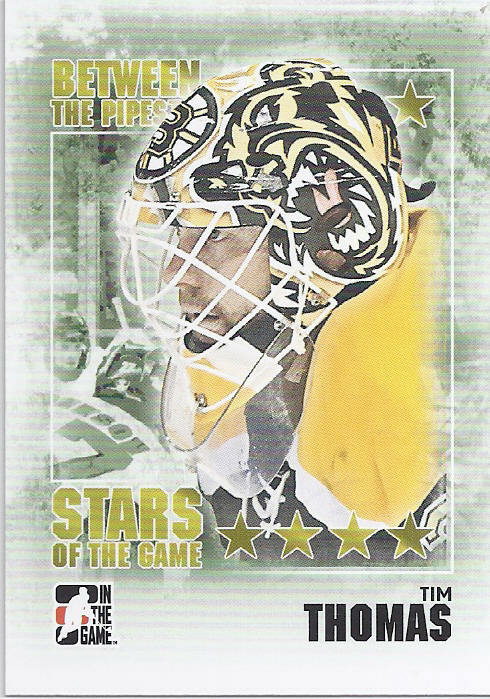 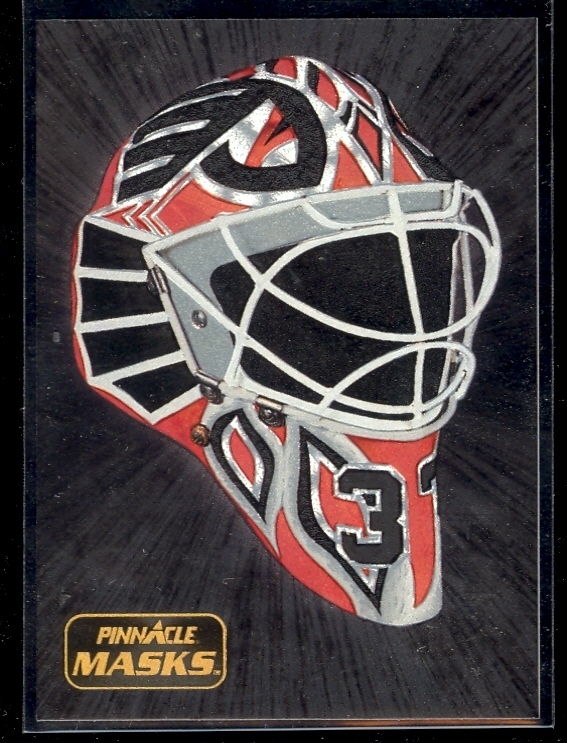 Between The Pipes 2003-04: The mask IIi. 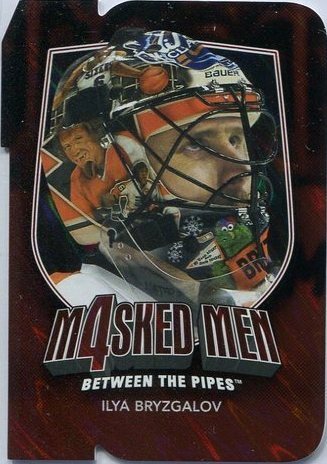 Between The Pipes 2006-07: The mask iV. 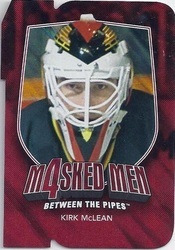 Between The Pipes 2007-08: The mask V.
Between the Pipes 2008-09: Masked men. 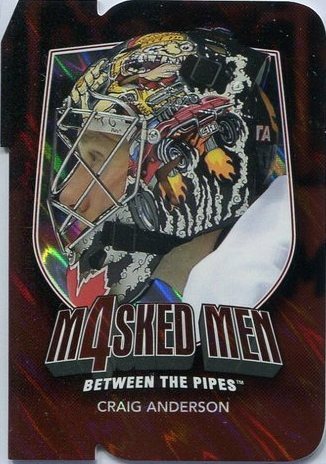 Between the Pipes 2009-10: Masked men ii. 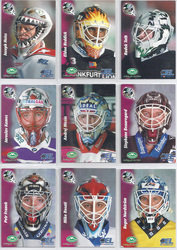 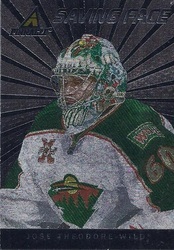 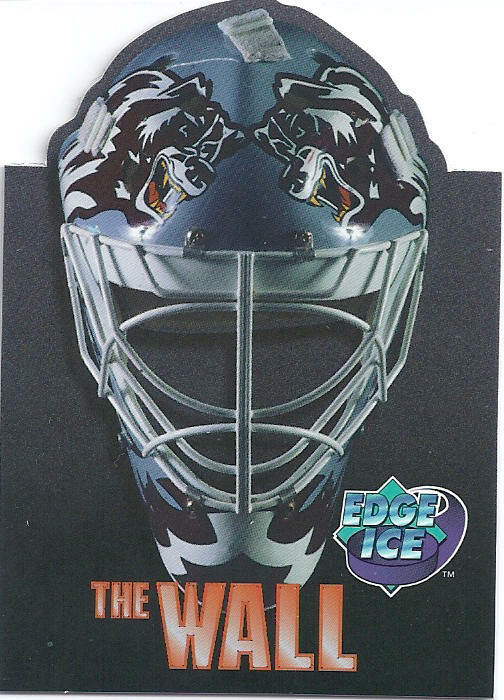 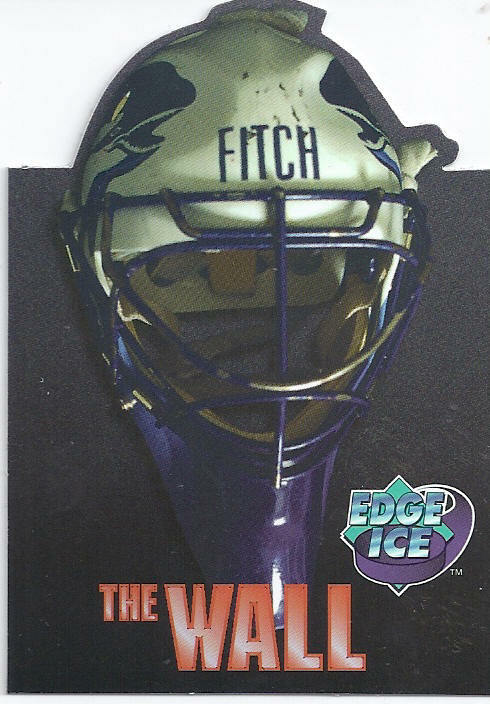 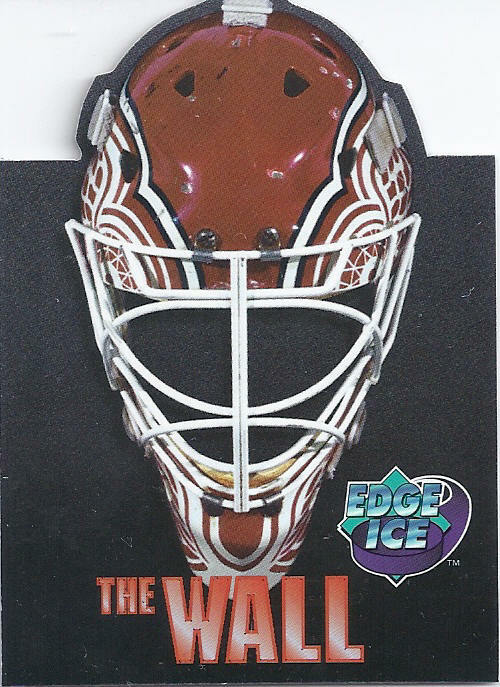 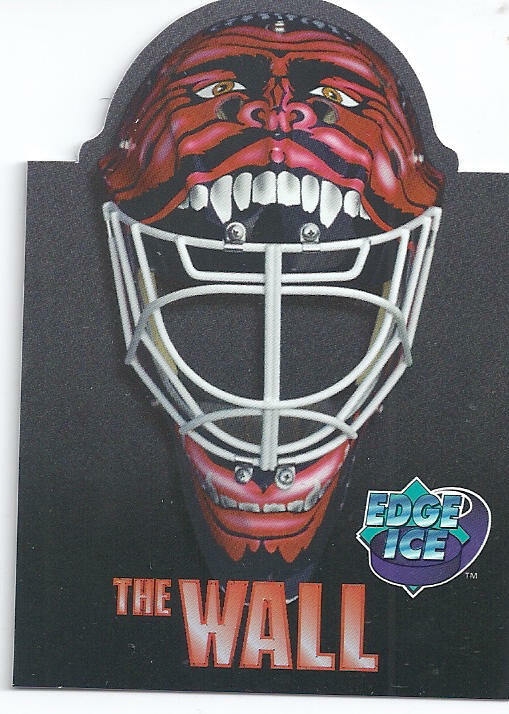 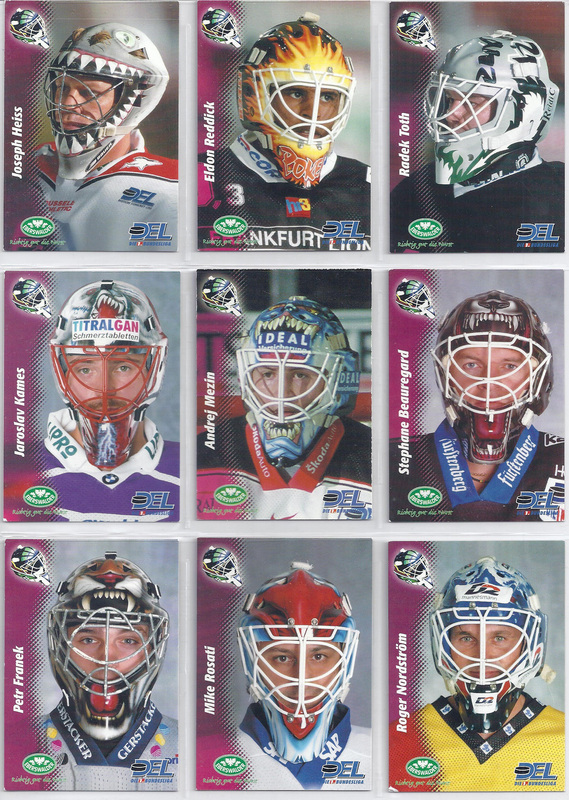 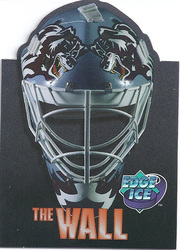 Edge ice 95-96: The wall (12/12).